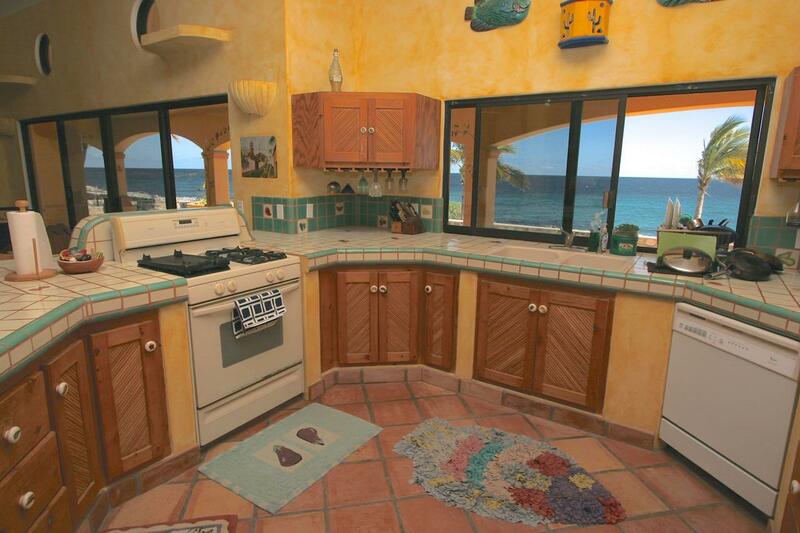 Description: This 3 bed, 3 bath ocean front home was built with extra steel throughout by a great builder (Valentine). 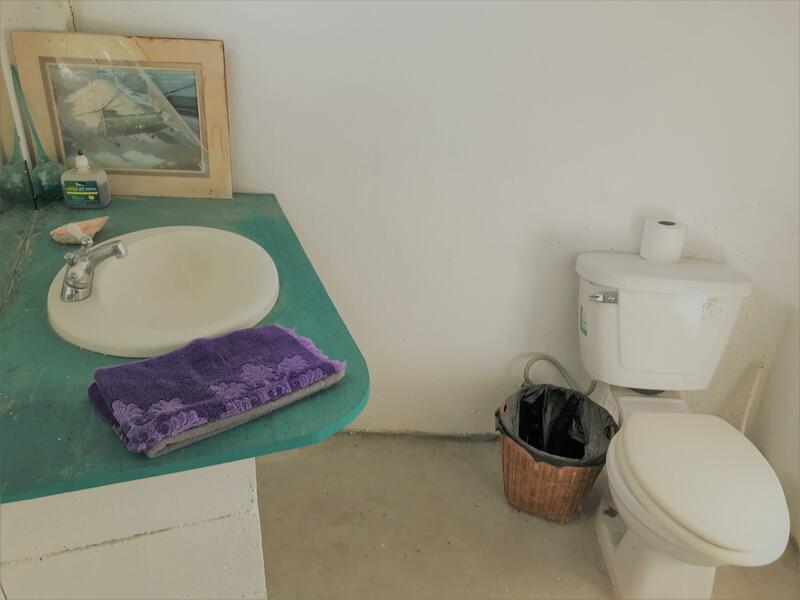 Amenities include: A private well, a separate building suite with a bedroom and bathroom, 8 inches of foam in the roof for increased insulation, a generac generator, a water purification system, an eight person island bar in the kitchen, a large pantry, a large 700 square foot entertaining/party palapa with built-in seating, a private boat ramp plus dolphins and whales right in your back yard. 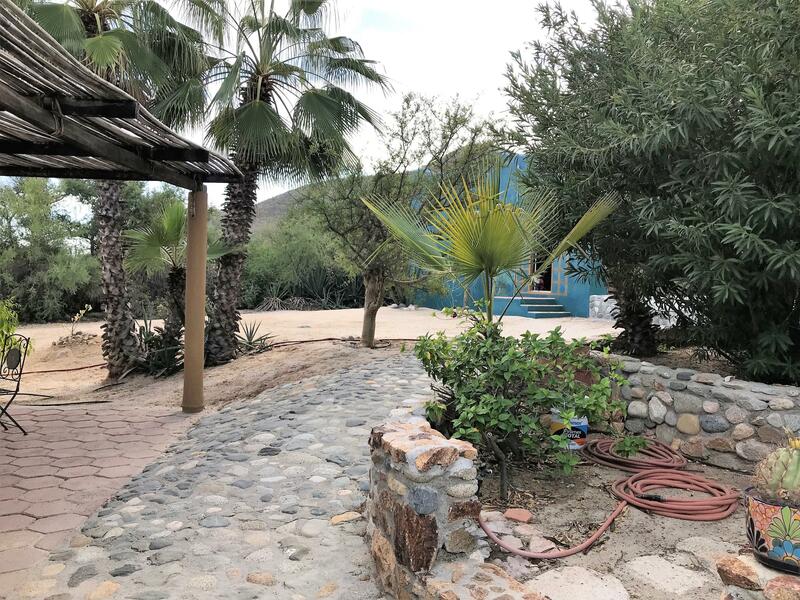 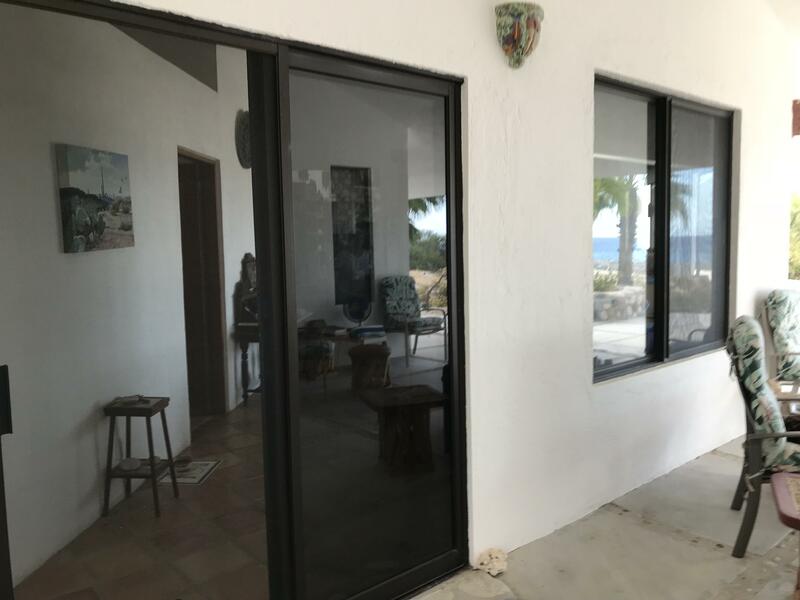 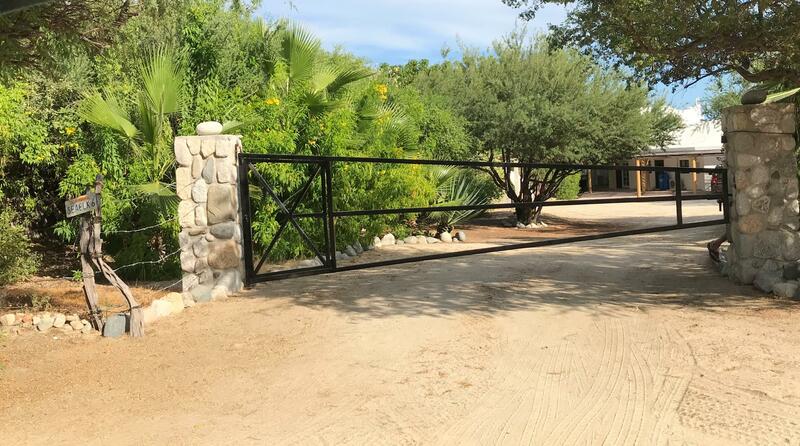 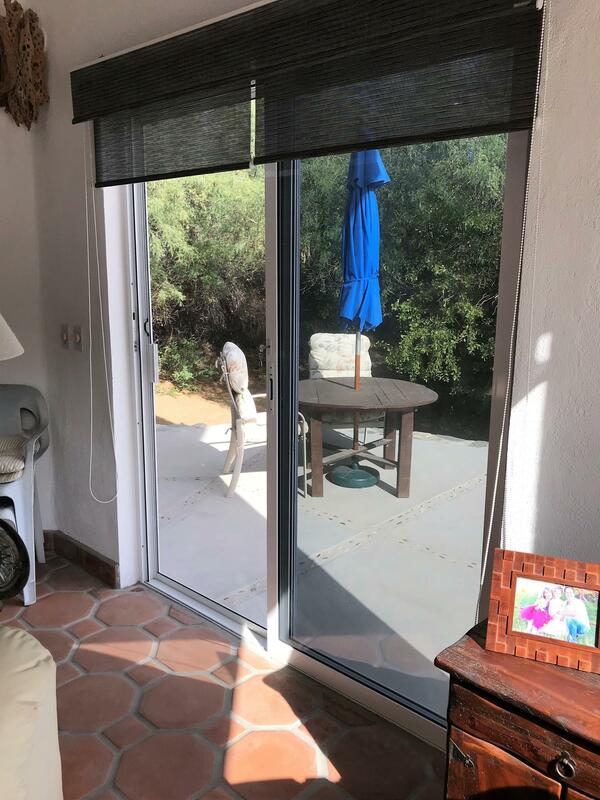 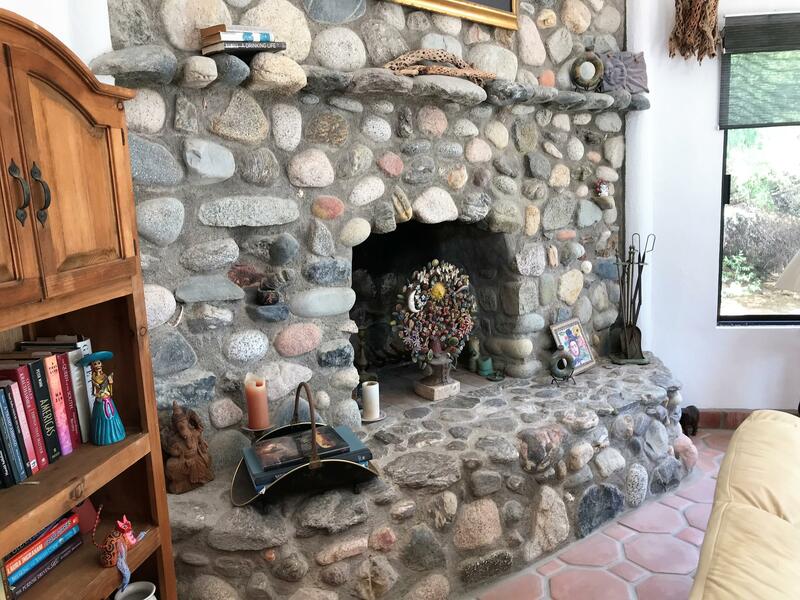 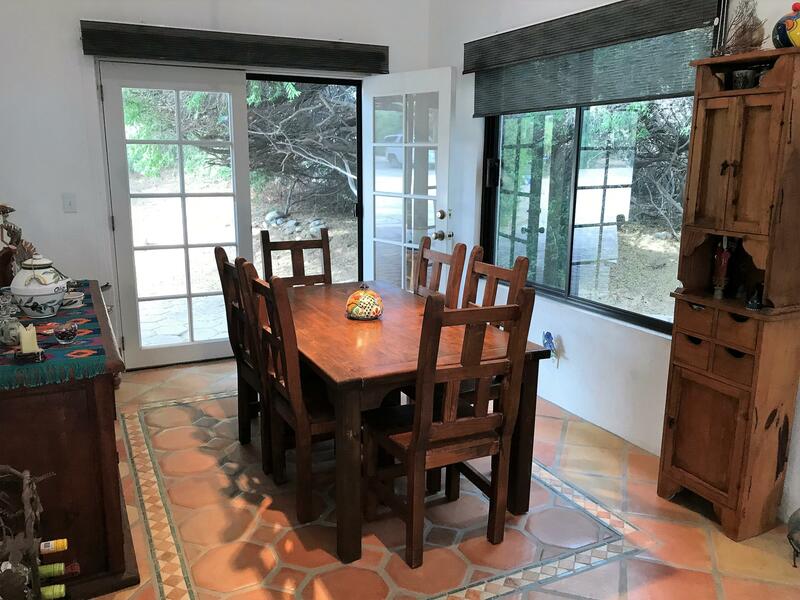 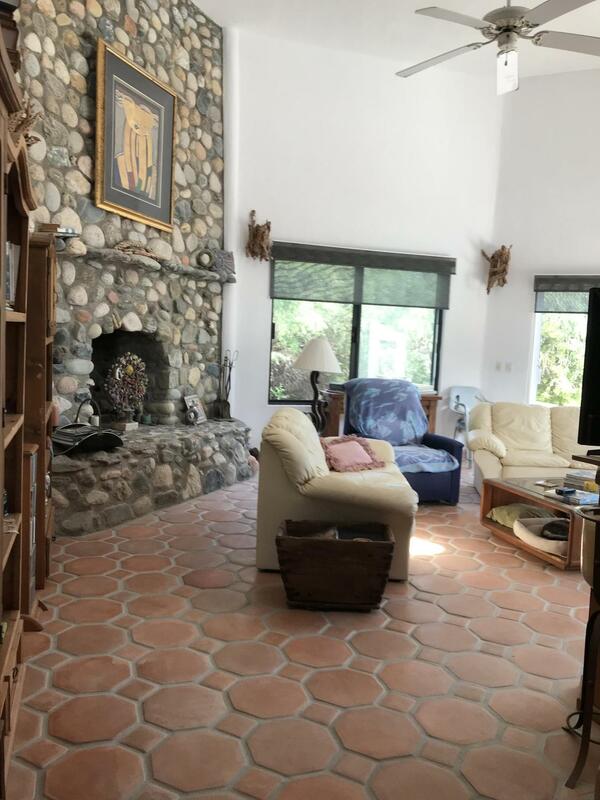 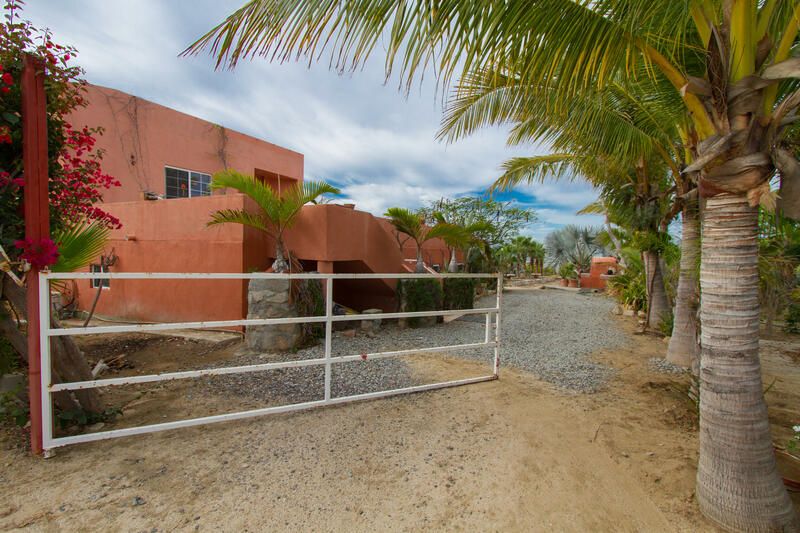 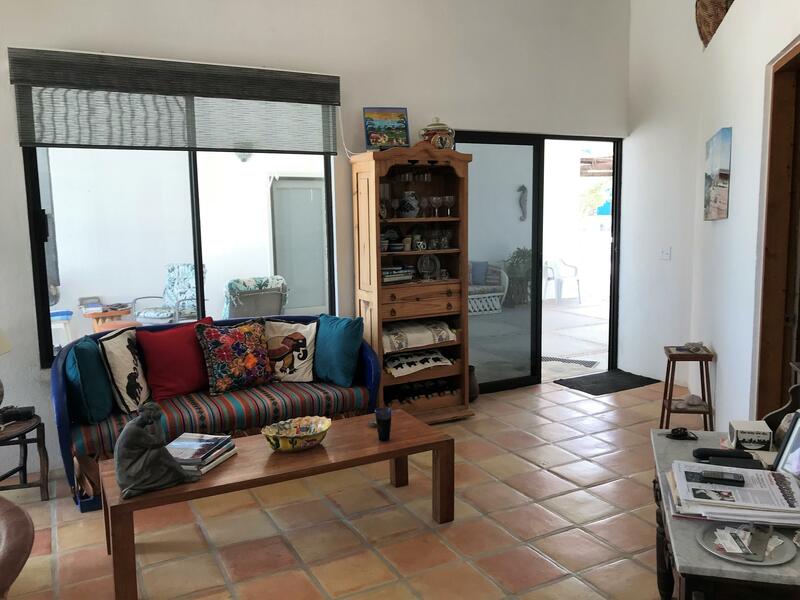 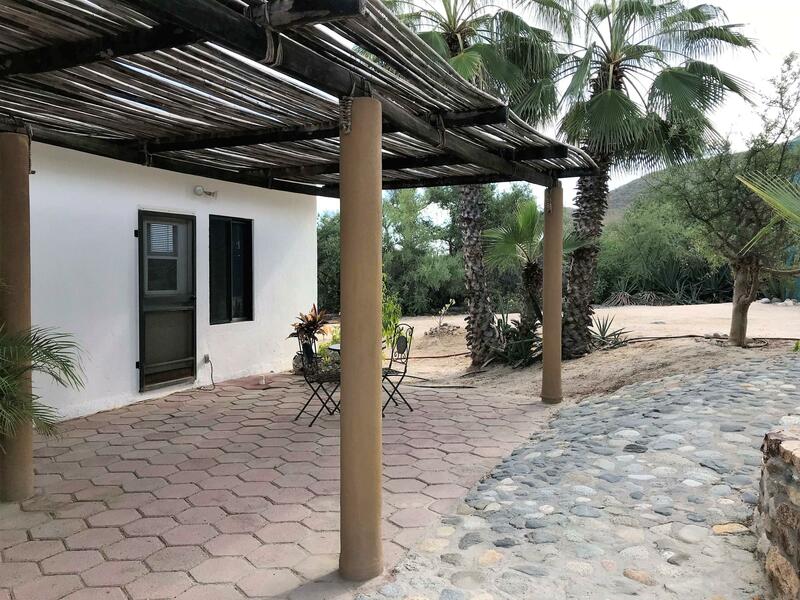 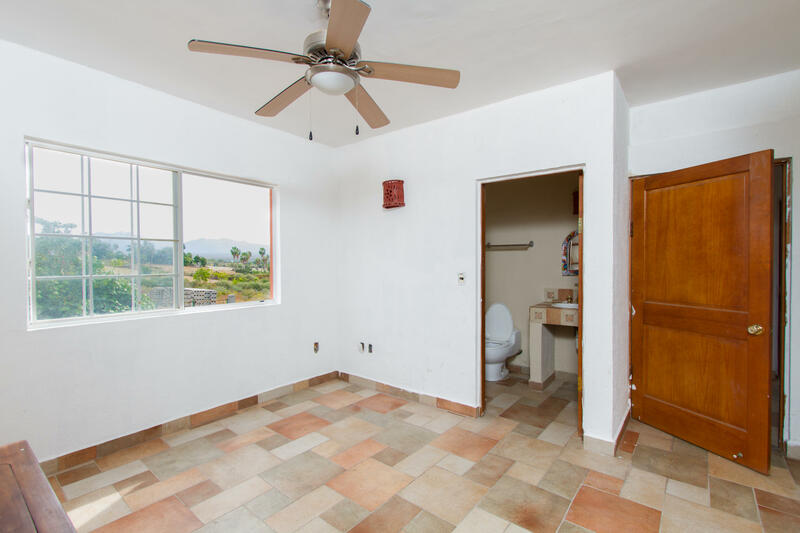 Description: This is a beautiful, large, quiet and well maintained home on the southern side of a small development called Rancho Pescadero. 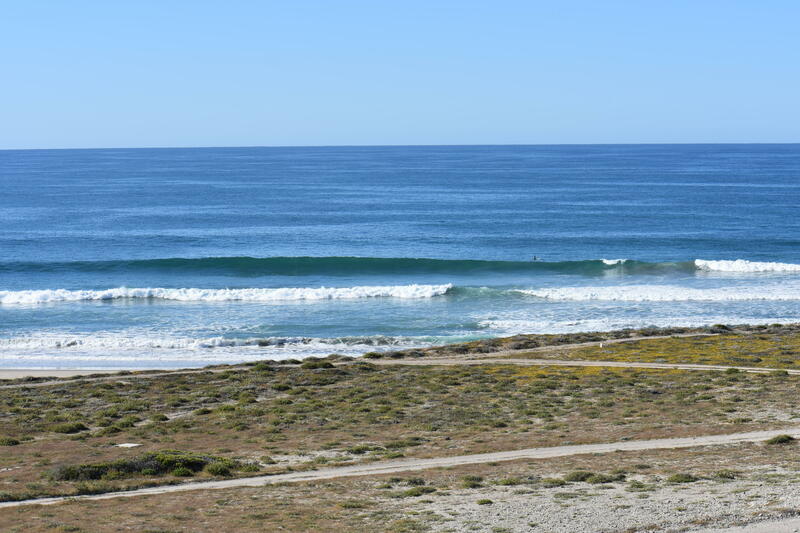 Being the last in a line of 7, this lot has the added benefit of having almost infinite southern sun and exposure. 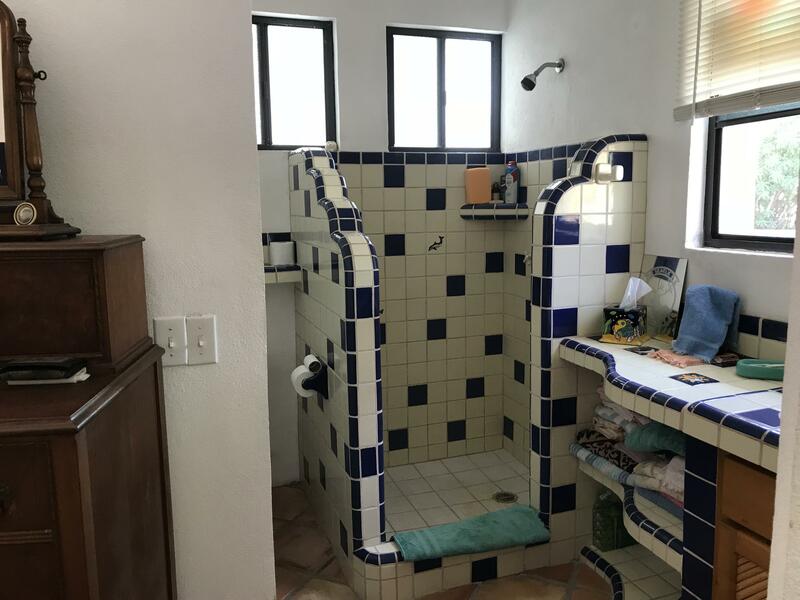 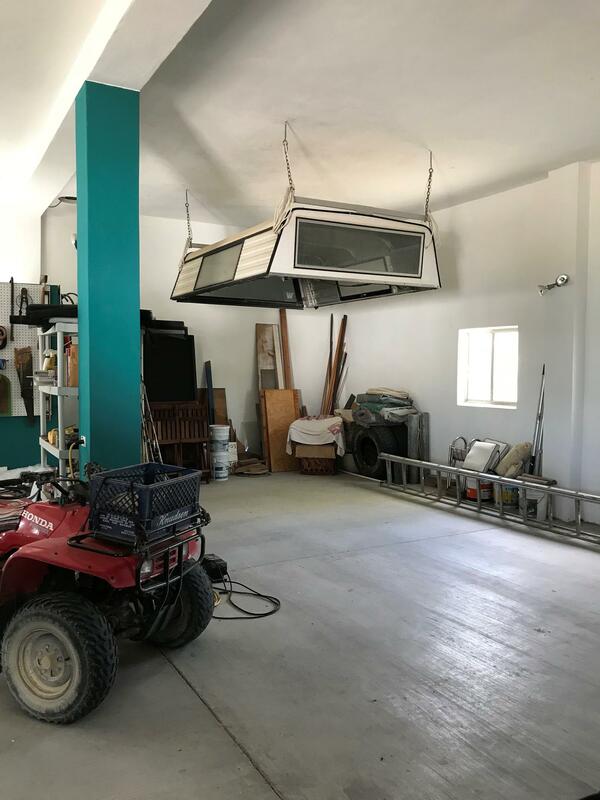 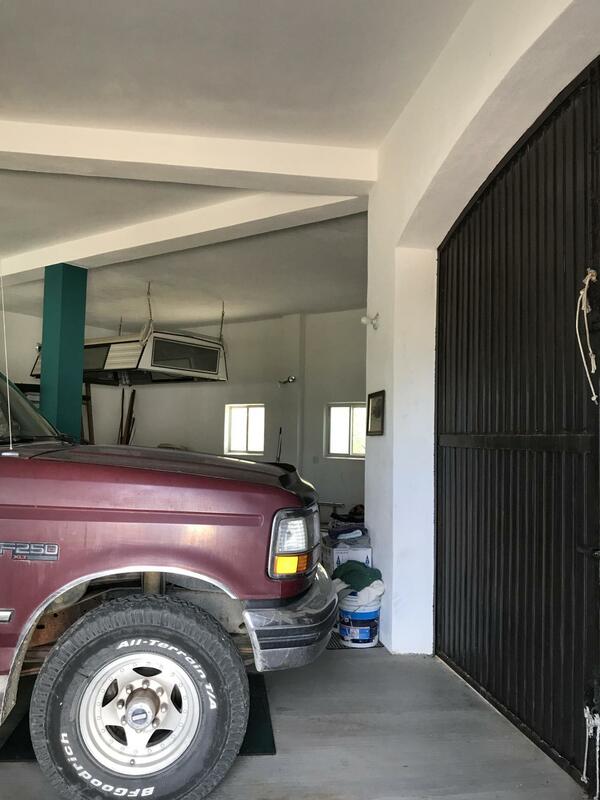 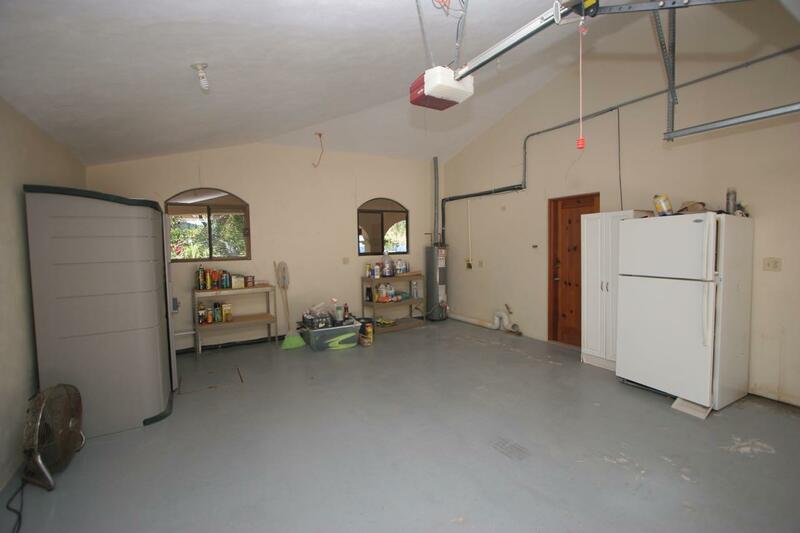 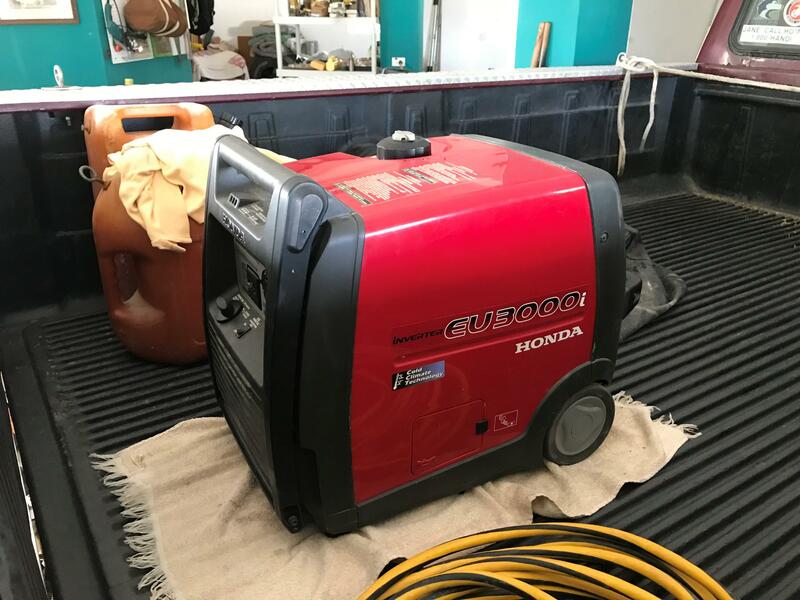 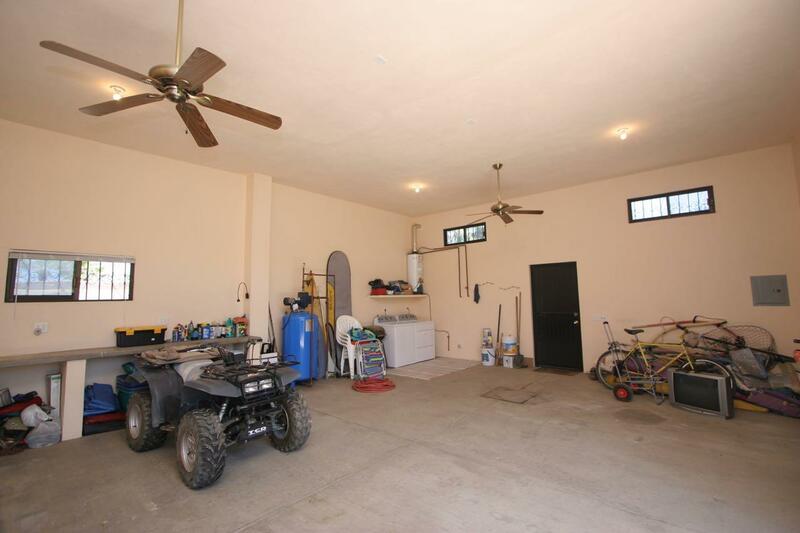 Pull into the driveway and either drive right into the huge 'man cave' 2+ car garage with a half bathroom or park under the shaded carport big enough for two vehicles and a 4 wheeler. 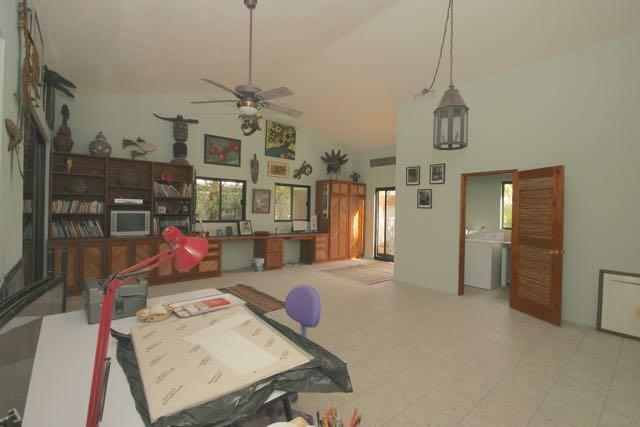 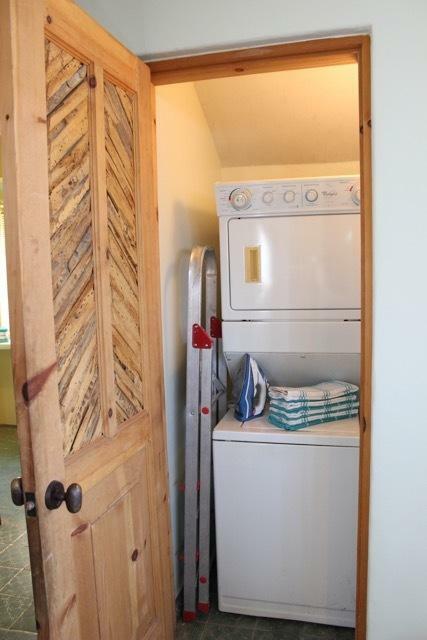 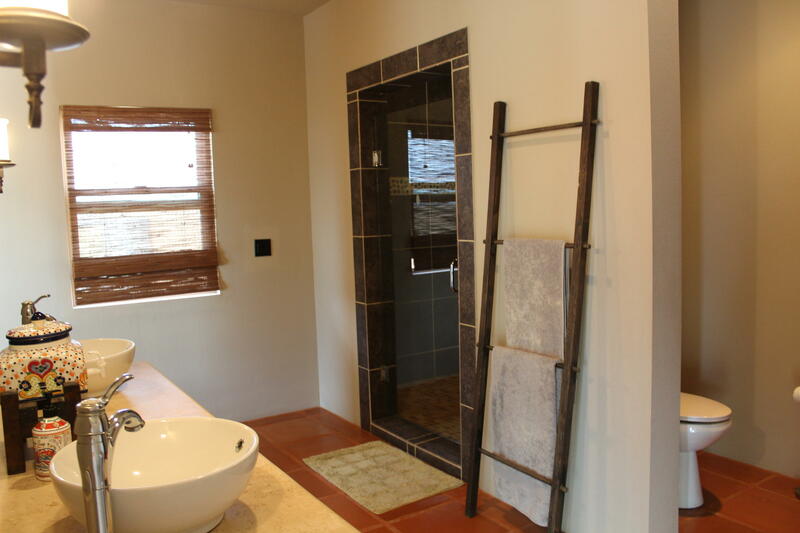 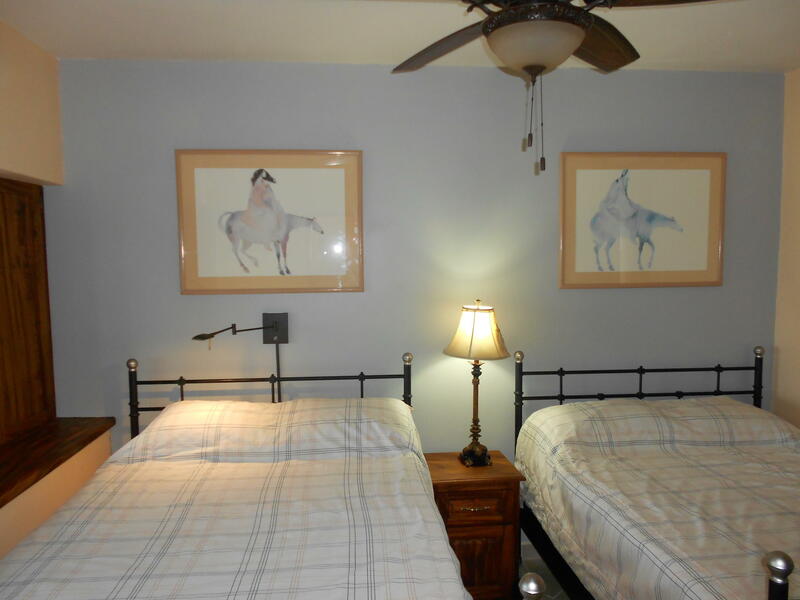 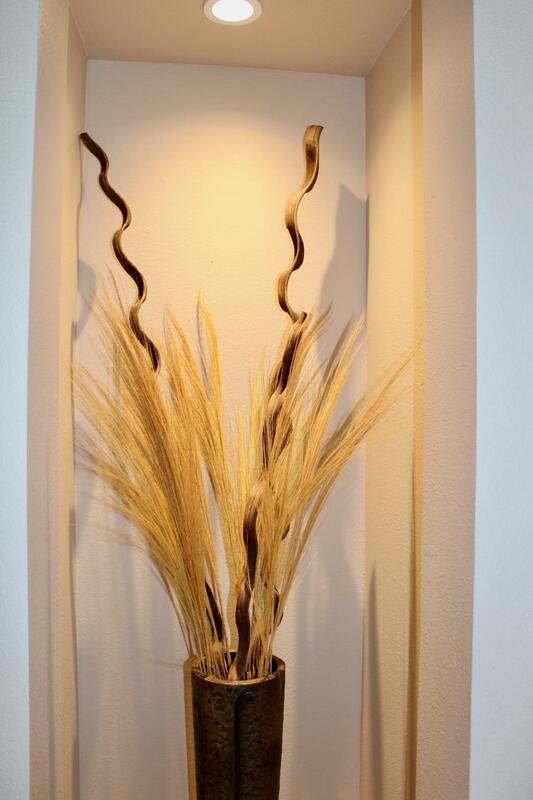 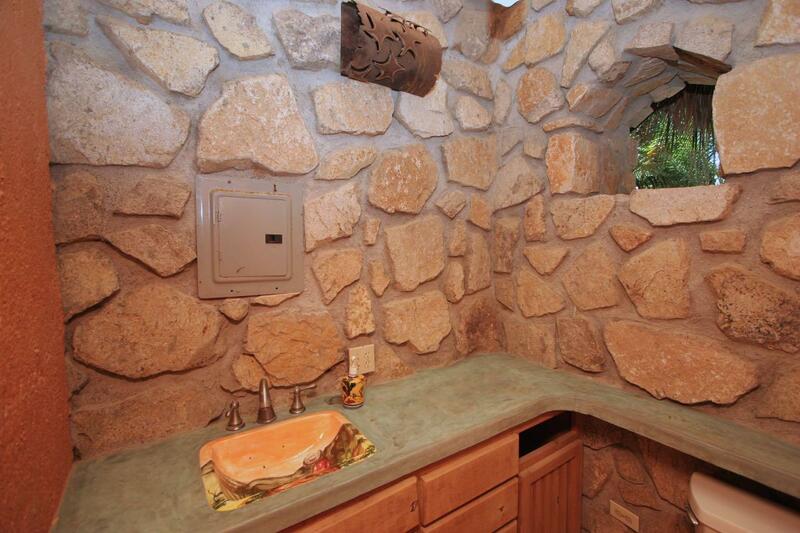 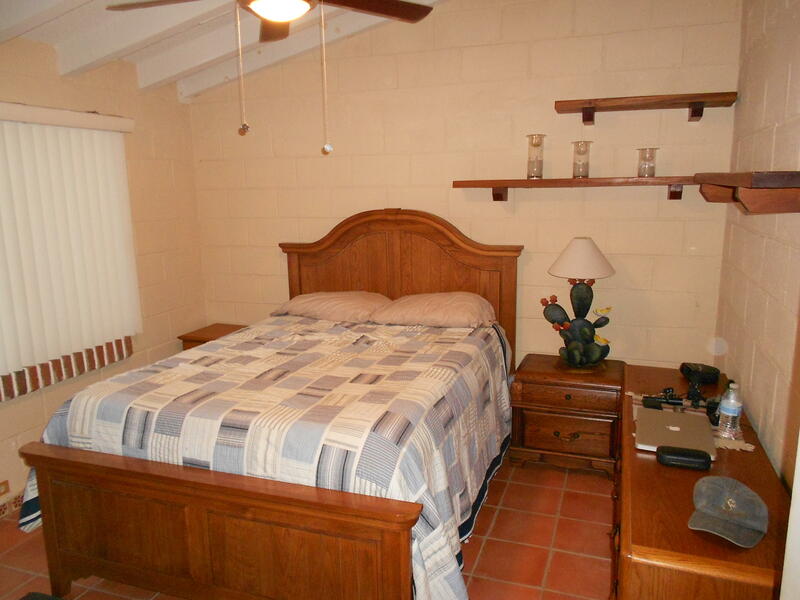 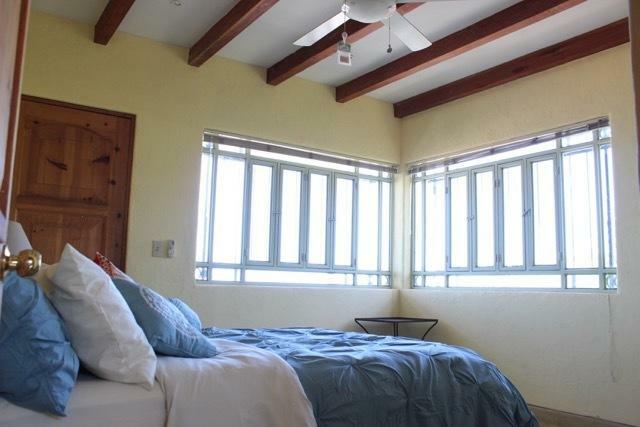 This house has a wonderful breezeway between the house and the master bedroom. 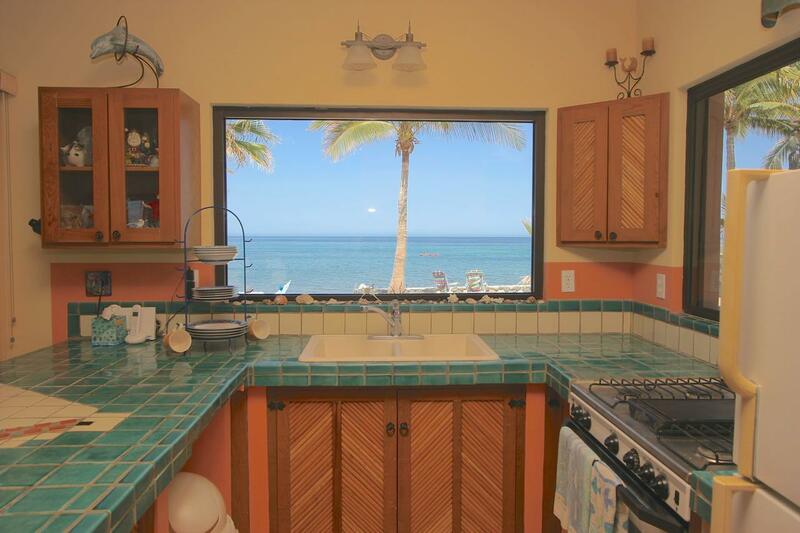 Going into the house is the central hang out place for guests while watching the cook in the kitchen. 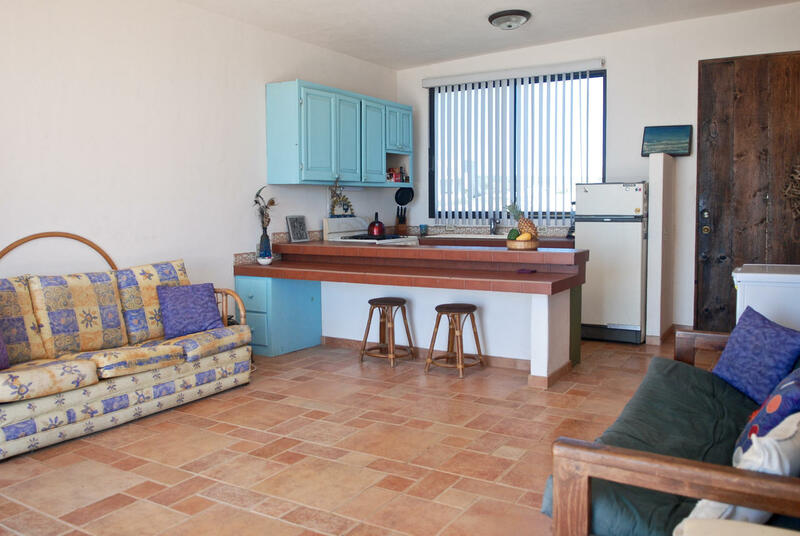 You have a comfortable sitting area on the left, kitchen right in front and a dining area to rival any formal room but still maintaining the charm of being part of the cooking experience. 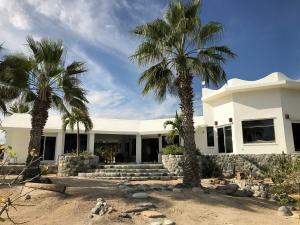 Description: This house is ideal for people who loves to be in touch with nature, The house has 3 bedrooms 3 1/2 bathrooms the master with a jacuzzi. 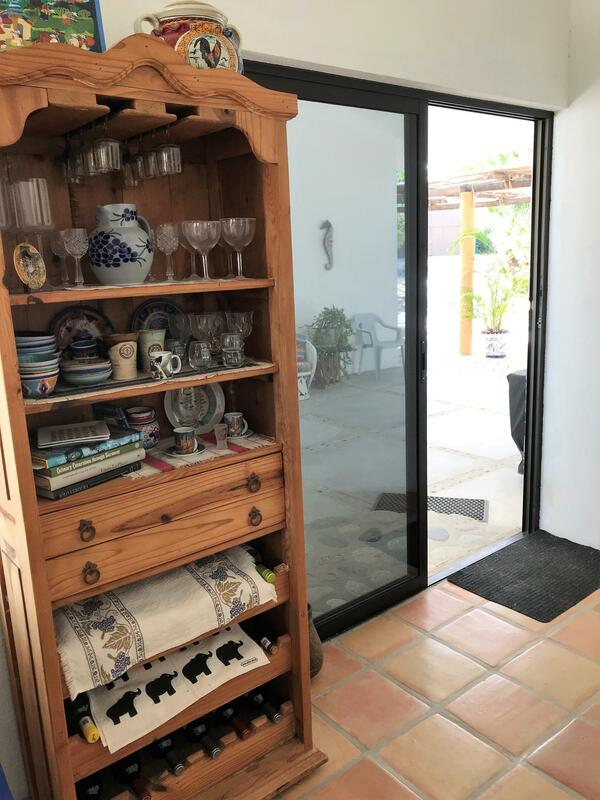 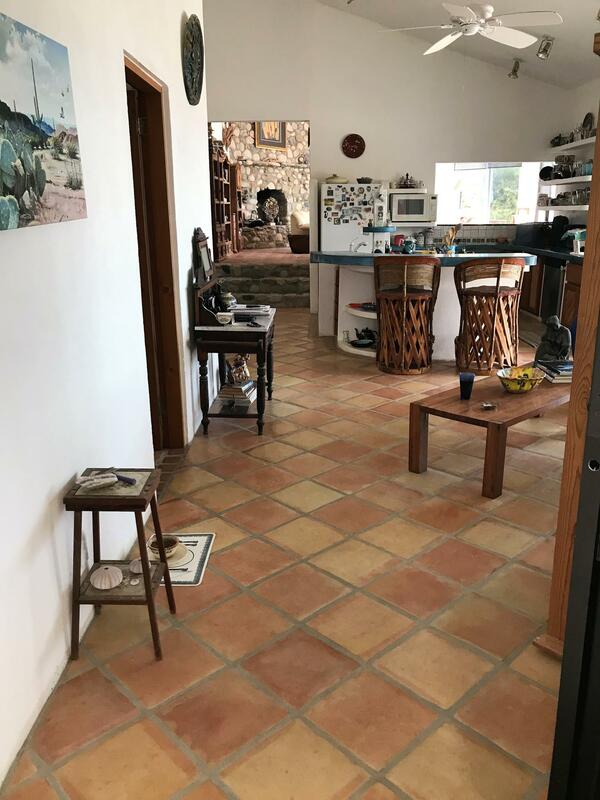 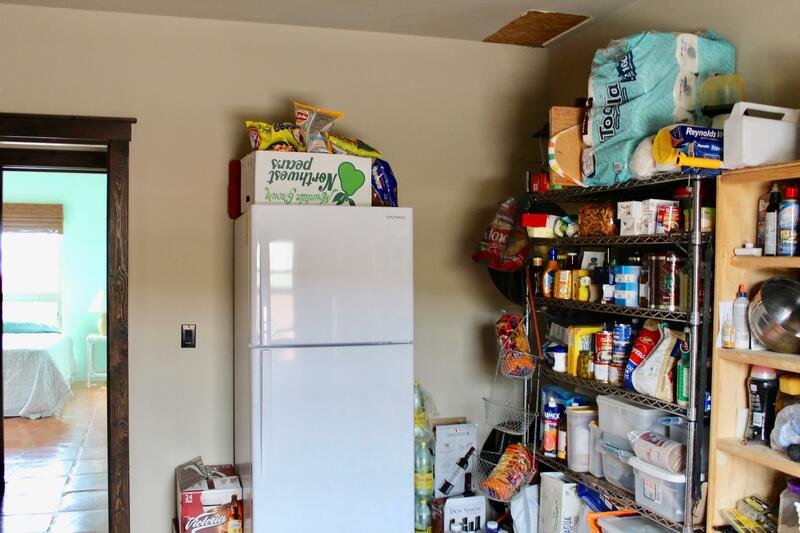 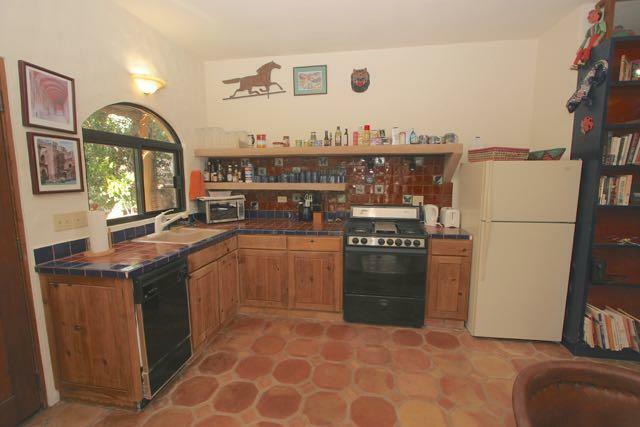 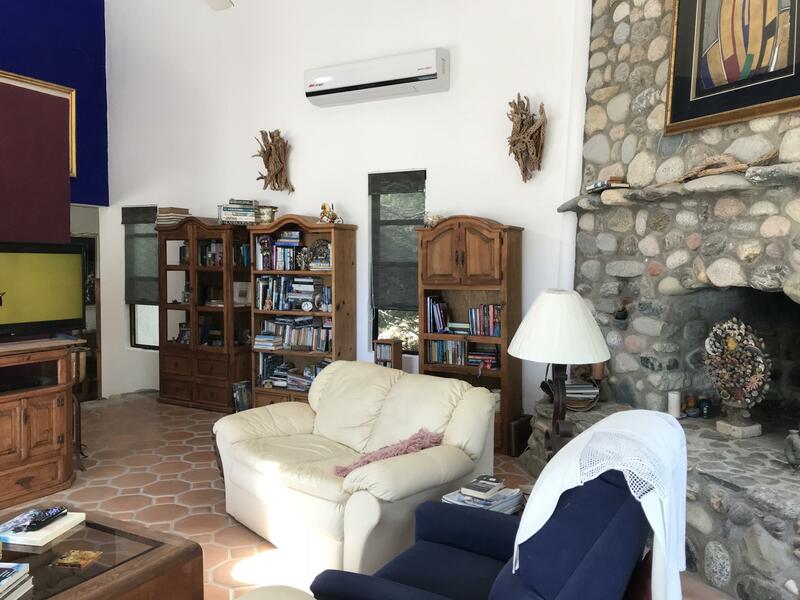 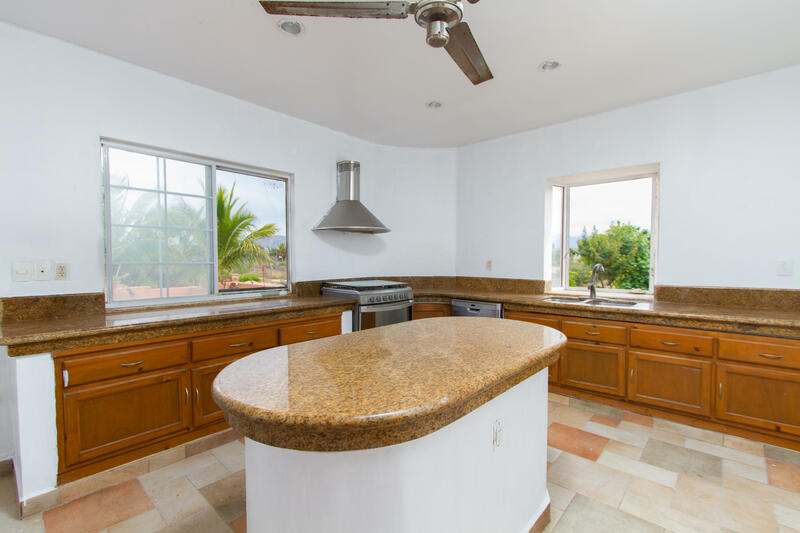 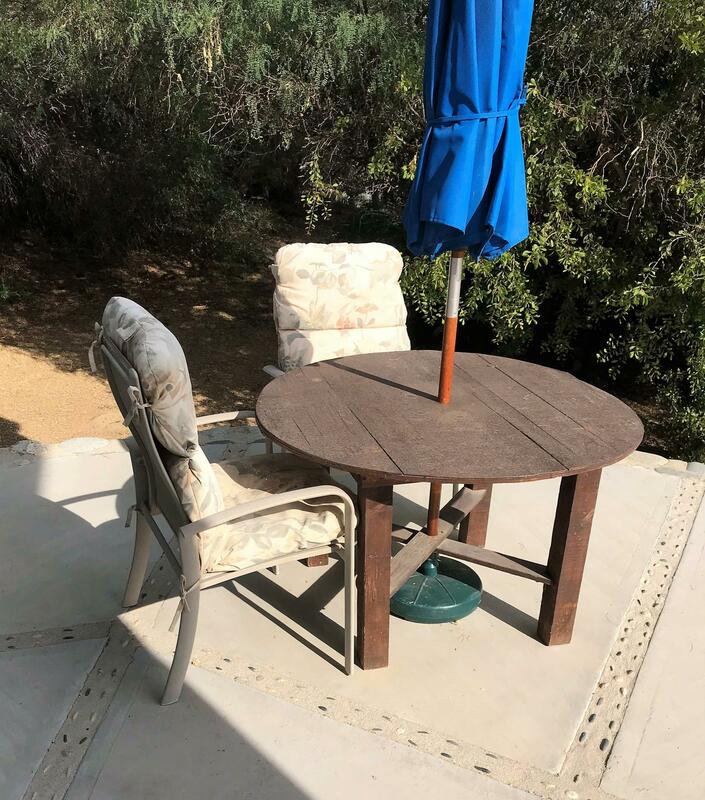 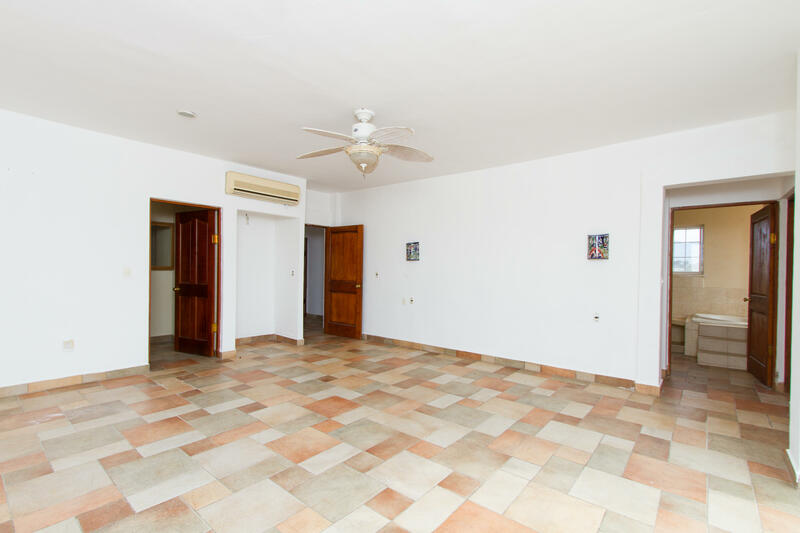 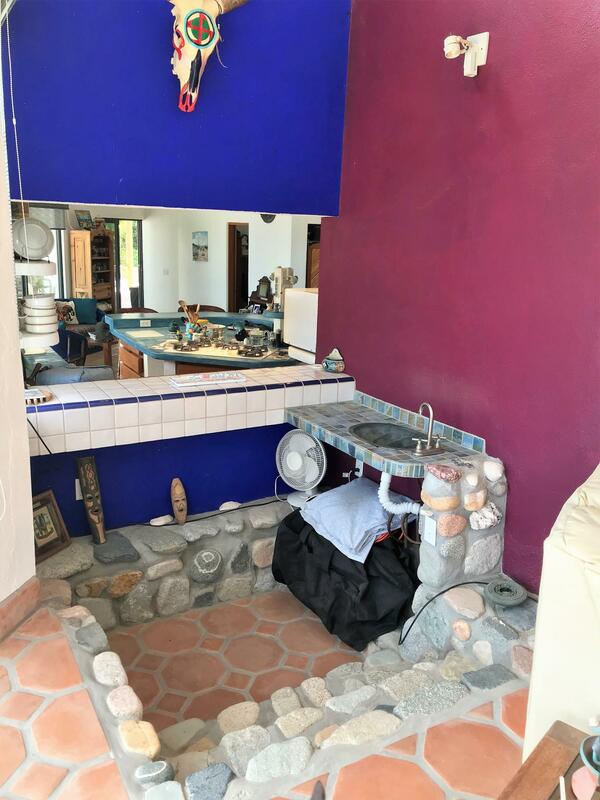 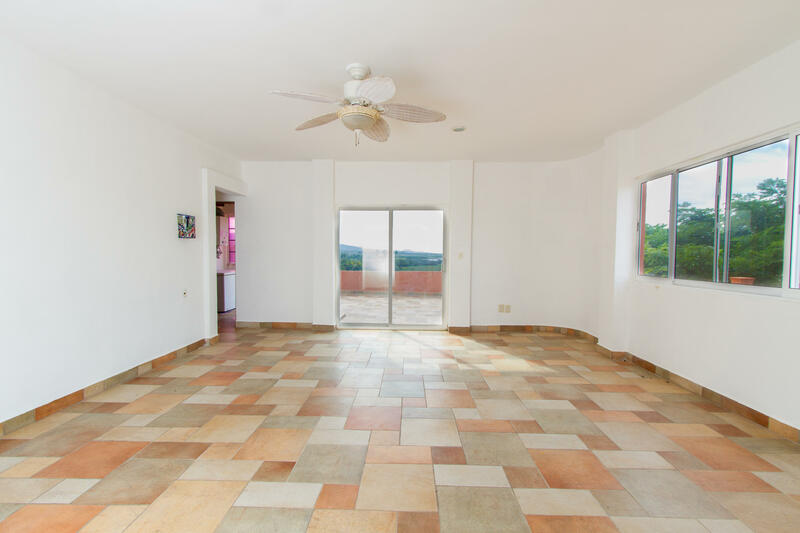 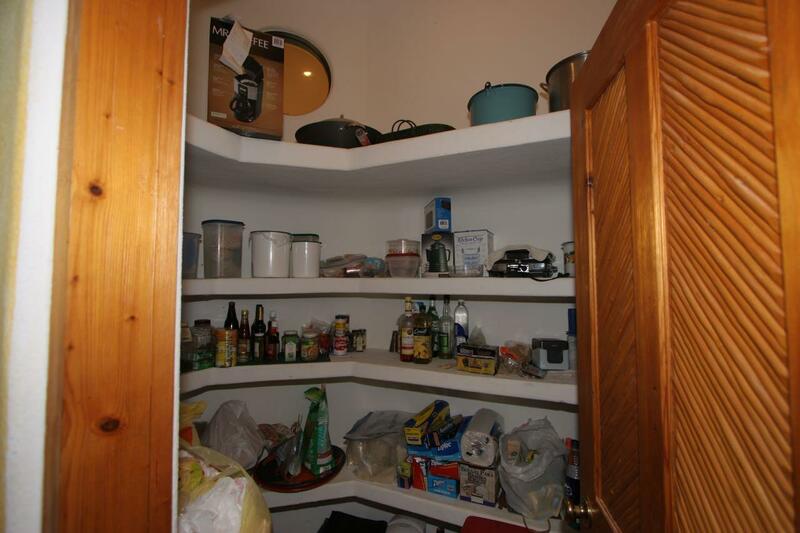 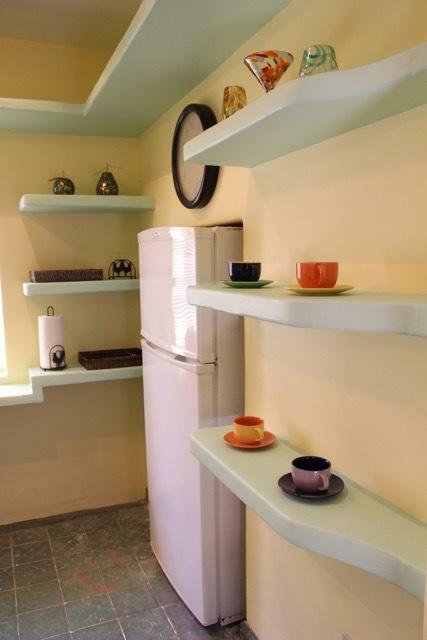 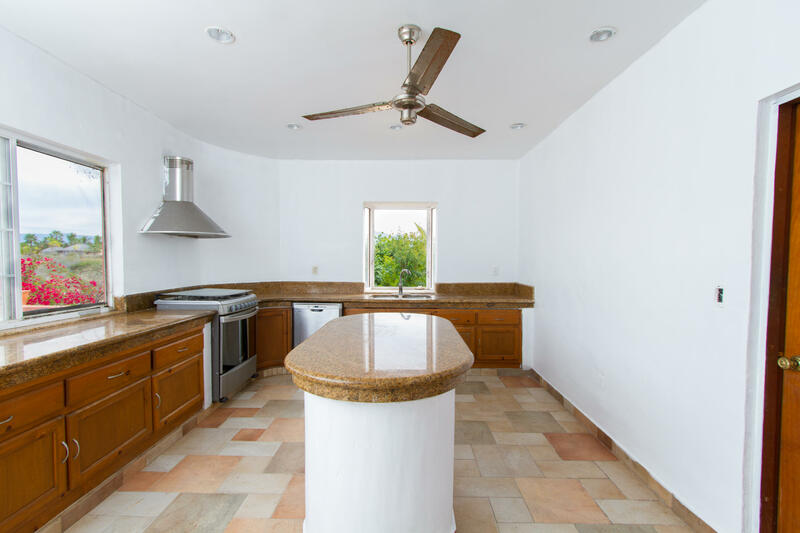 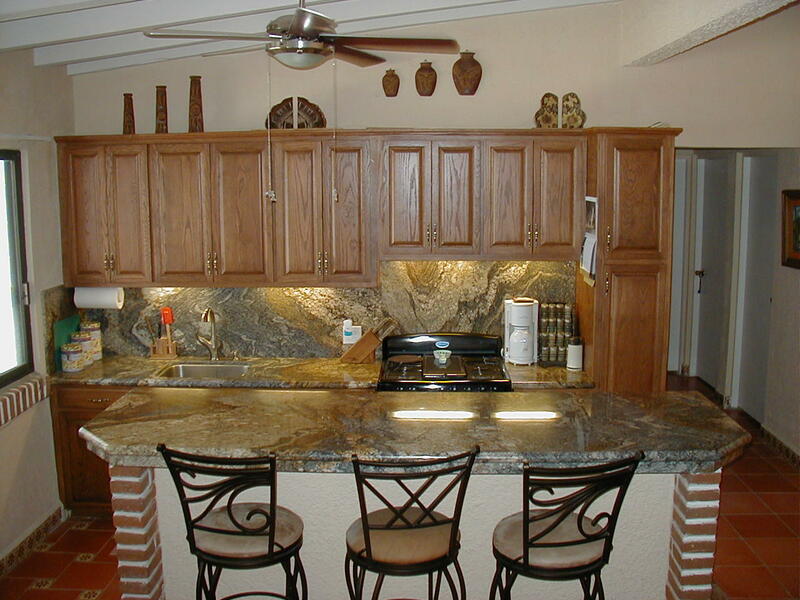 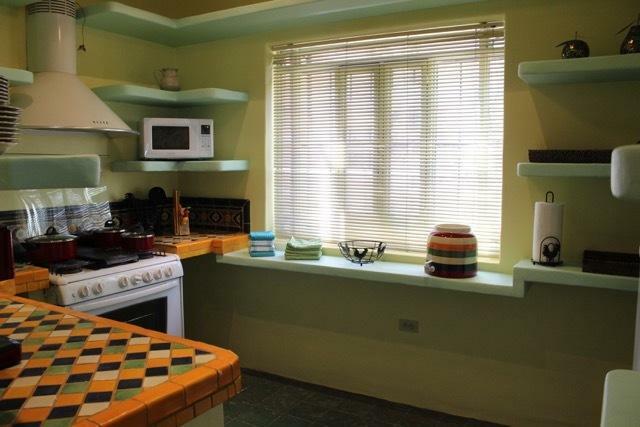 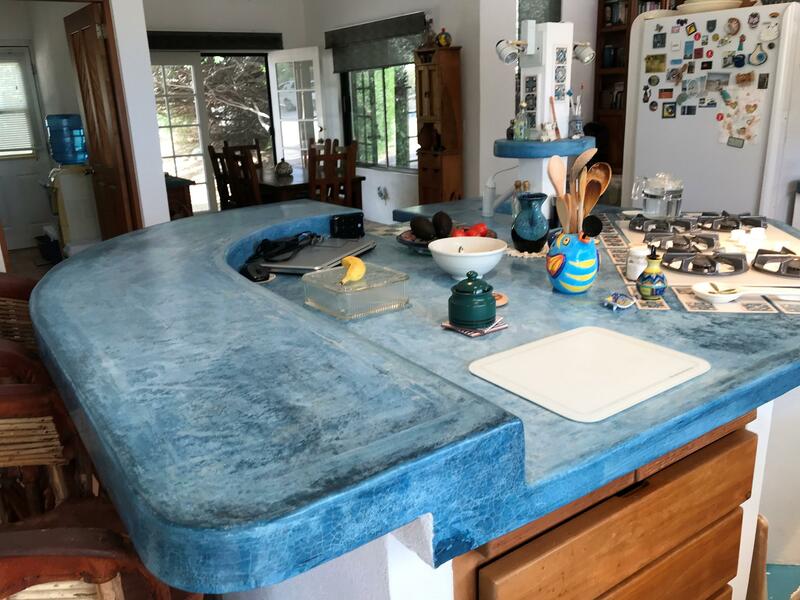 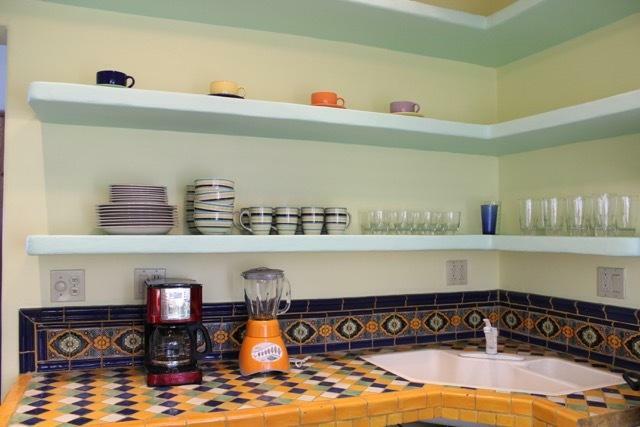 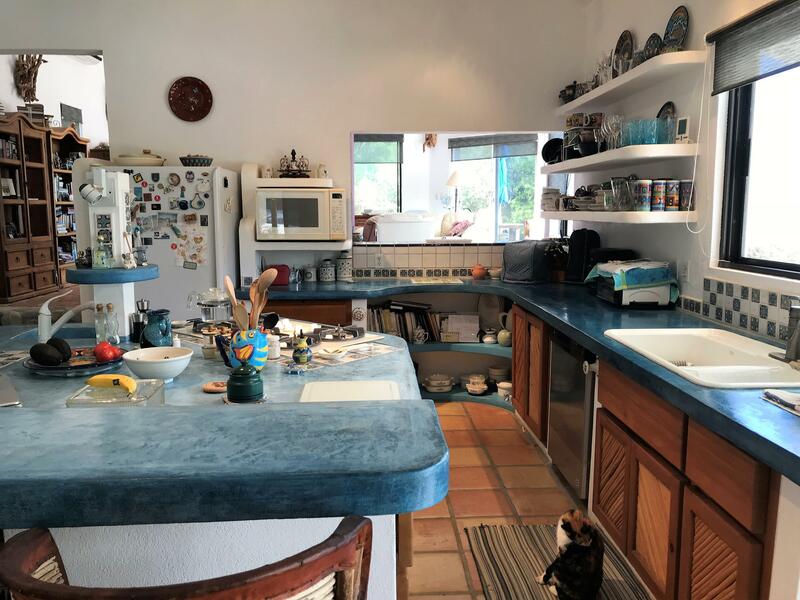 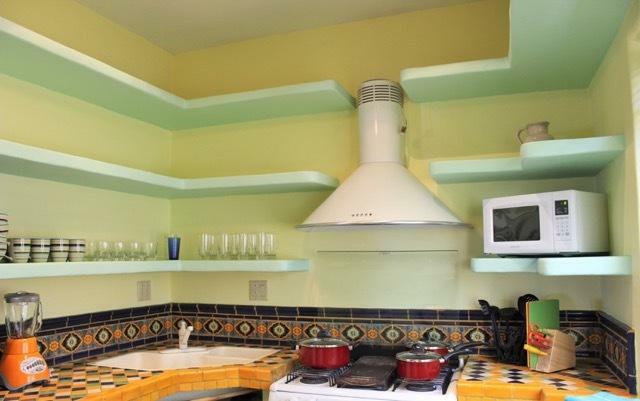 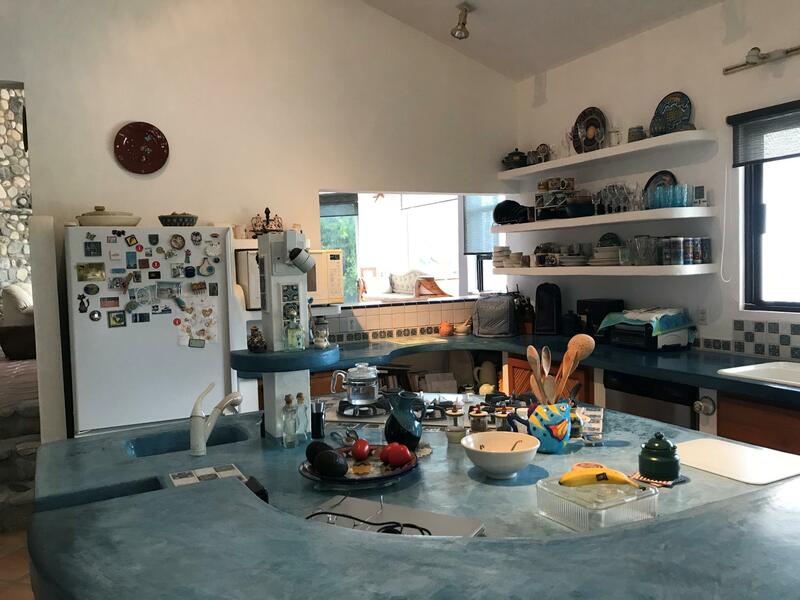 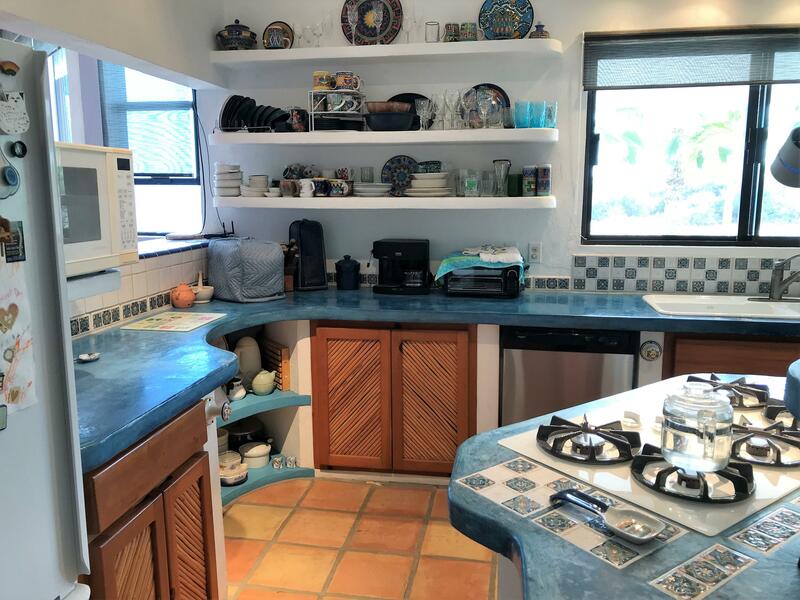 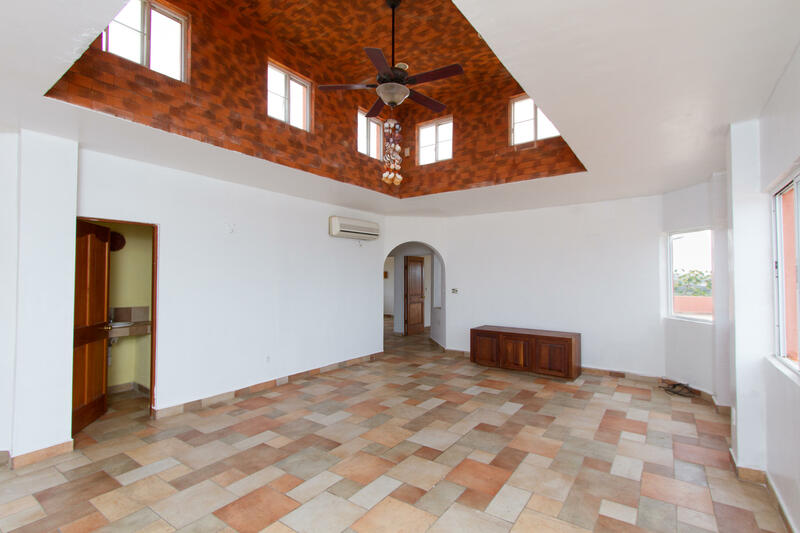 Large kitchen with granite tops and a big terrace to enjoy nature and outdorrs life, it has a huge bodega wher you can put a boat and all the toys you have. 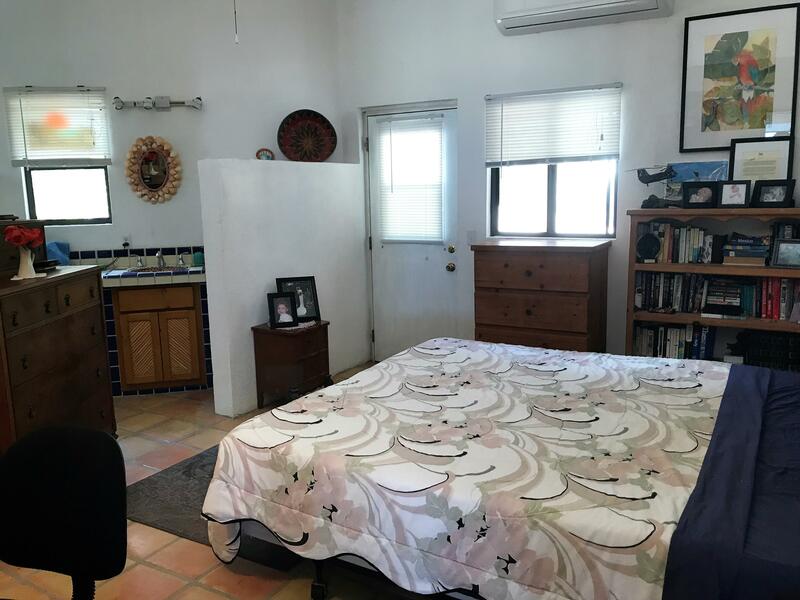 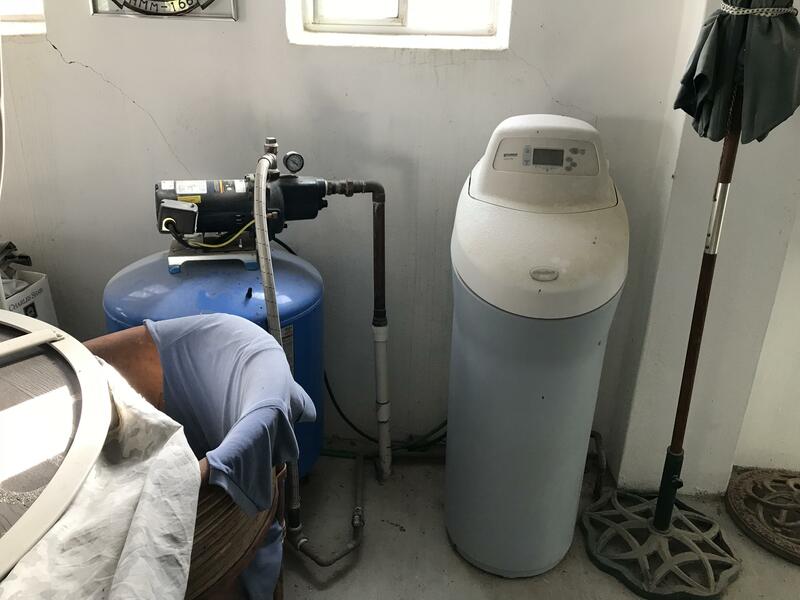 Description: This one bed one bath home has a lot of potential. 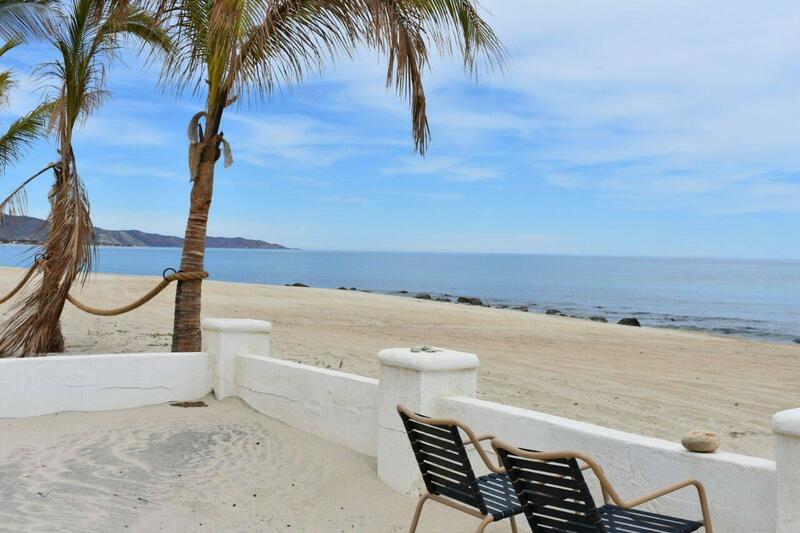 It is in a great neighborhood and on a good beach. 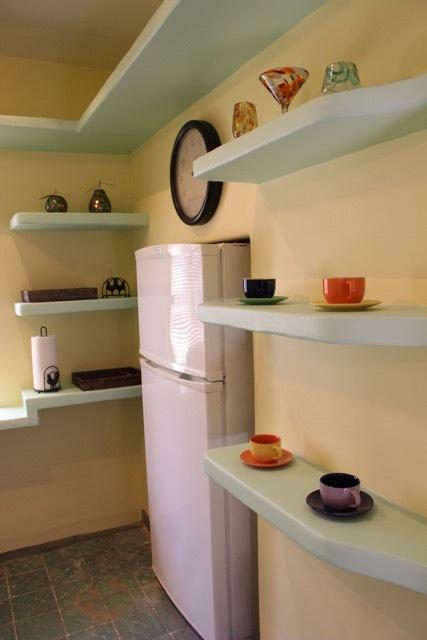 You can add on to the house in the future or leave things just as they are. 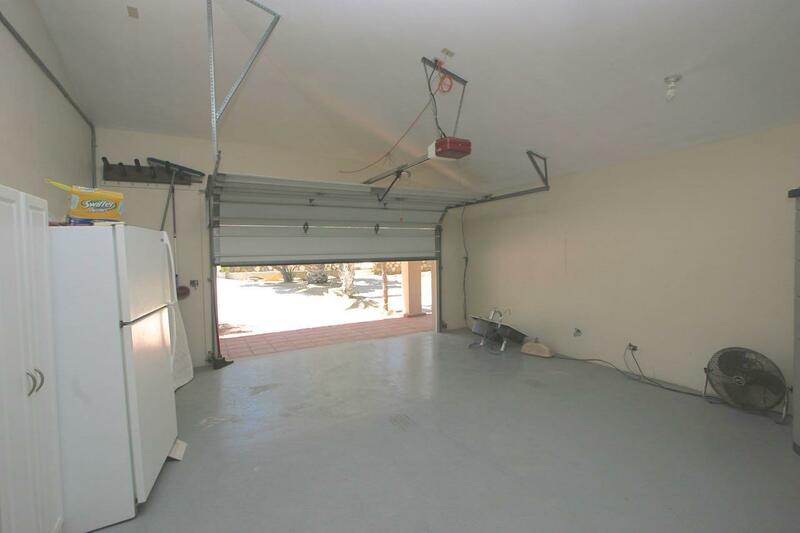 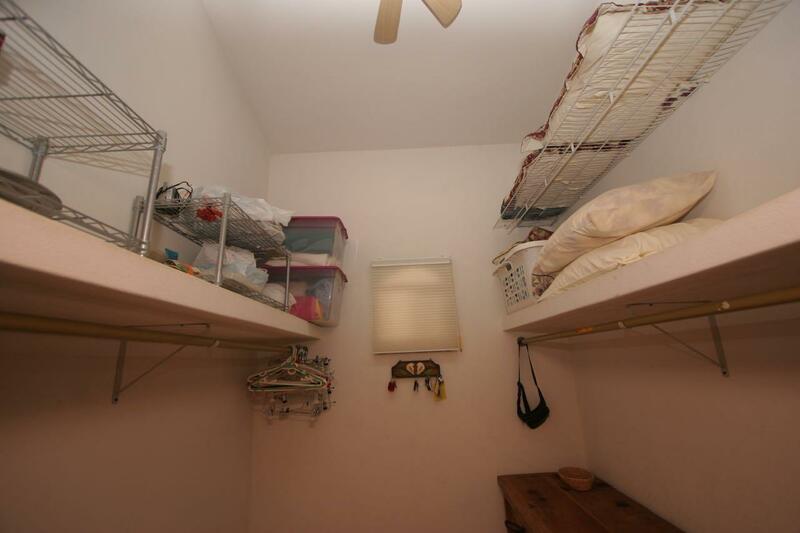 The garage has two tall, oversize stalls (775 square feet). 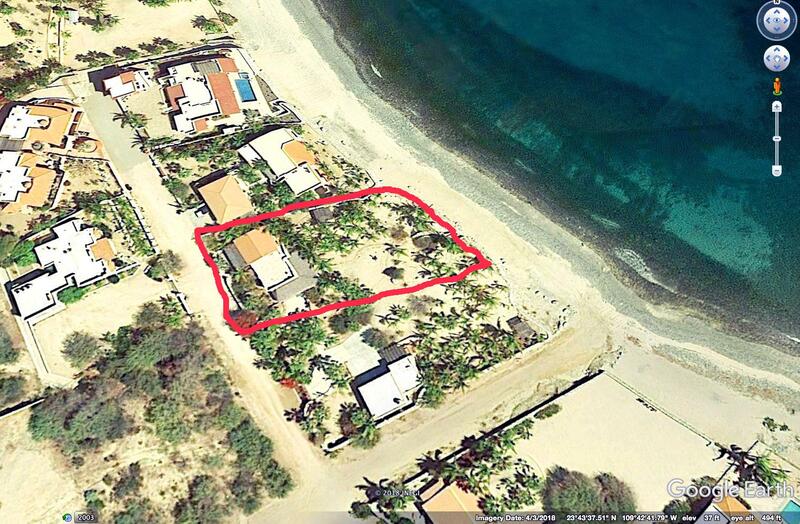 The lot is 30 (98.42 feet) meters on the beach and very long/deep at 230 feet. 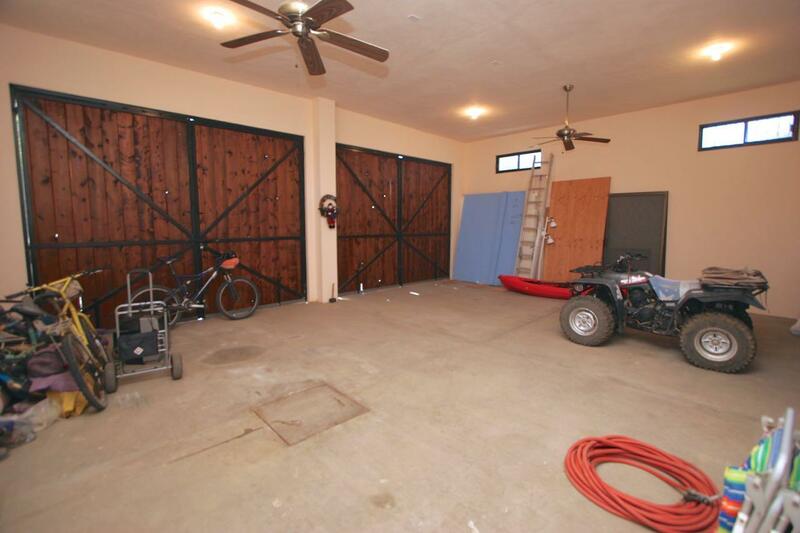 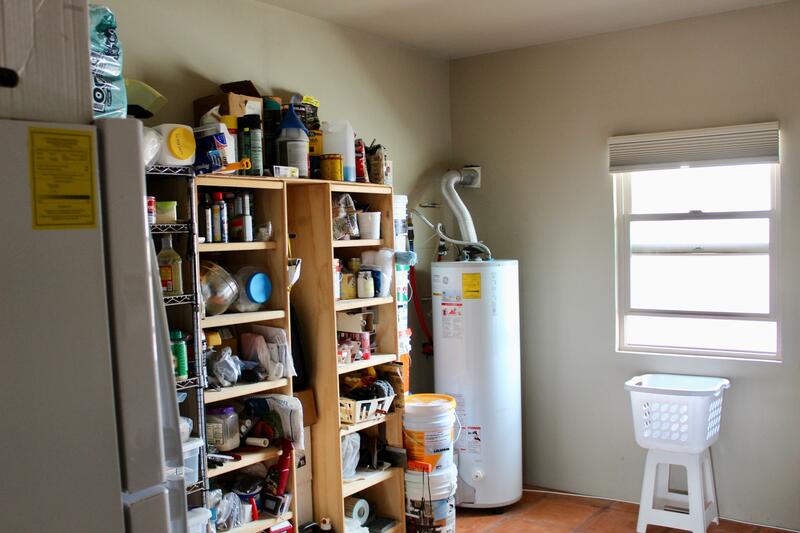 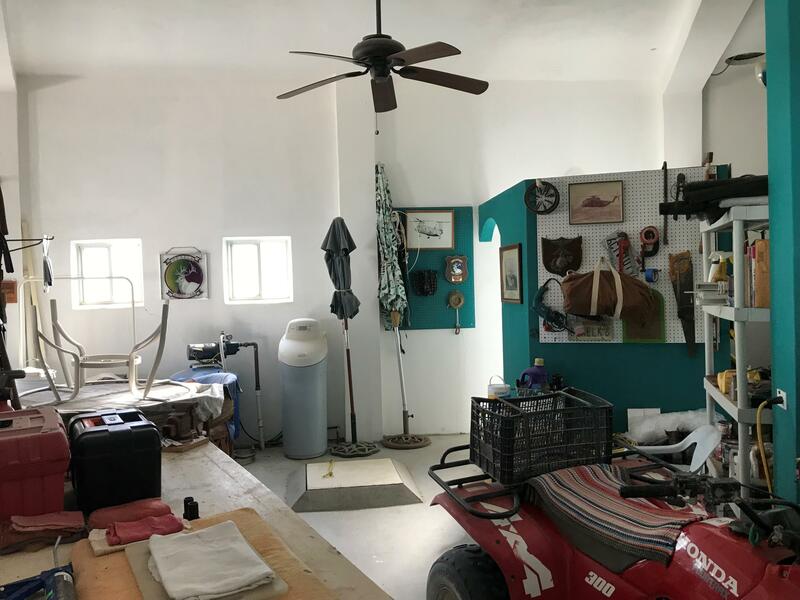 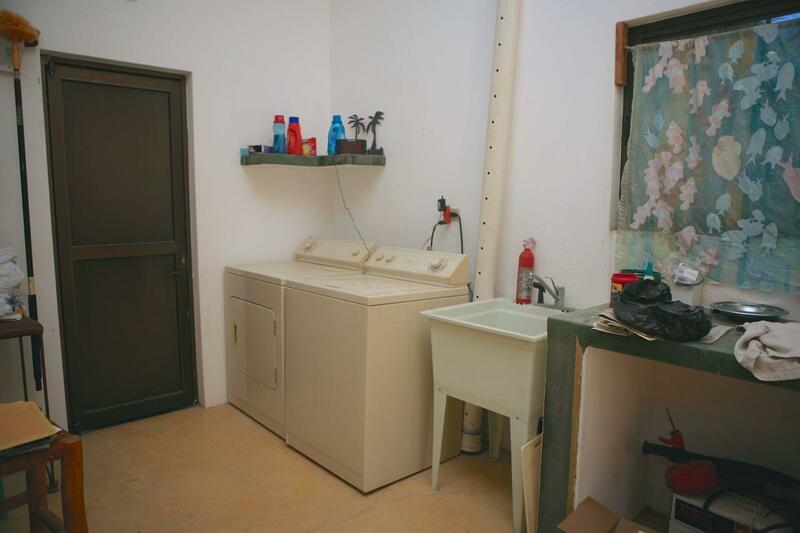 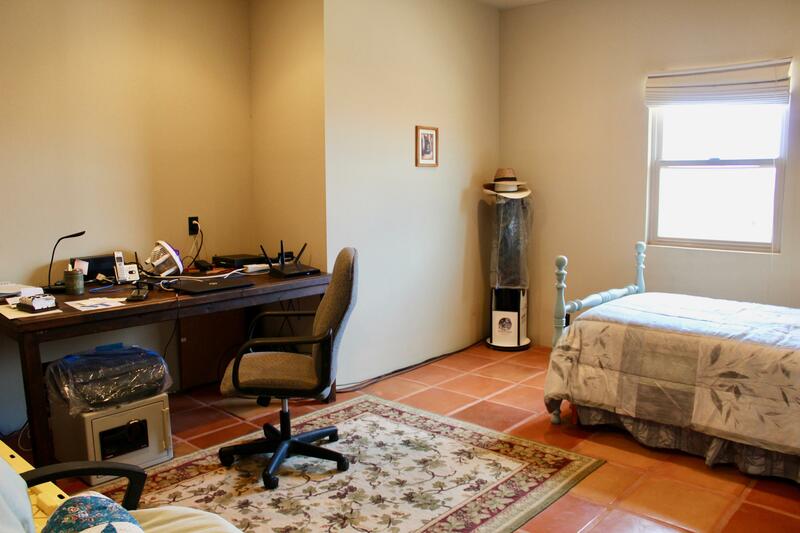 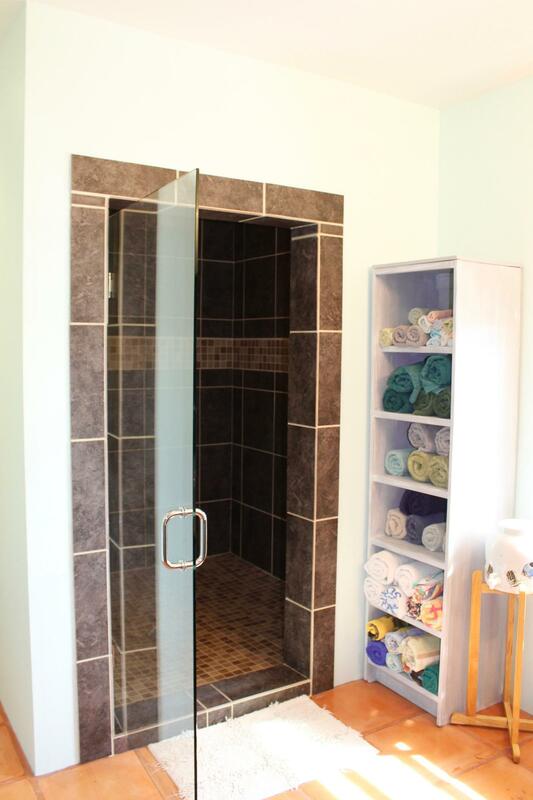 Description: This 1500 square foot home has a large studio space that can be converted to a two car garage. 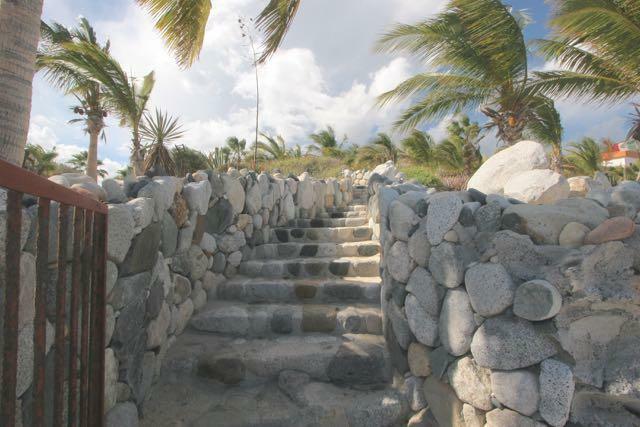 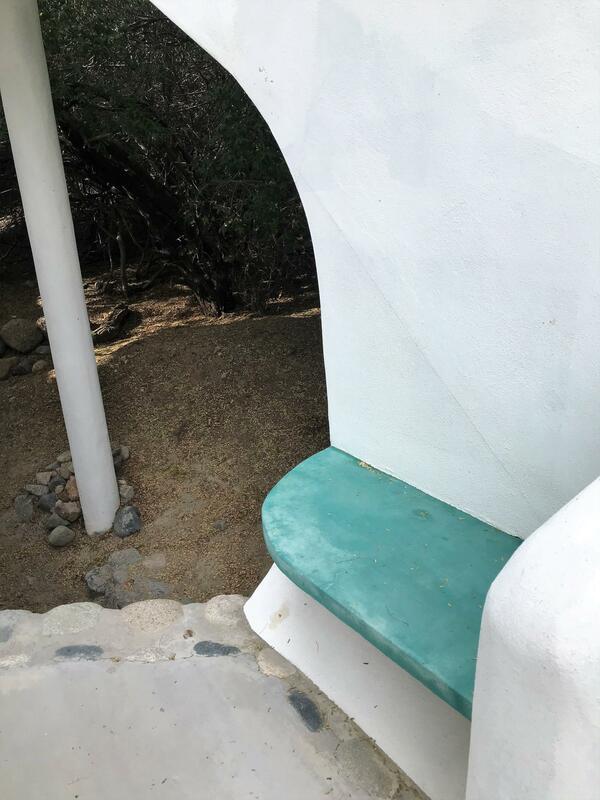 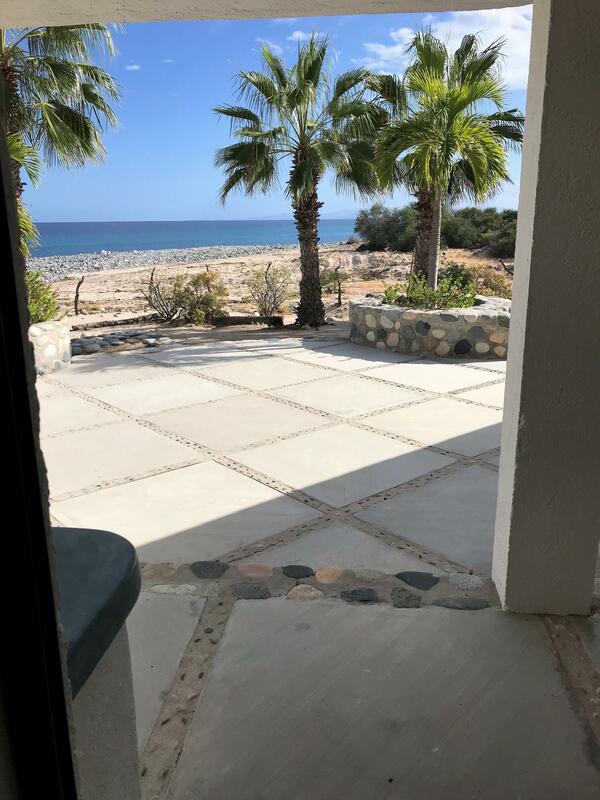 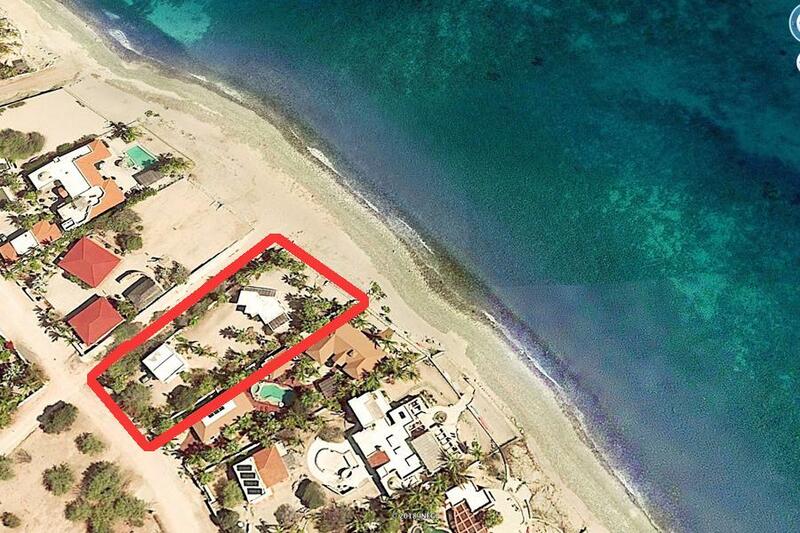 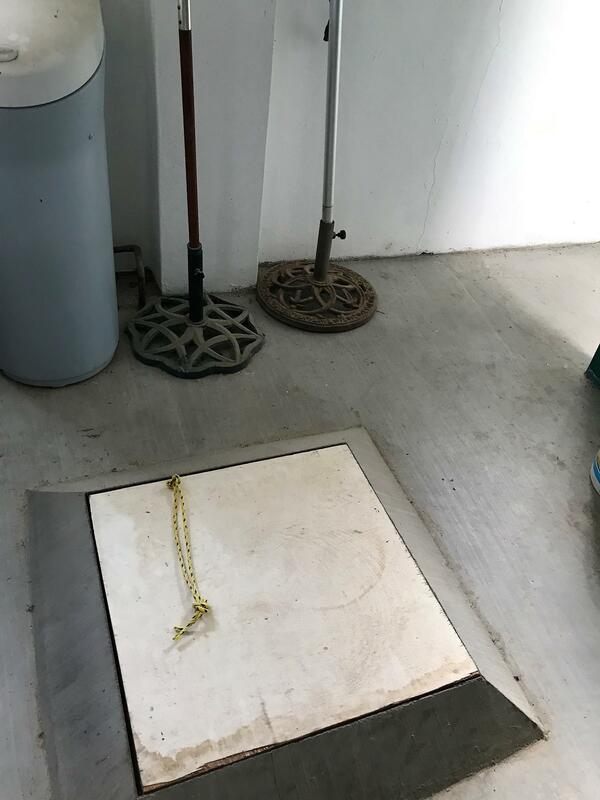 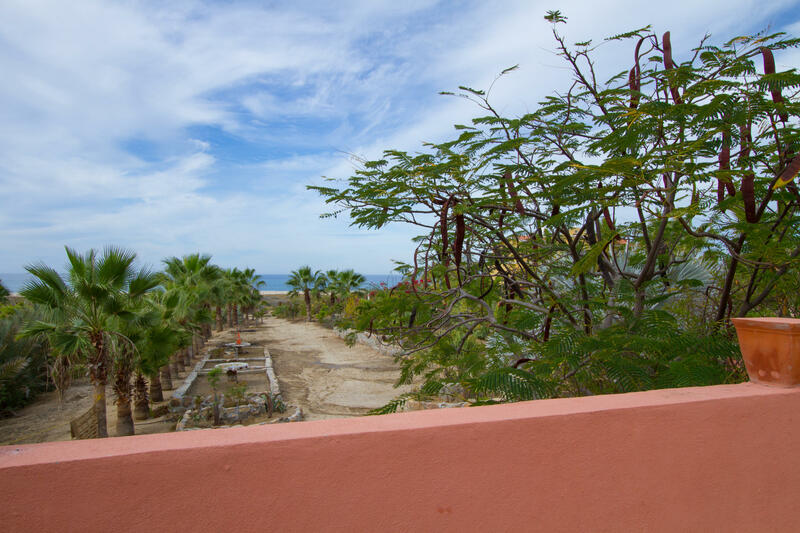 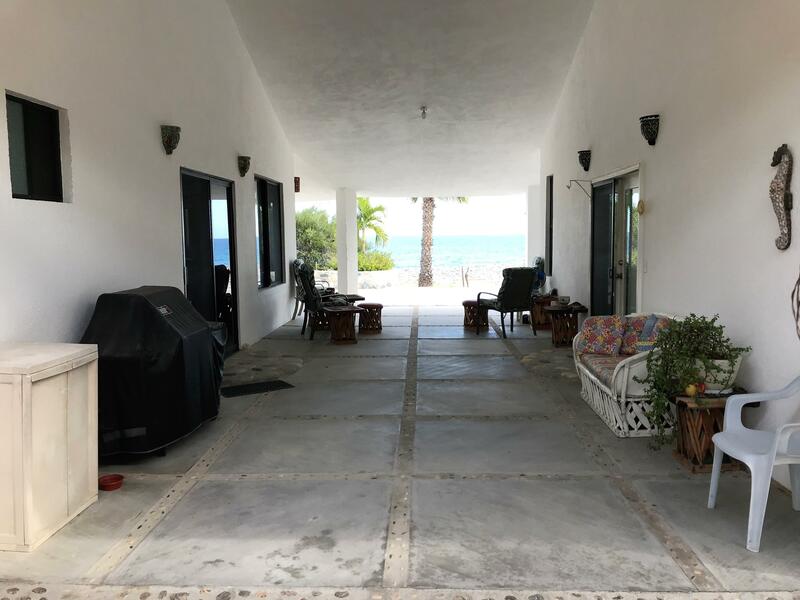 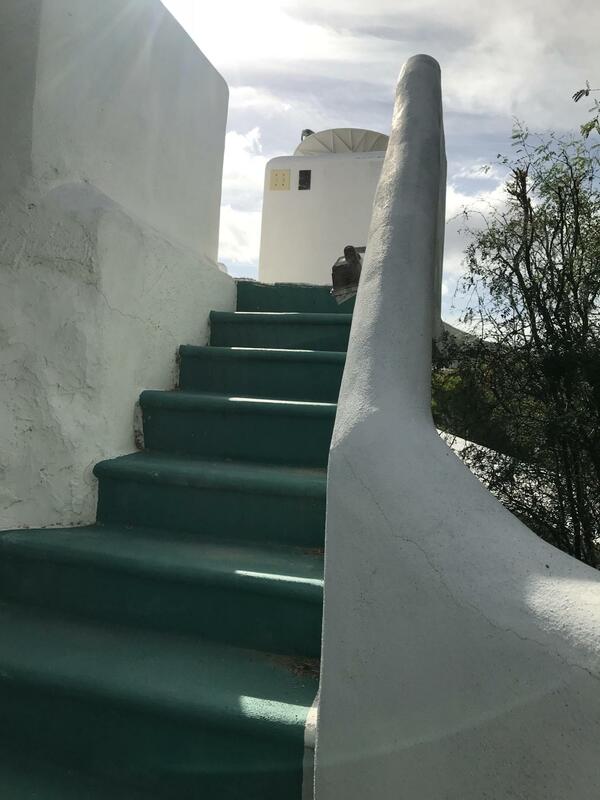 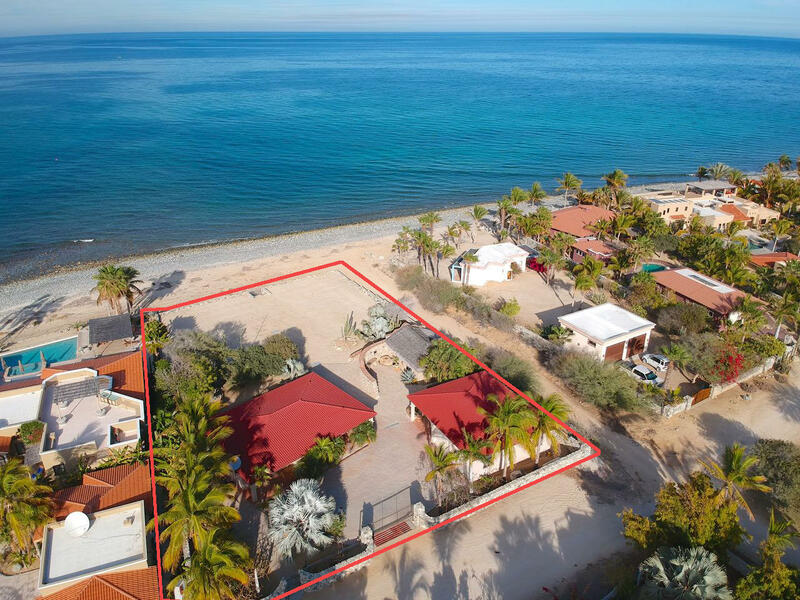 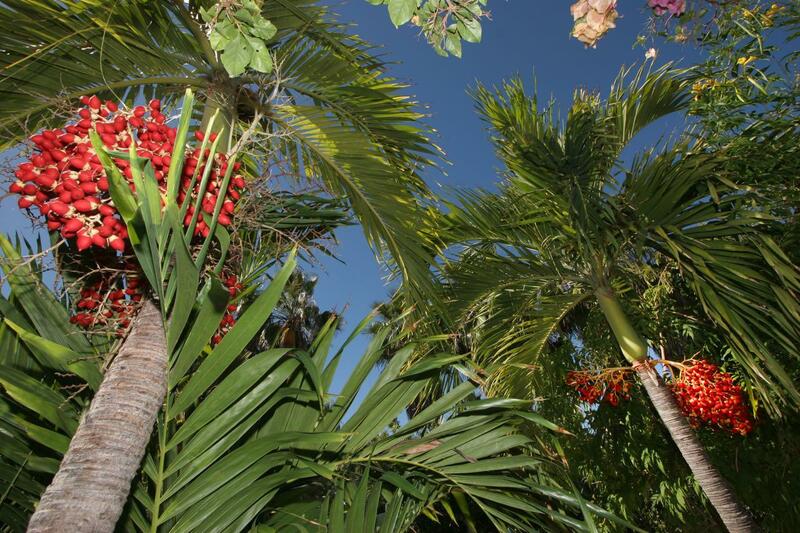 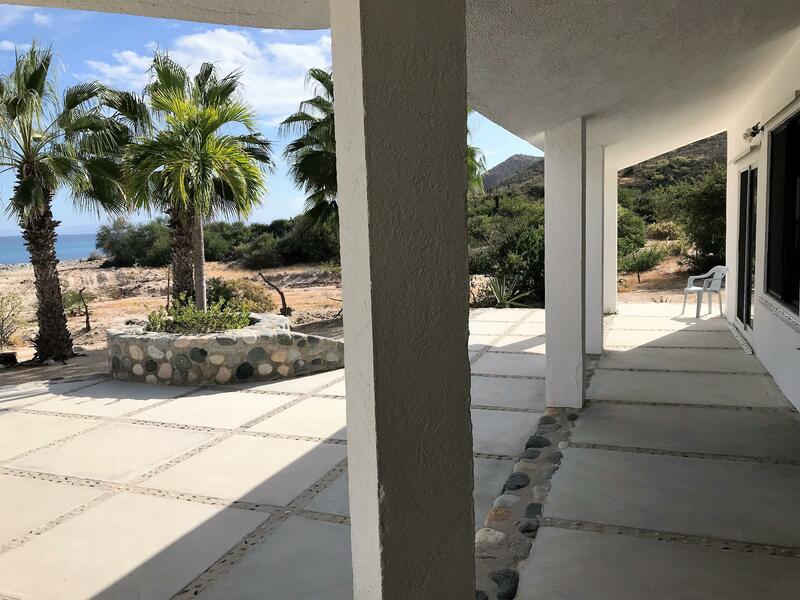 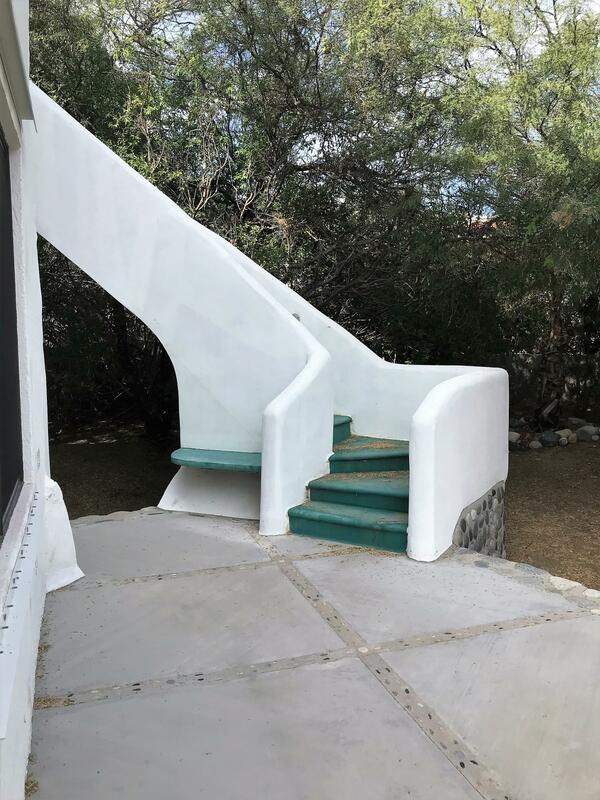 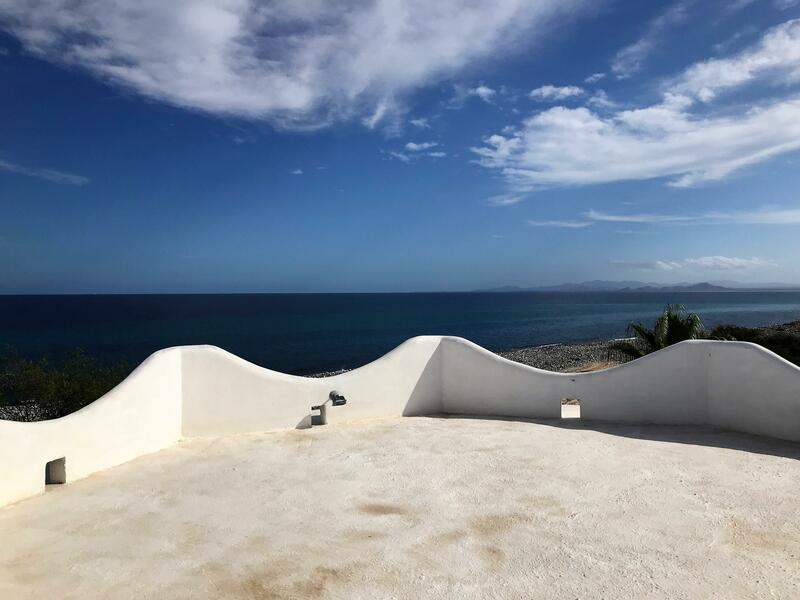 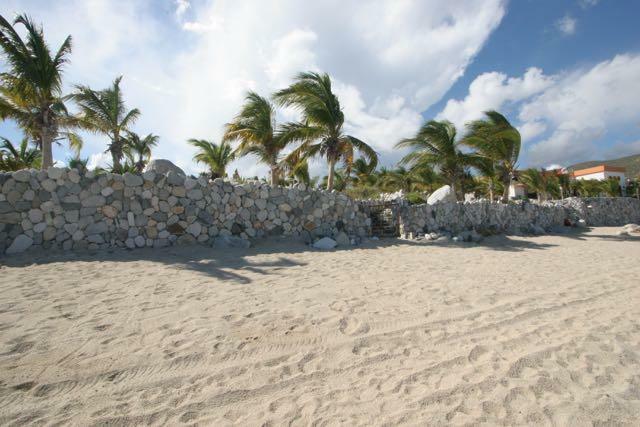 There is a stairway to a large roof deck above the home, plus there is plenty of room to build a beachfront home on this property. 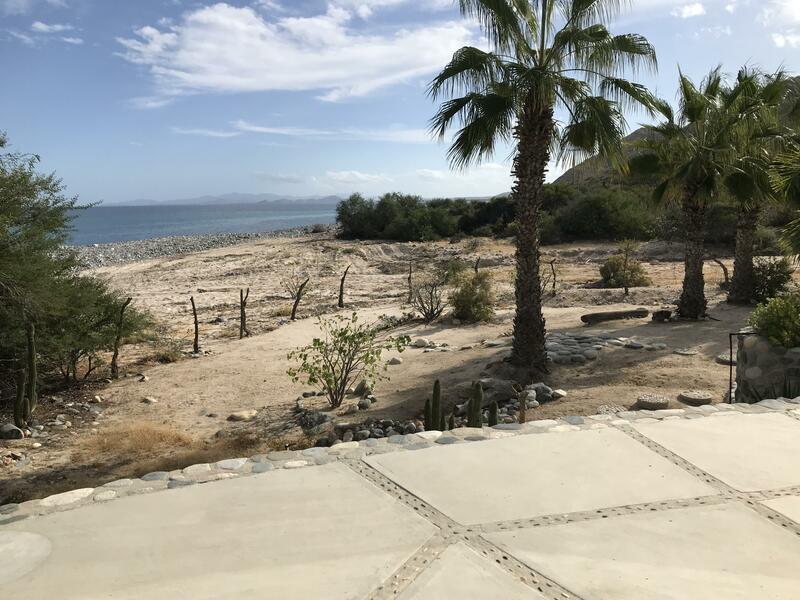 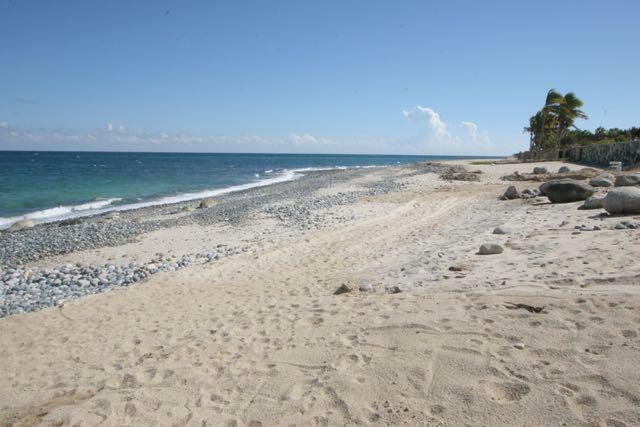 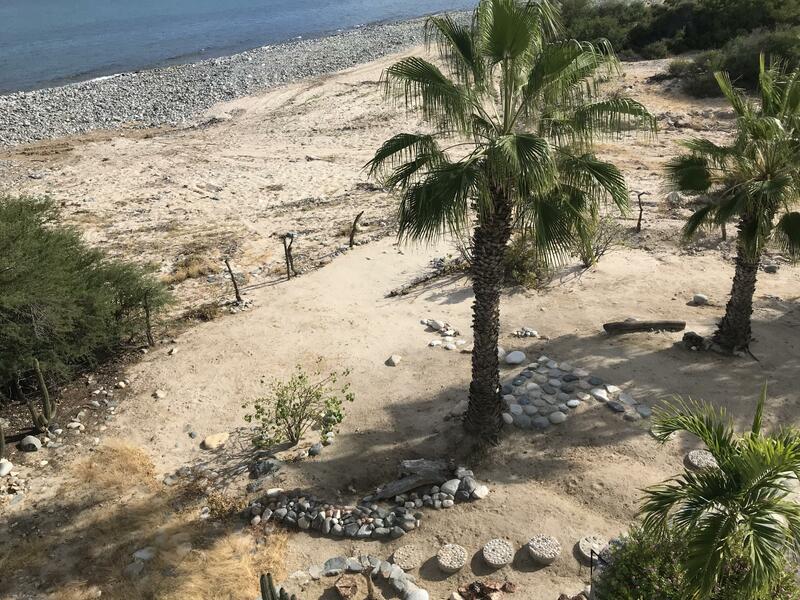 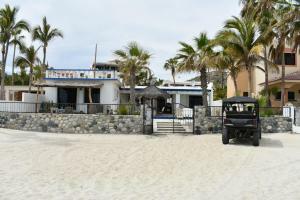 Description: Two beachfront homes on one large lot in Spa Buena Vista offering sandy beaches, safe swimming, and pure geothermal water you can drink from the faucets. 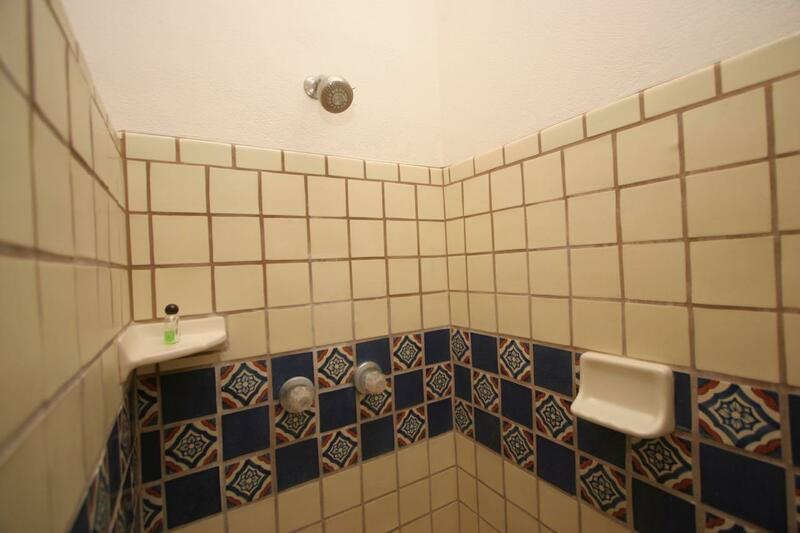 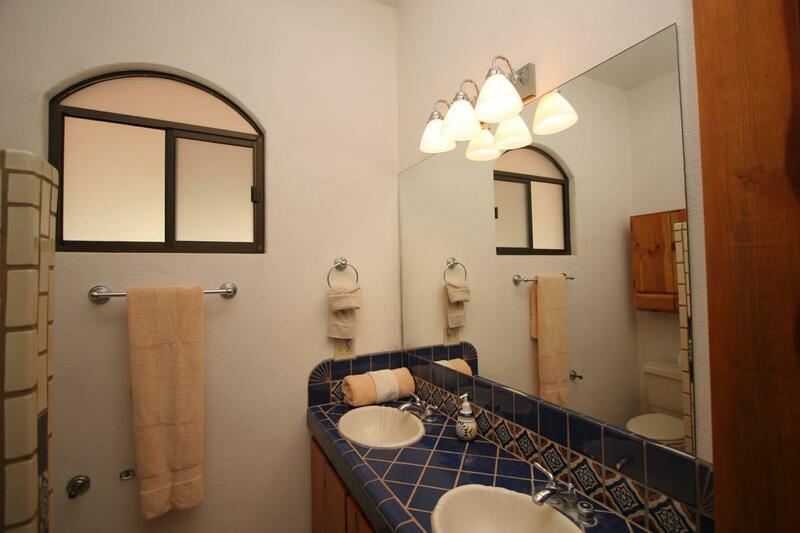 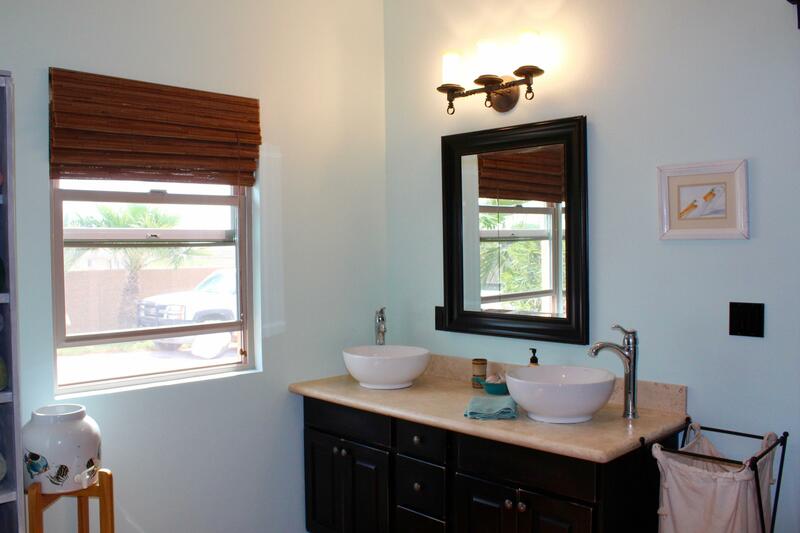 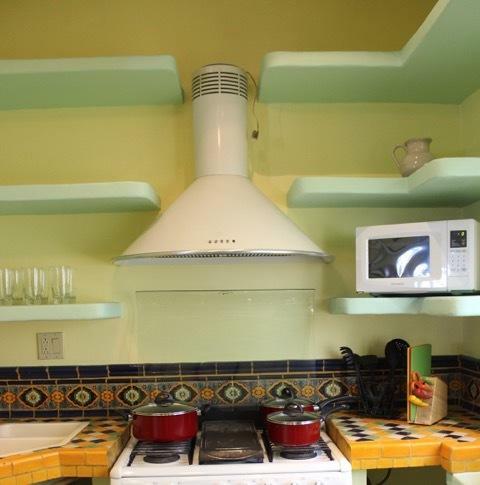 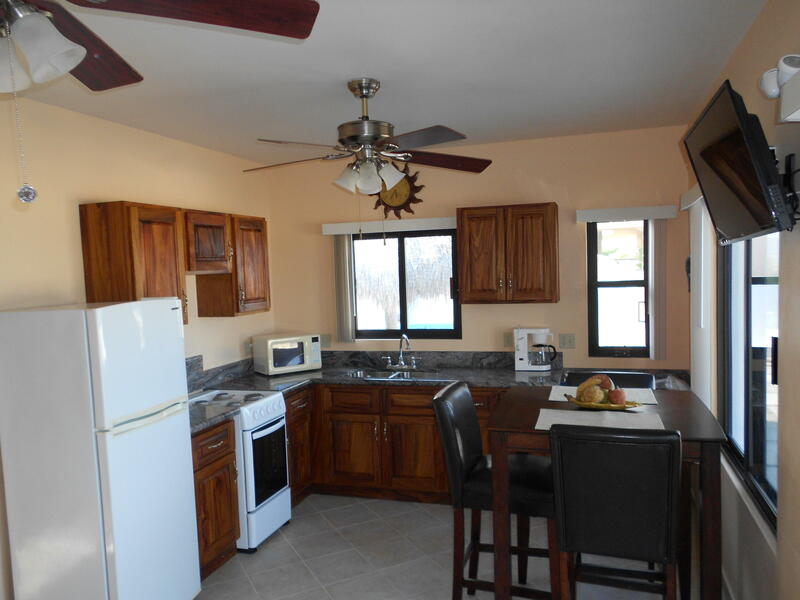 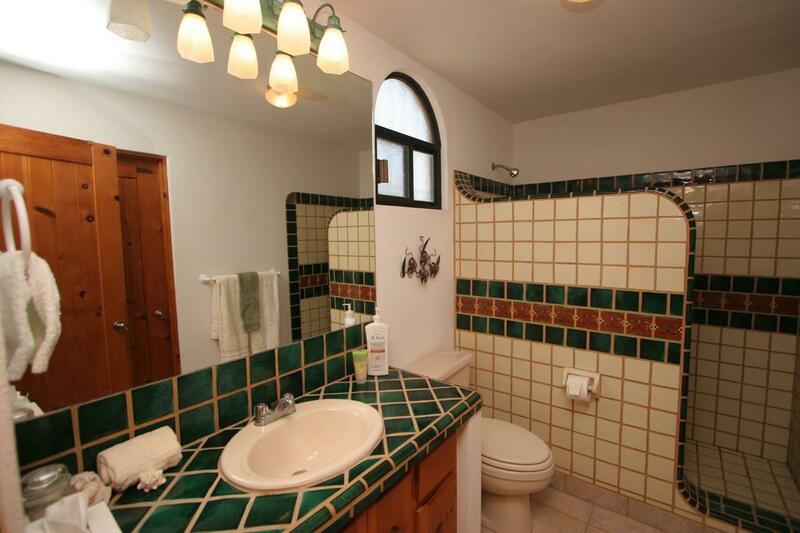 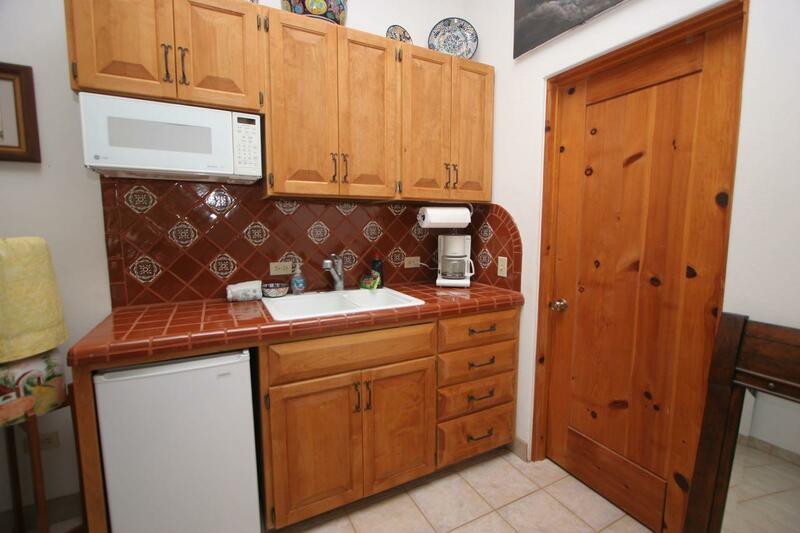 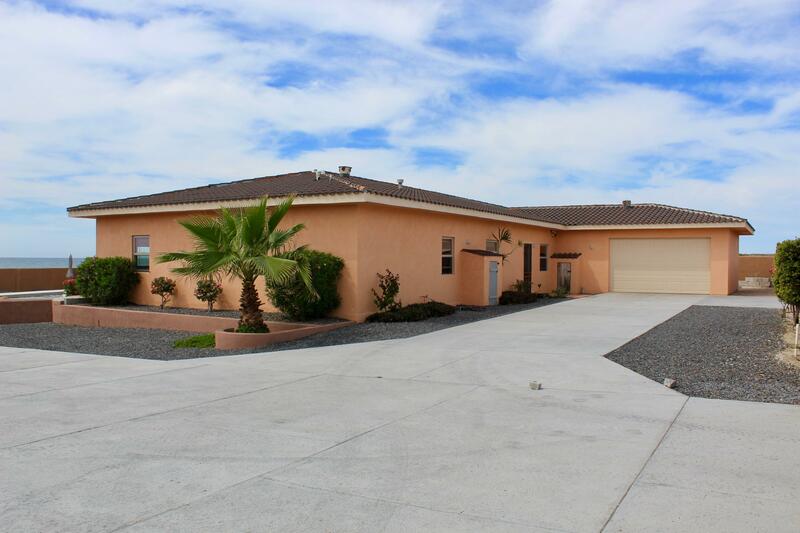 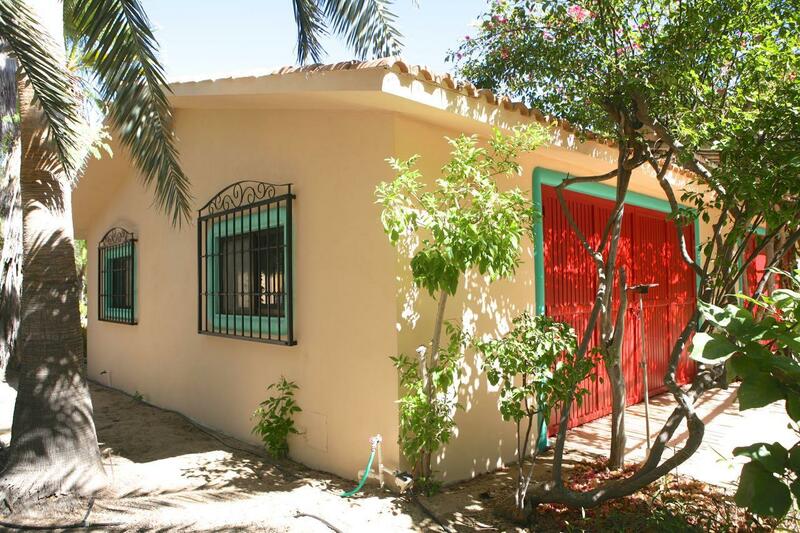 Casa 401K consists of a remodeled 3 bd/2ba main Casa, a remodeled 1 bd/1ba Casita, and a 15x35 Garage/Bodega. 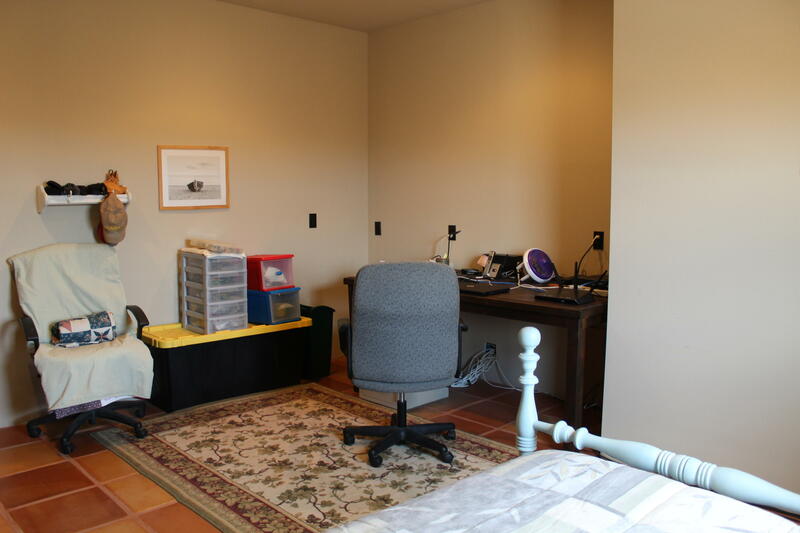 Corners are surveyed, marked and mapped. 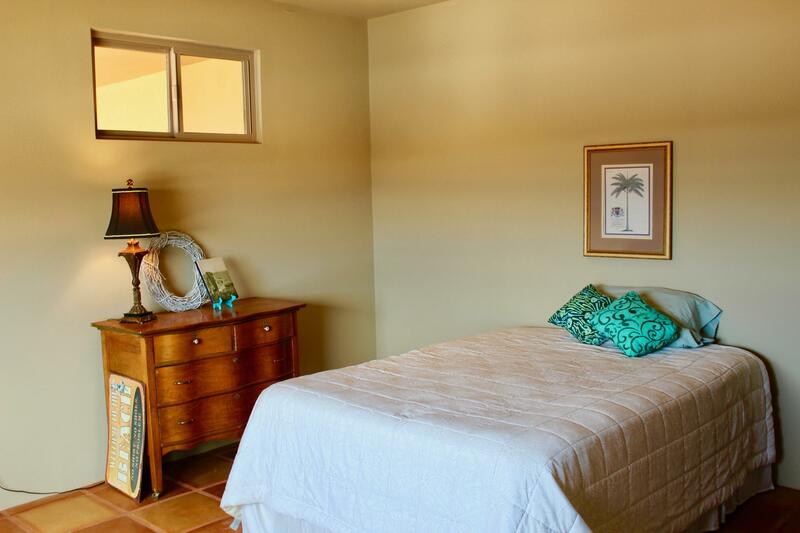 Title insured & title insurance is available here in Spa. 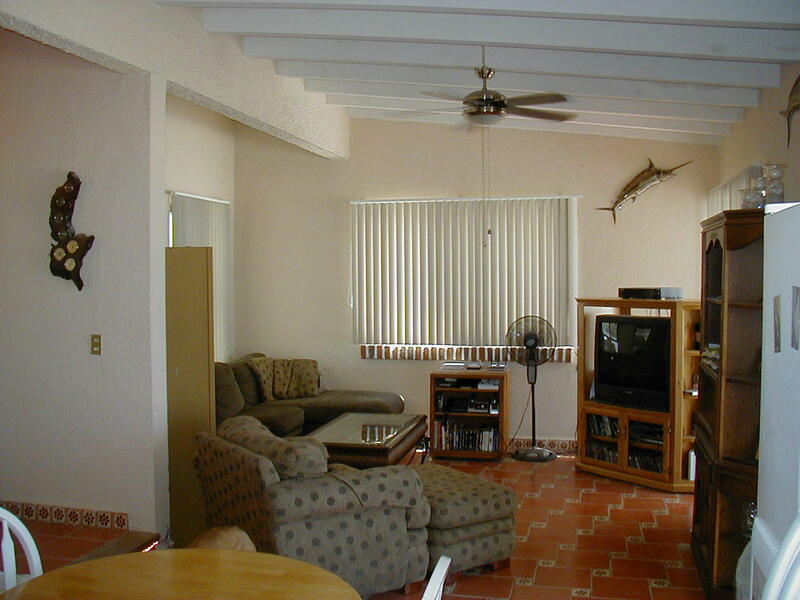 Two internet systems, satellite, TV, Established VRBO rental clientele & Management team in Place. 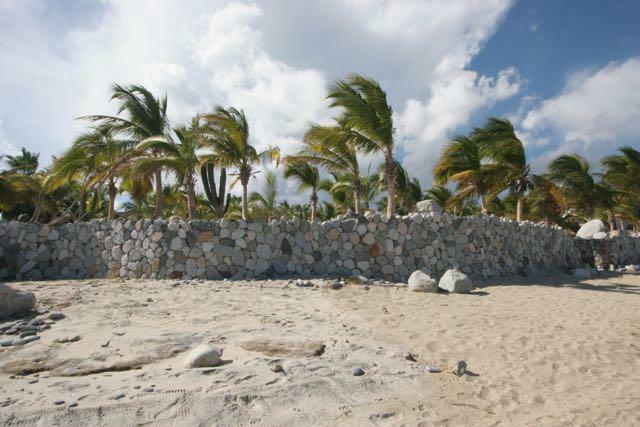 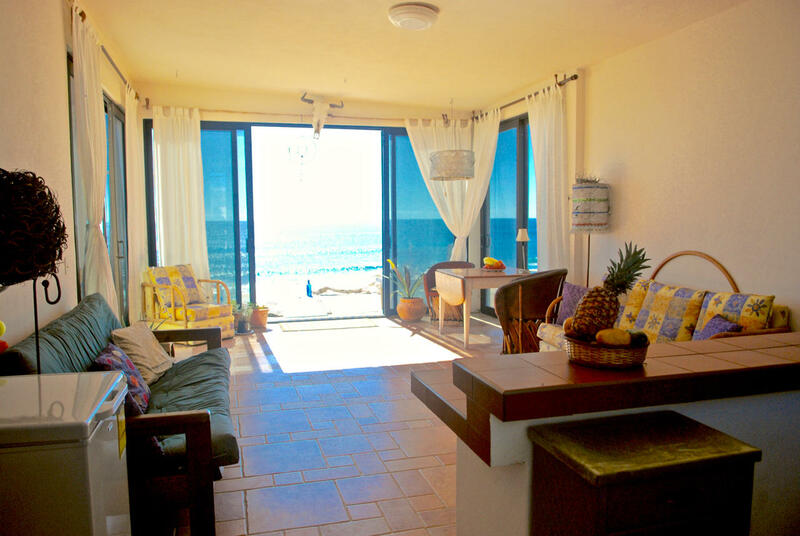 Rent one or both and pay for your Mexico vacations! 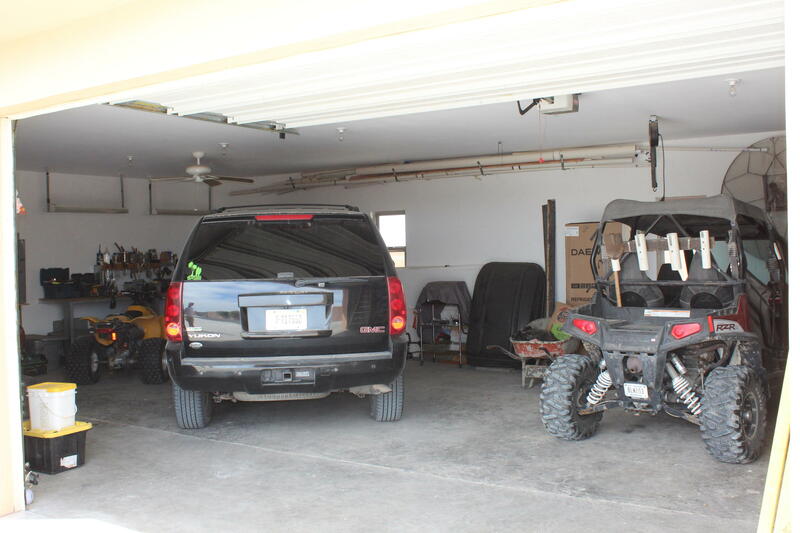 Totally turnkey; includes all furnishings, 2004 4x4Chey Tahoe, 2005 Polaris Sportsman 700 ATV 4X4, 14FT Klammoth aluminum boat with custom Baja wheels, live-well &outboard motor. 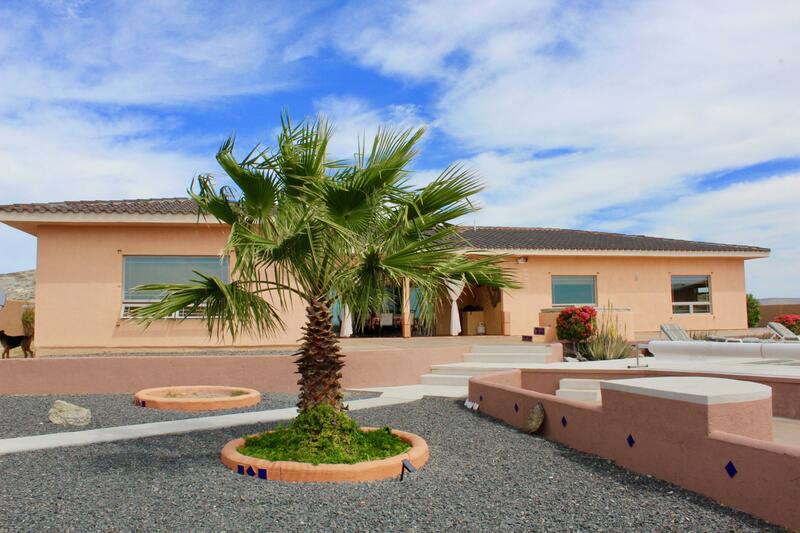 Description: Beautiful and spacious waterfront home. 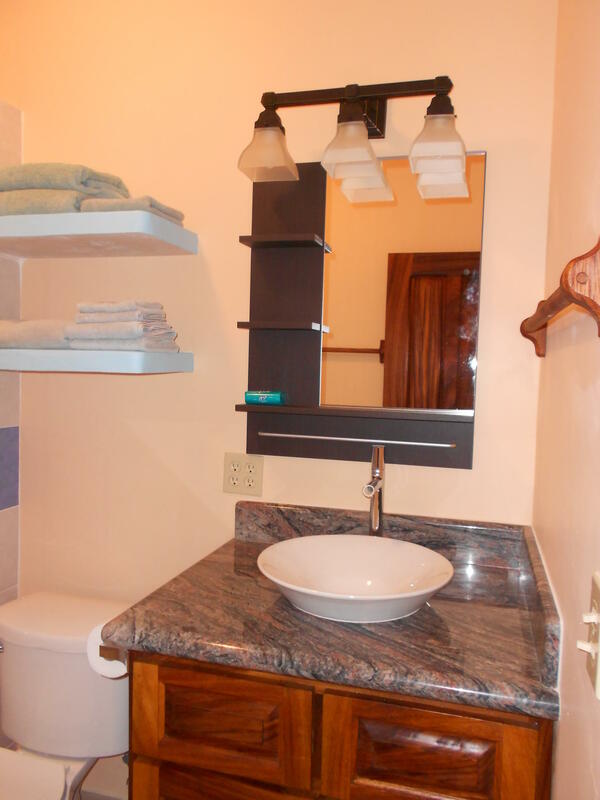 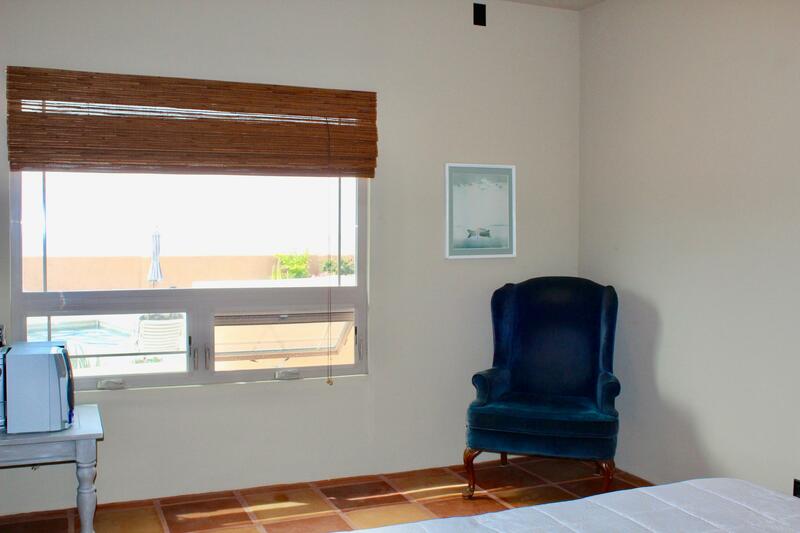 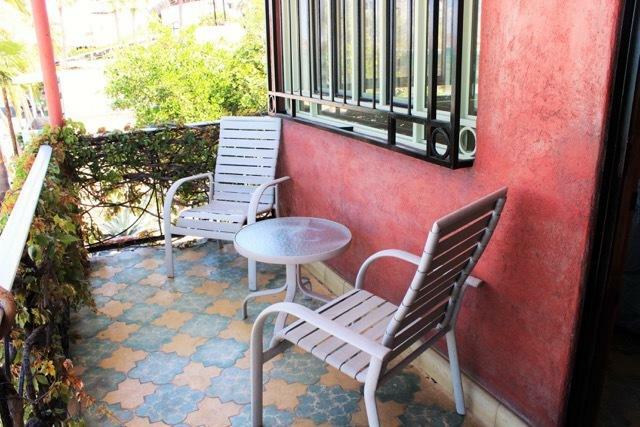 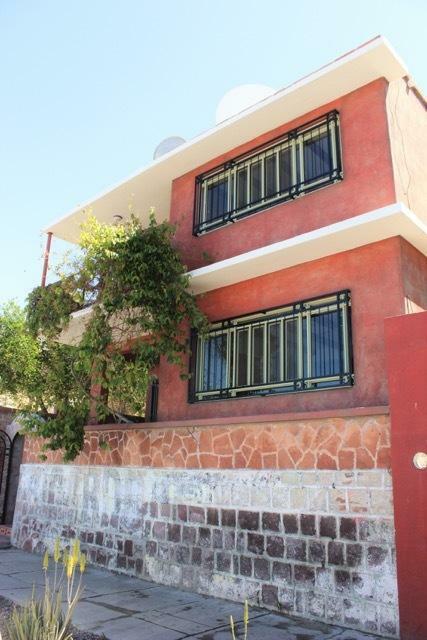 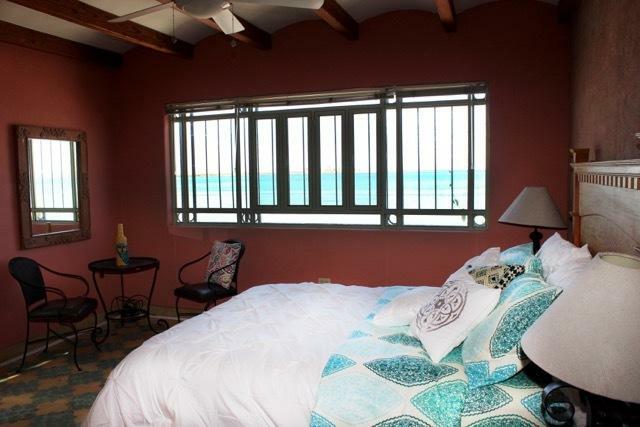 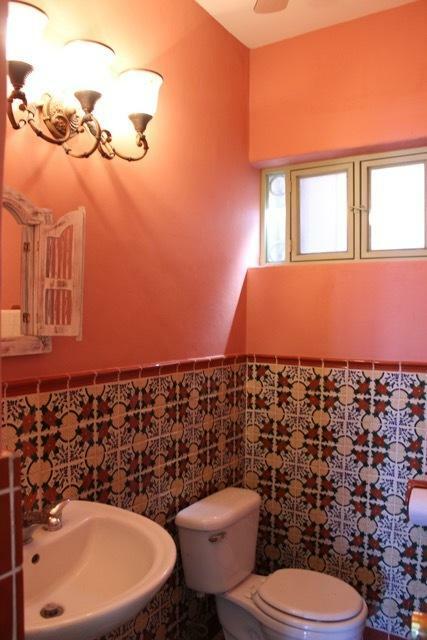 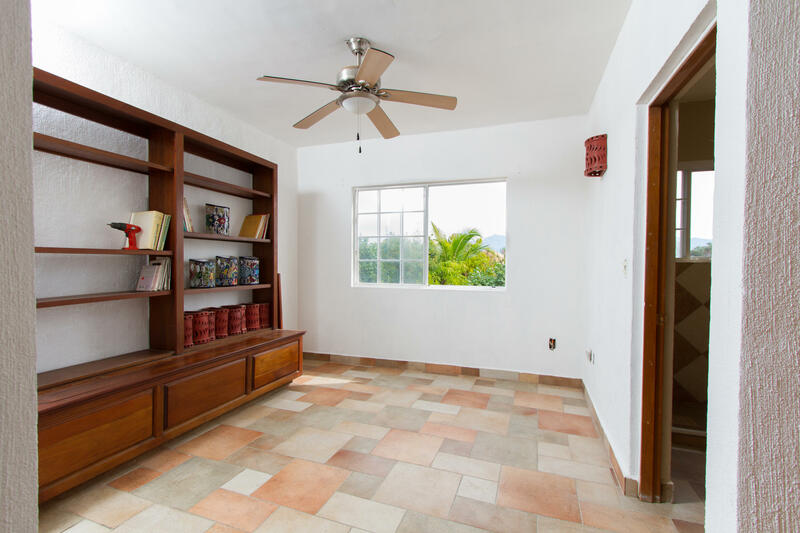 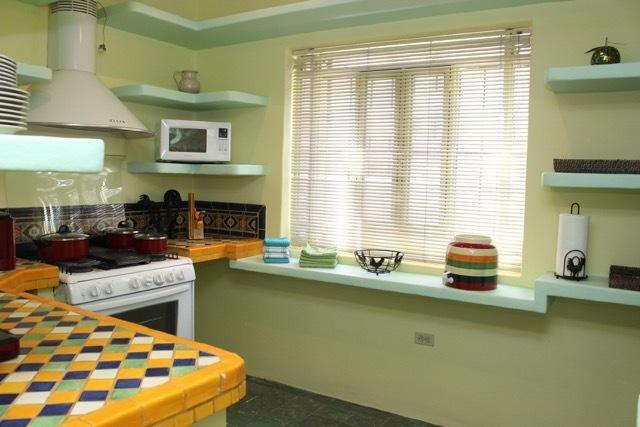 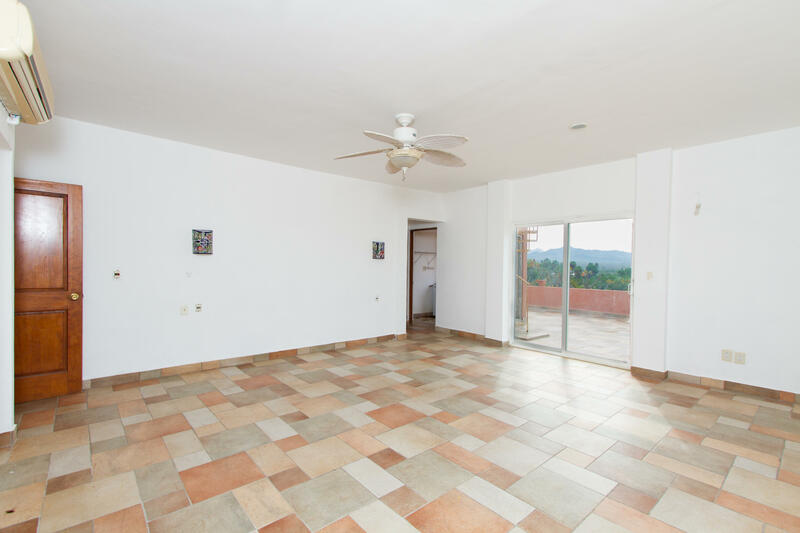 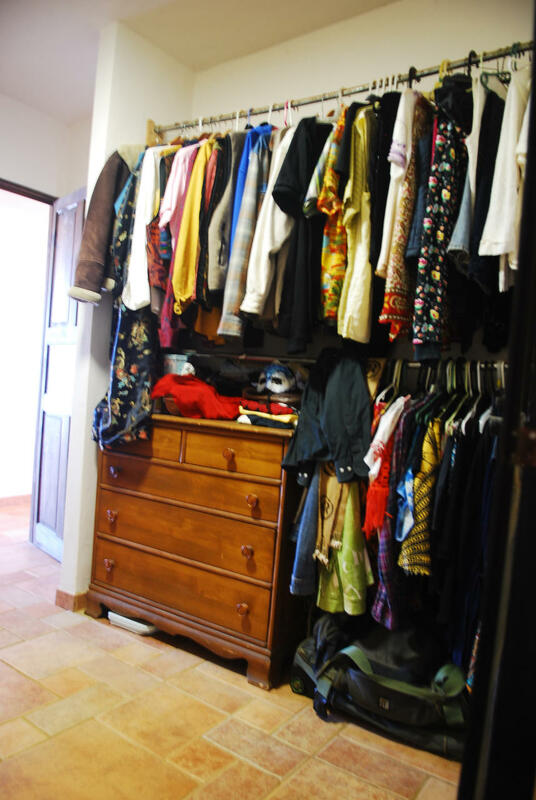 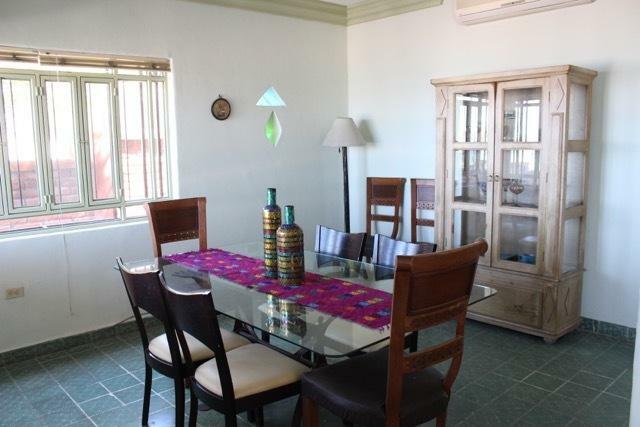 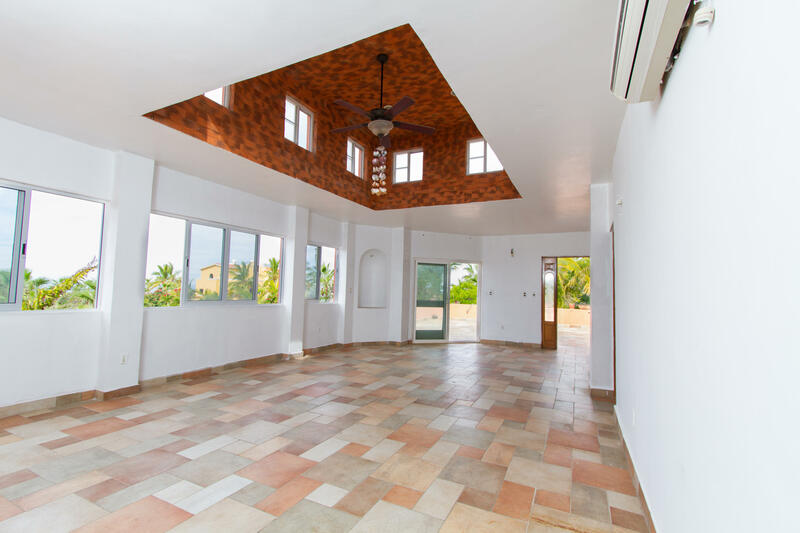 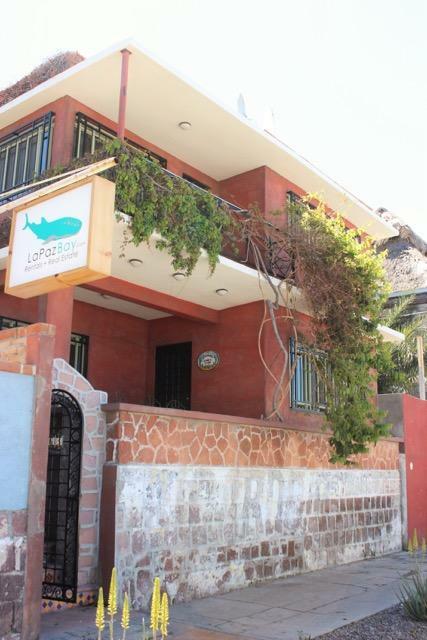 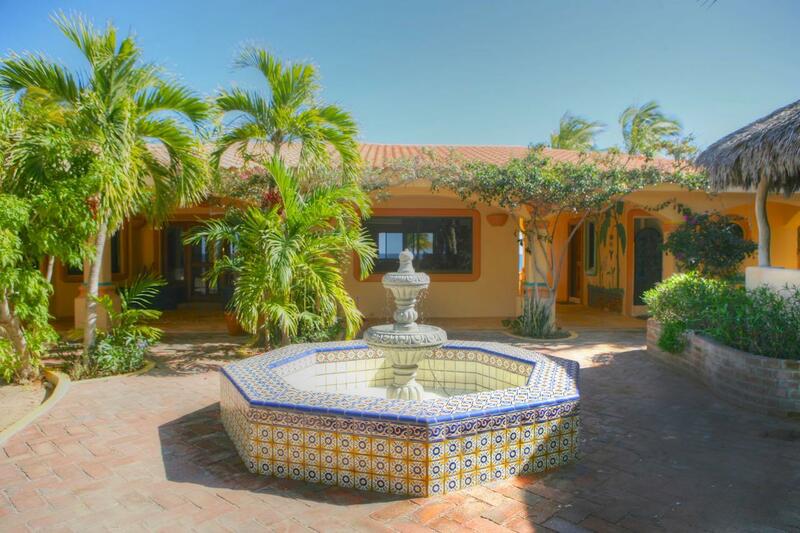 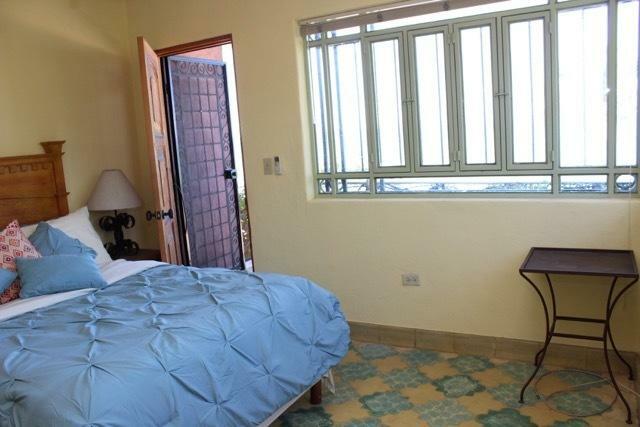 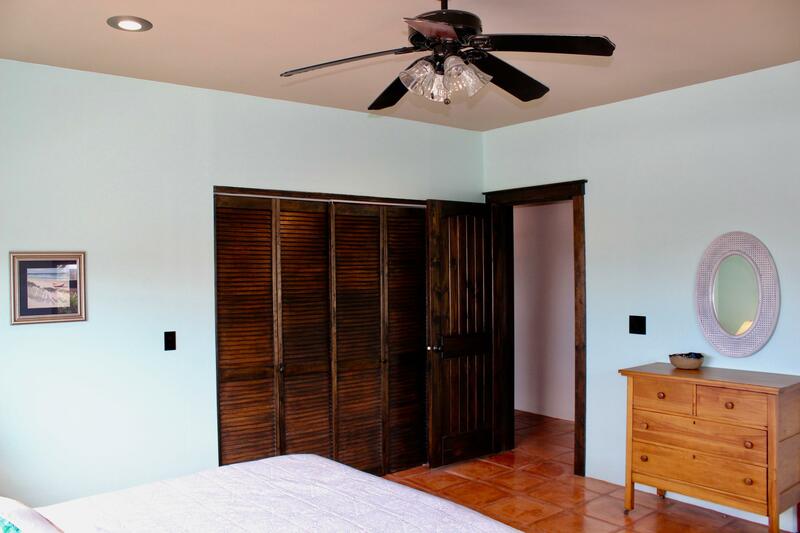 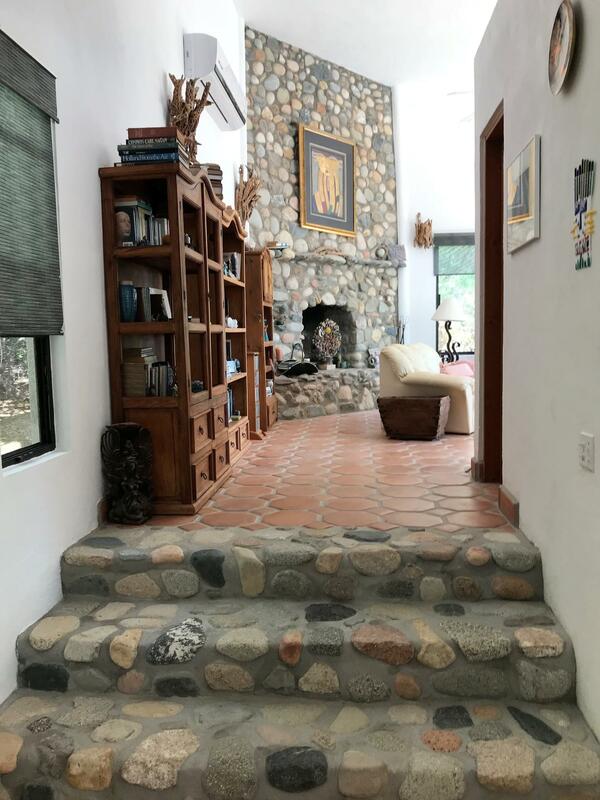 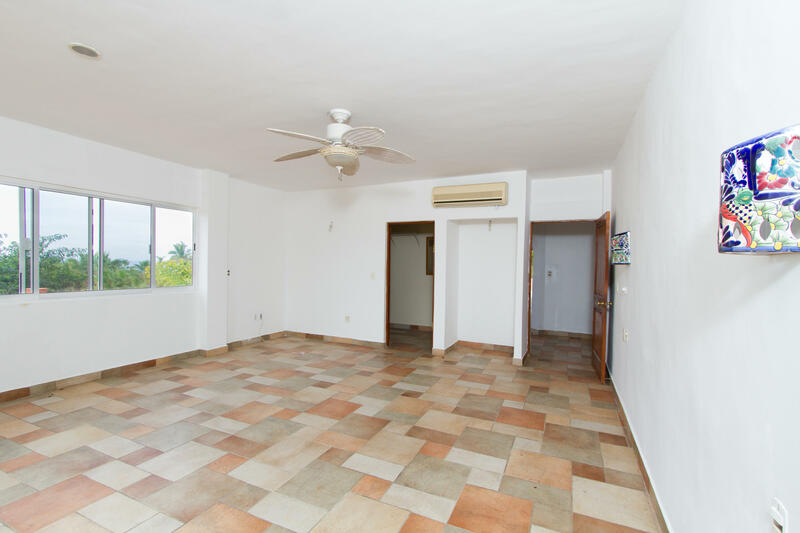 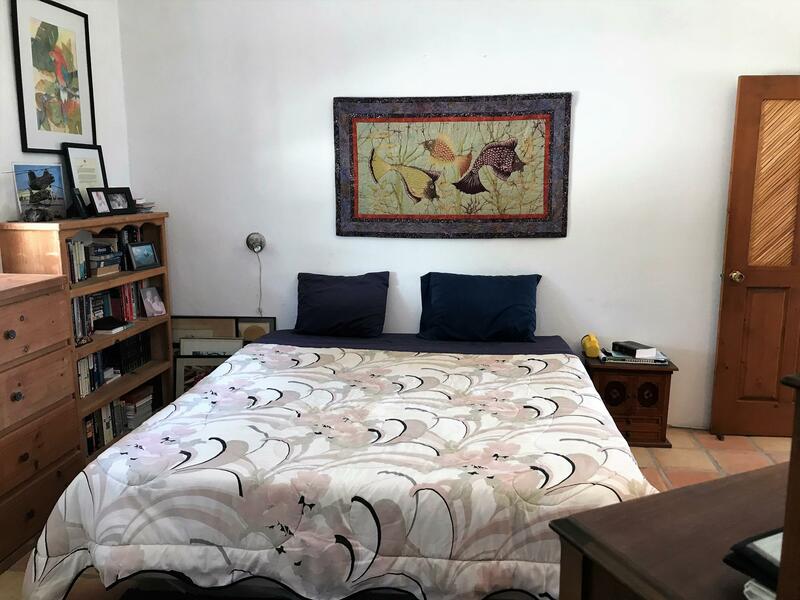 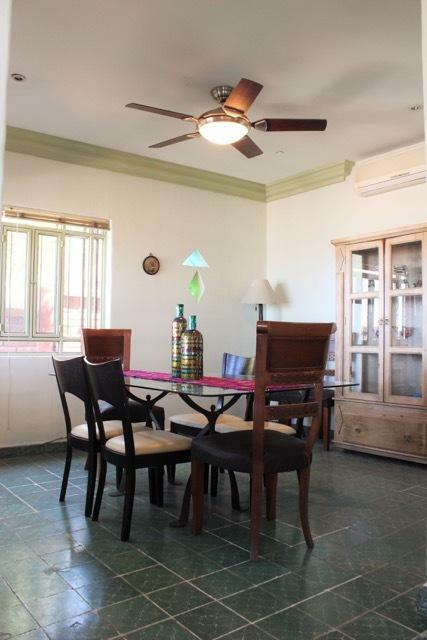 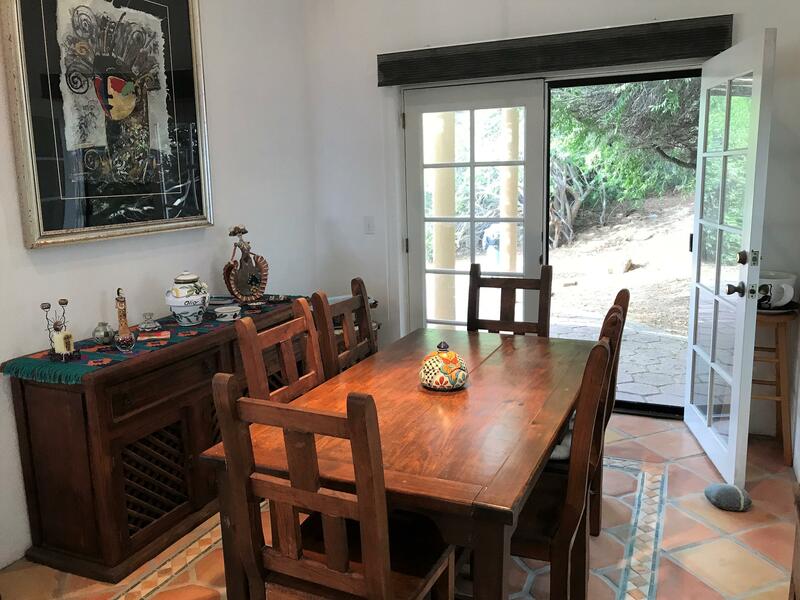 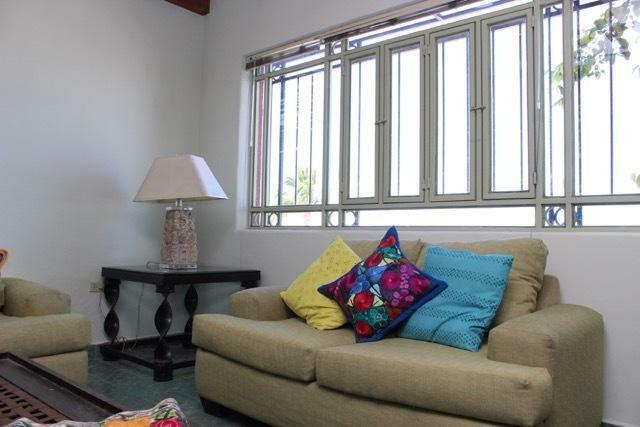 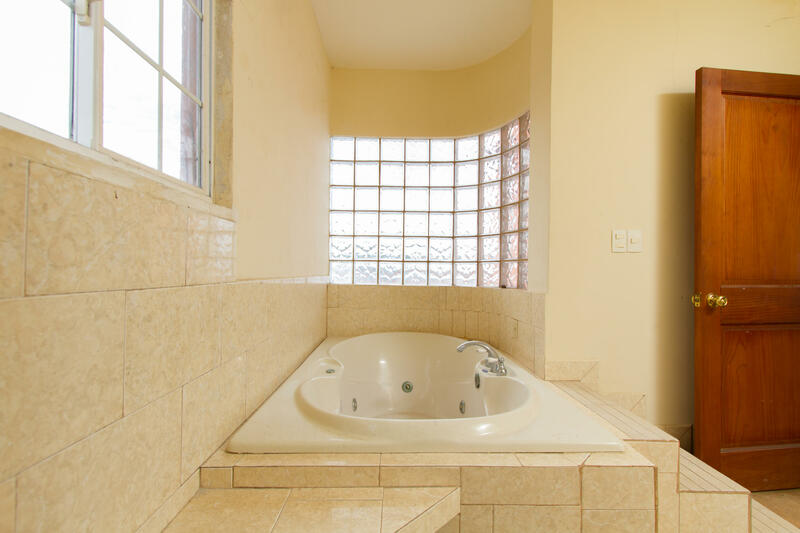 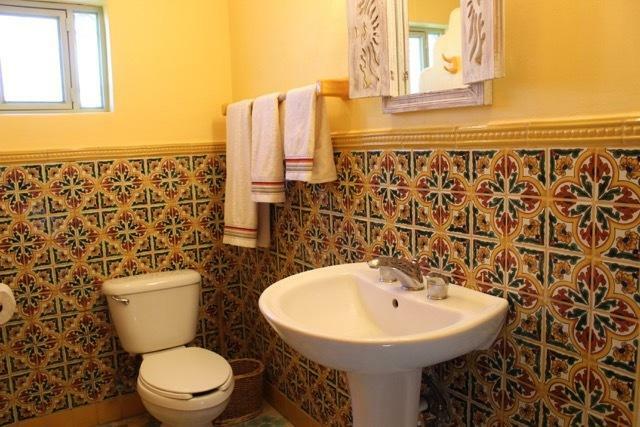 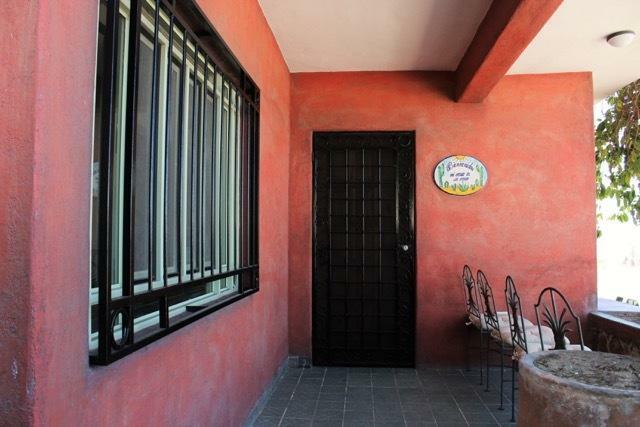 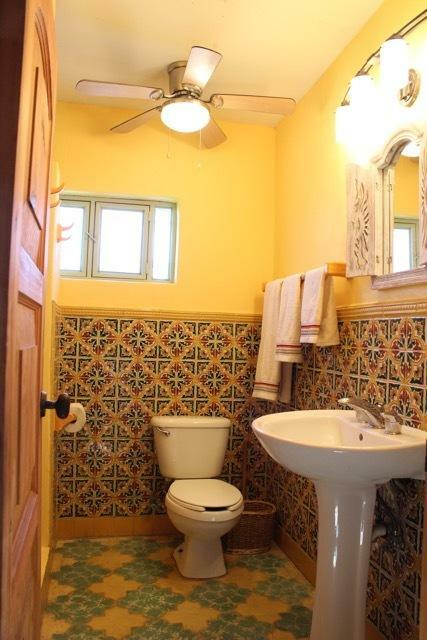 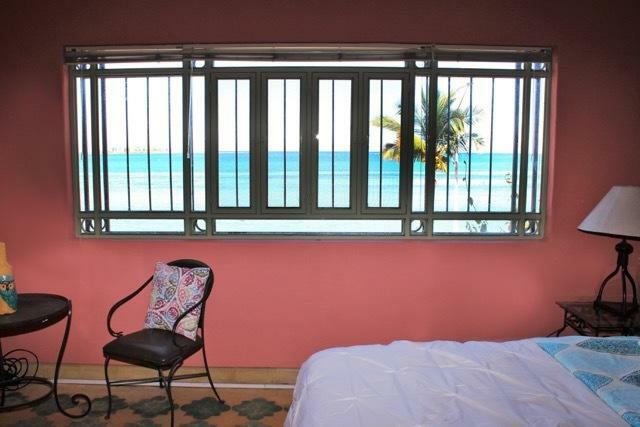 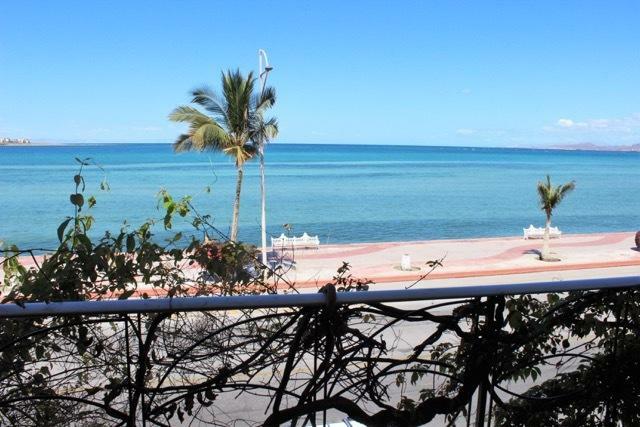 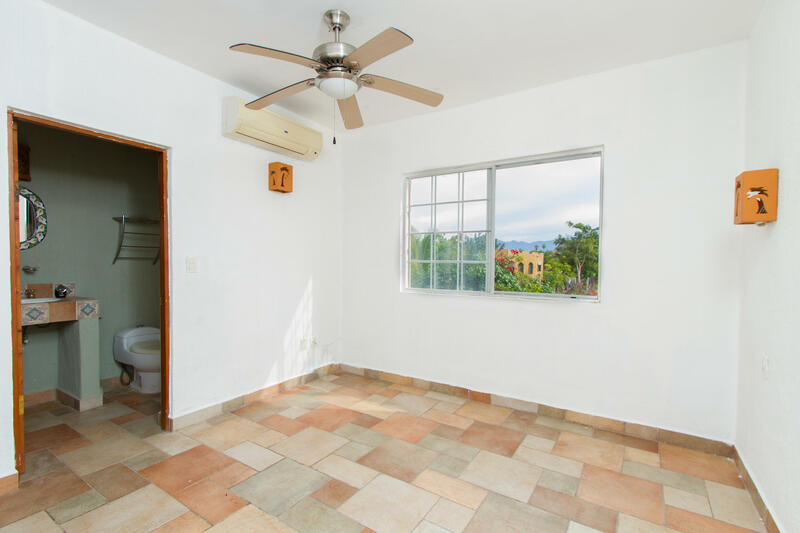 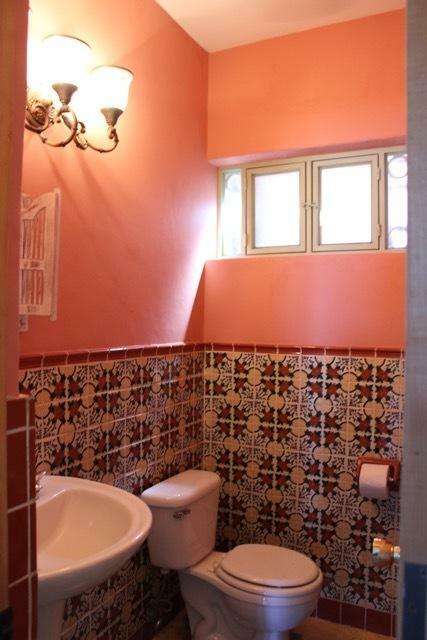 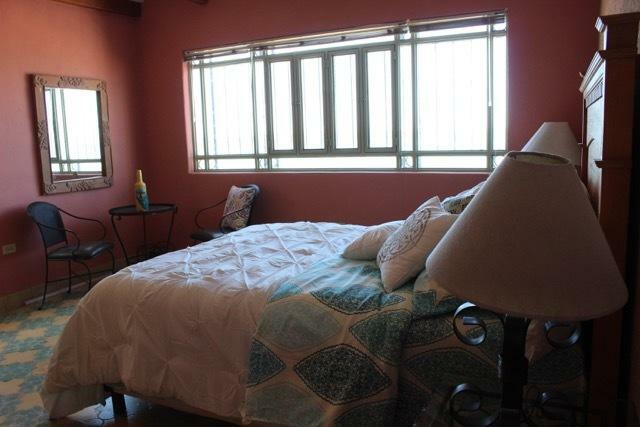 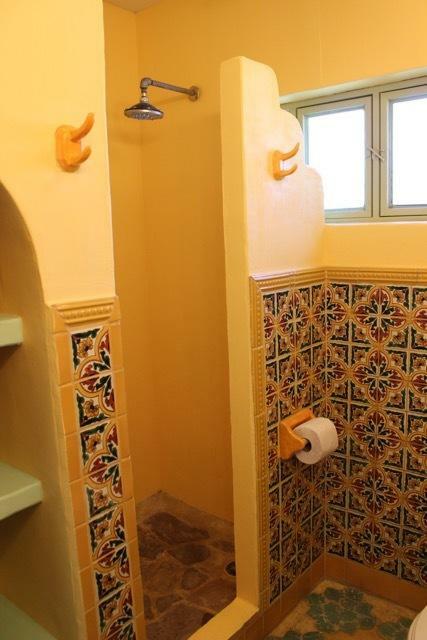 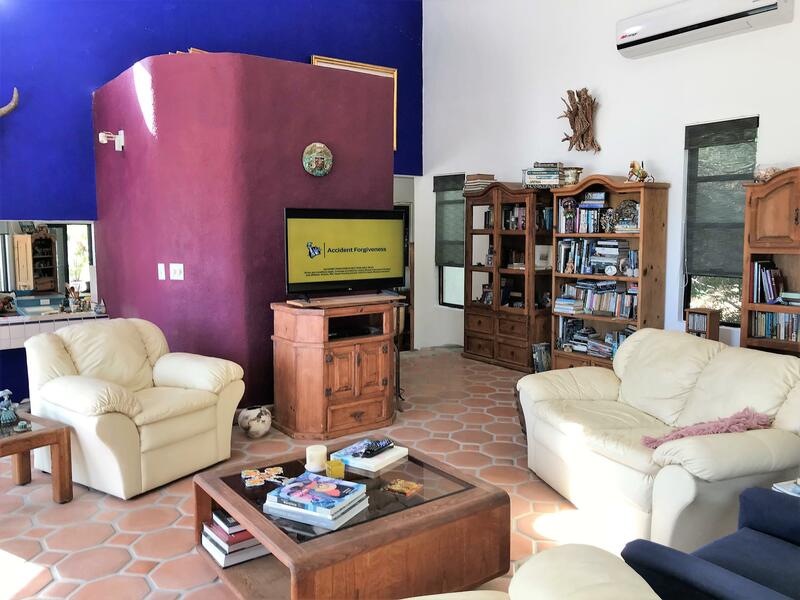 This home features a prime location walking distance to all the City's traditional lifestyle with the views and activities our malecon offers.The house itself still has original floors from 1950s as well as the iron work and brick walls. 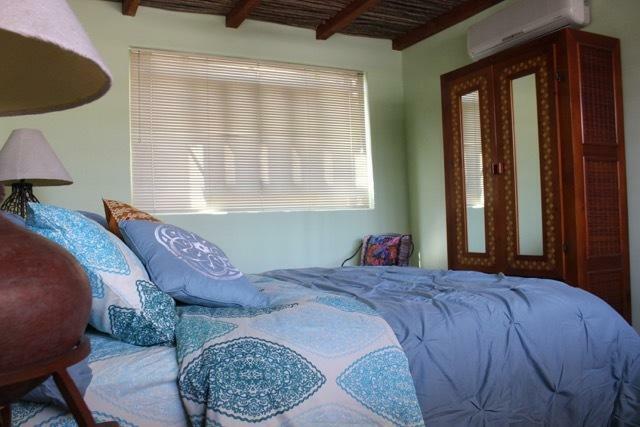 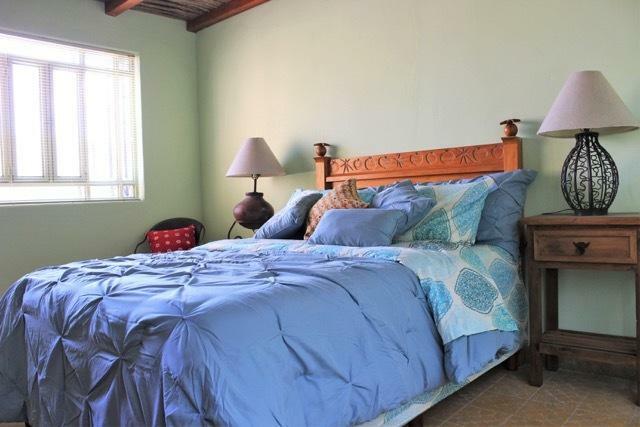 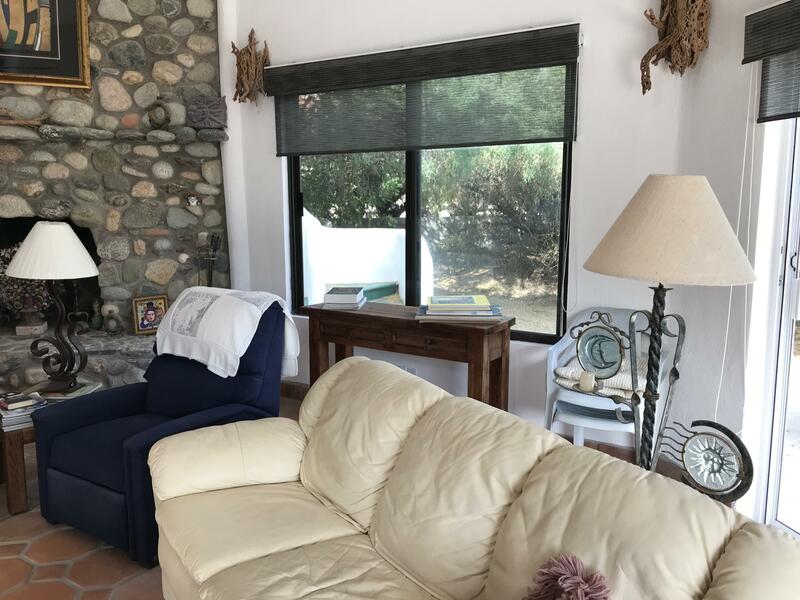 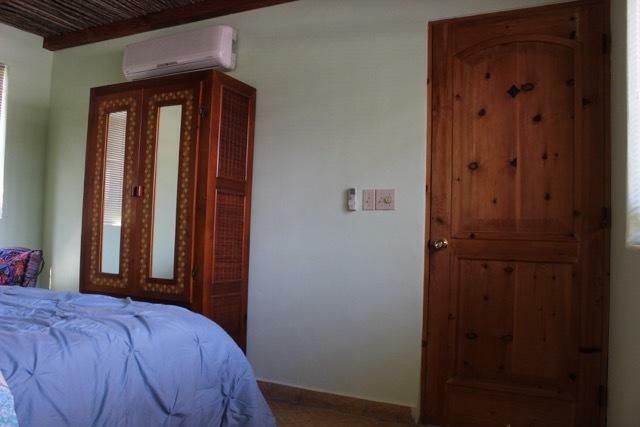 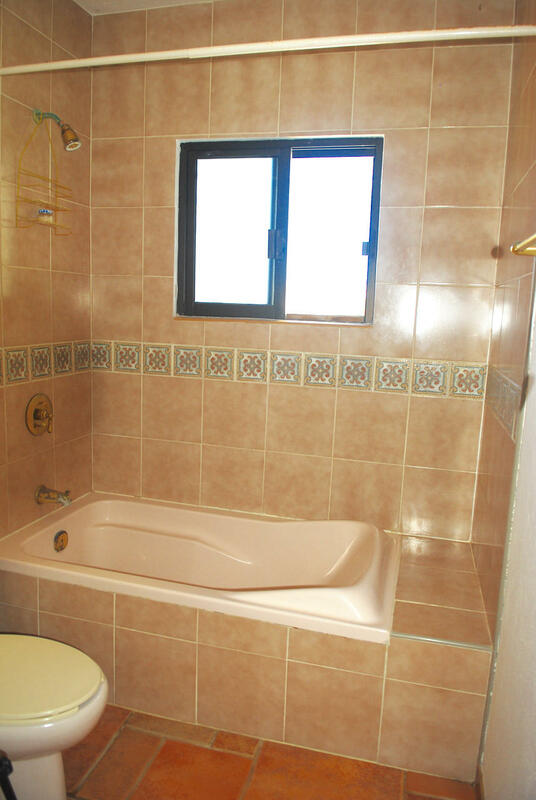 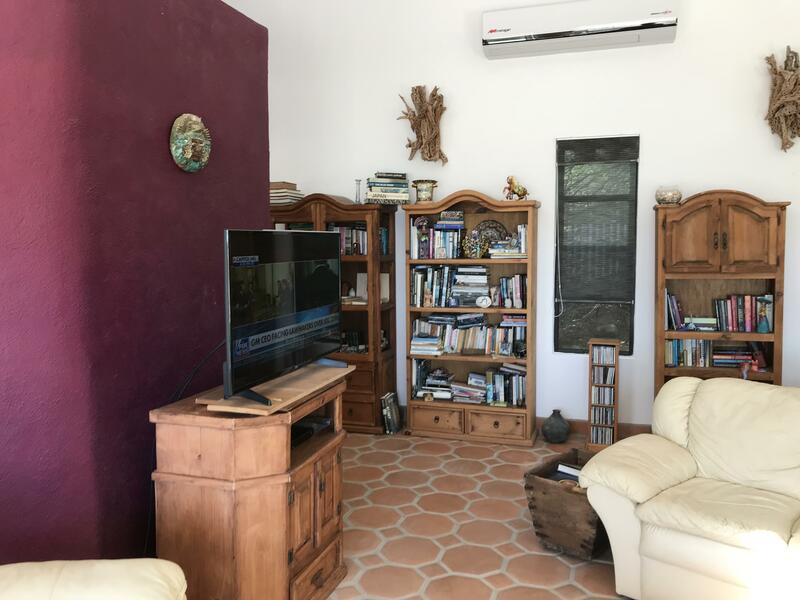 It's 3 bedrooms in the main house plus additional detached 4th bedroom make it a perfect family home as a temporary getaway or vacation home. 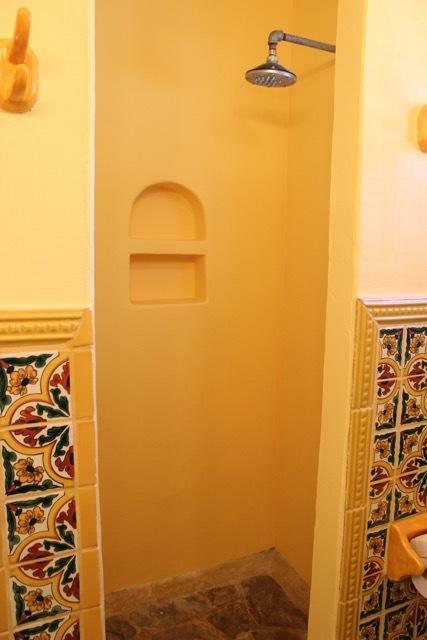 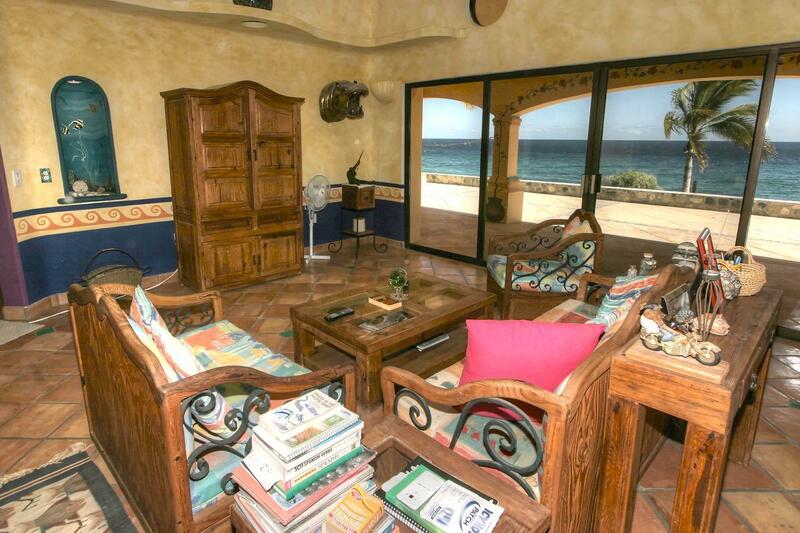 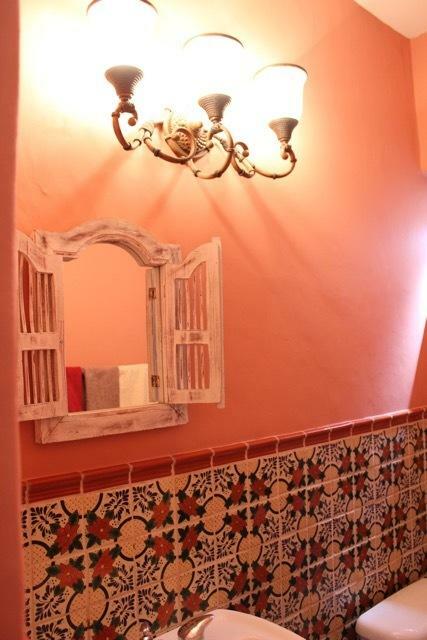 Description: Casa La Aguja welcomes you! 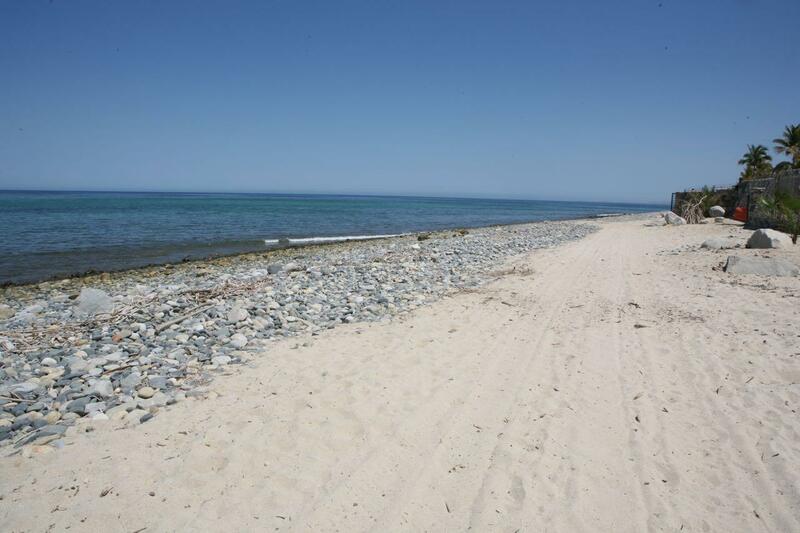 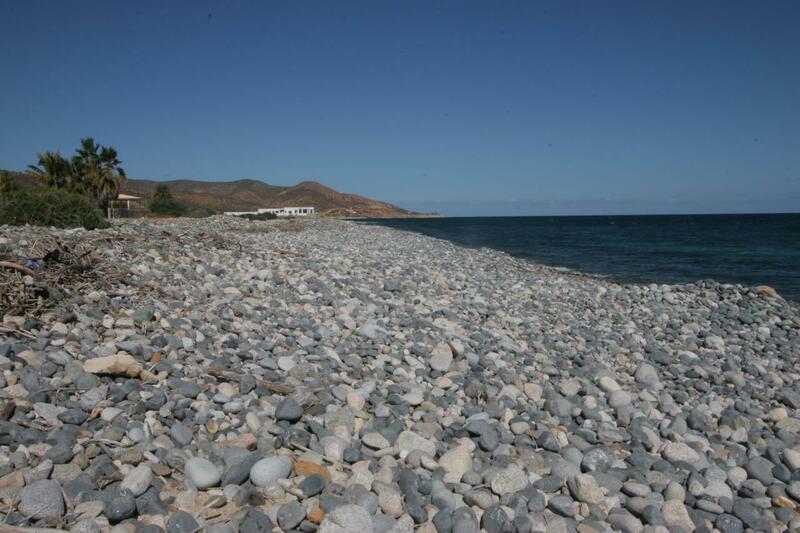 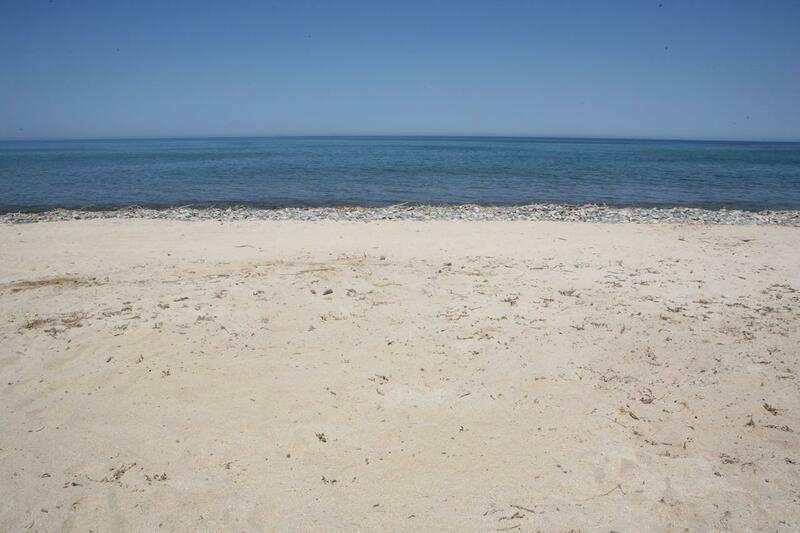 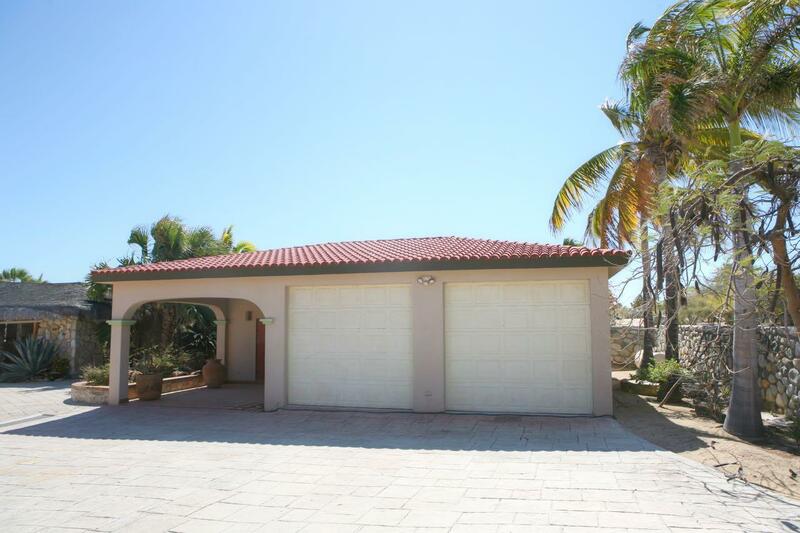 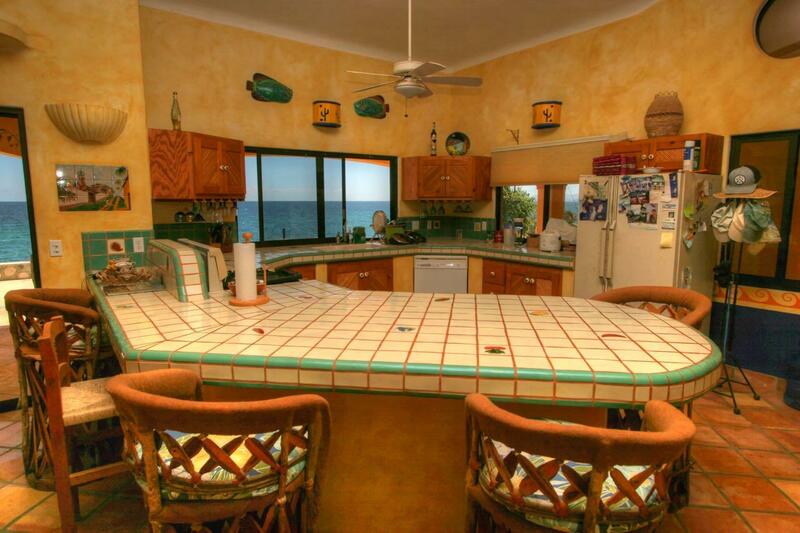 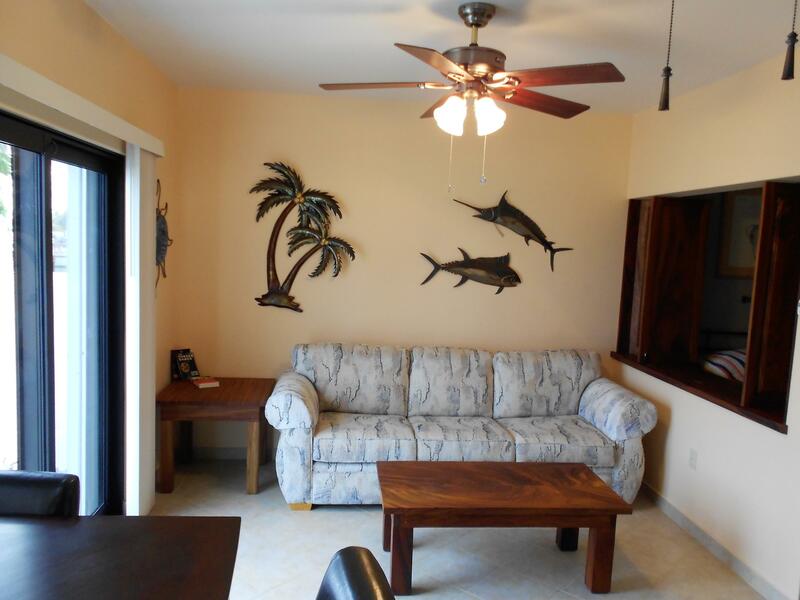 Custom built 4 bedroom turn-key home on a safe swimmable beach. 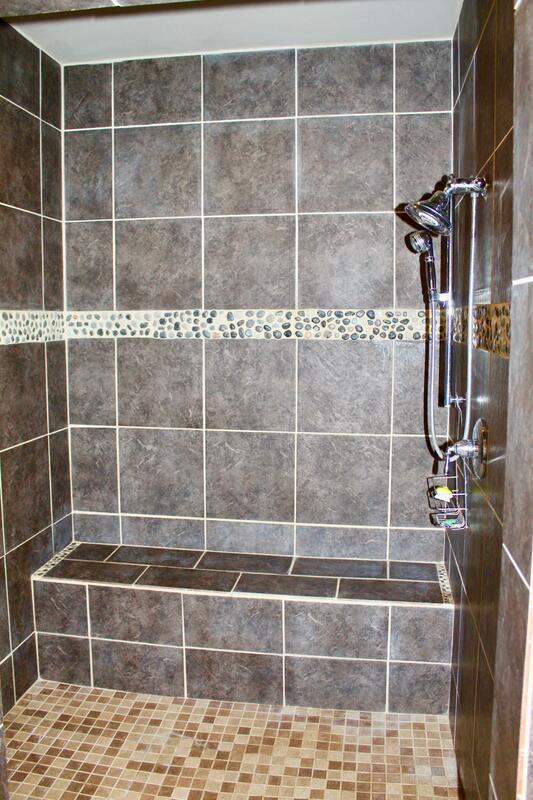 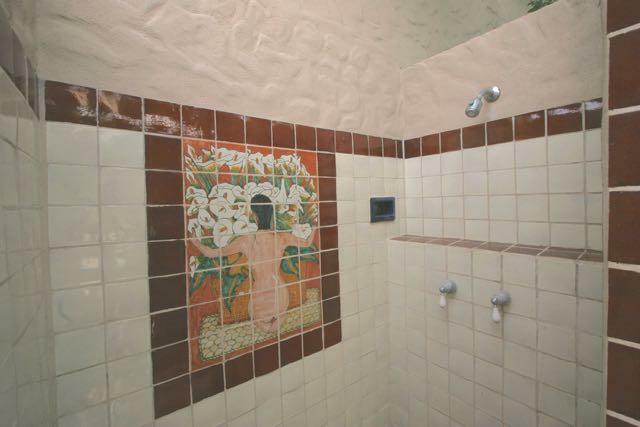 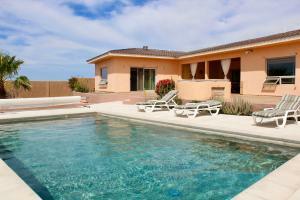 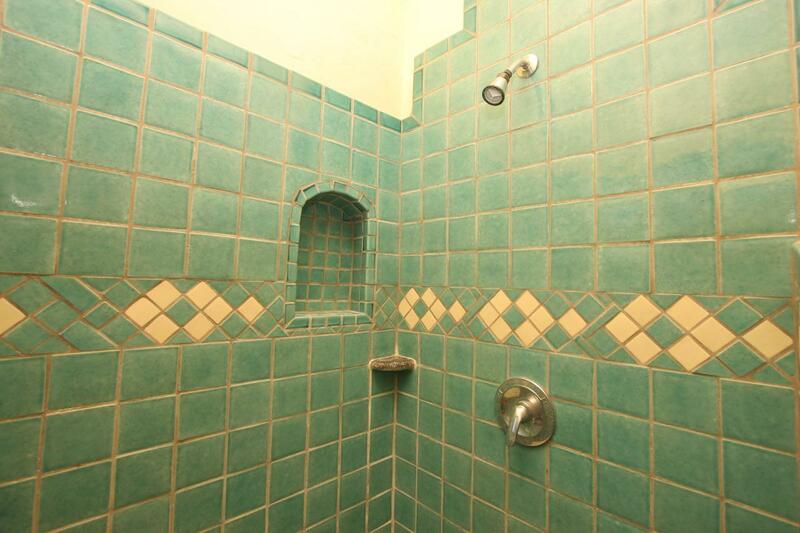 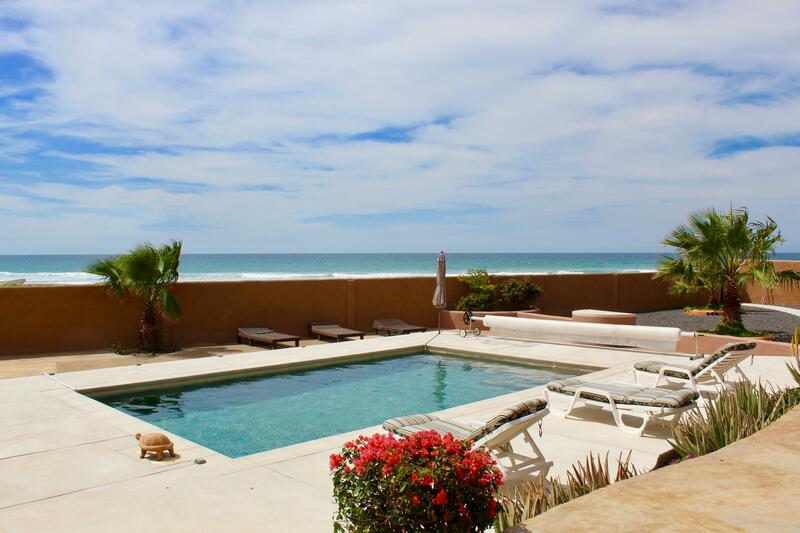 Heated pool, double garage, walled, with extensive patio areas to enjoy the sun and Pacific breezes. 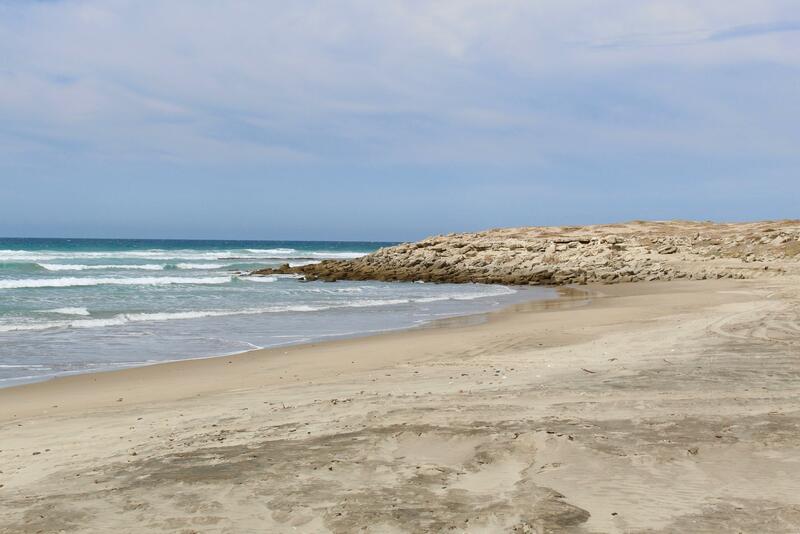 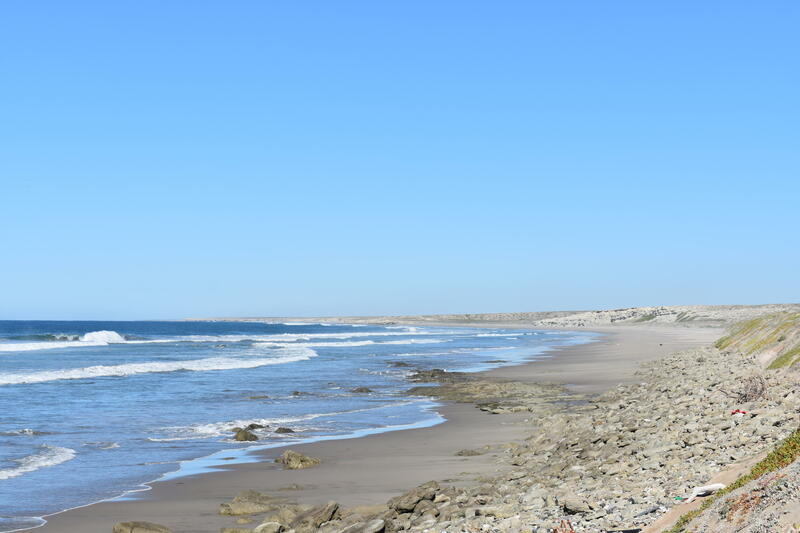 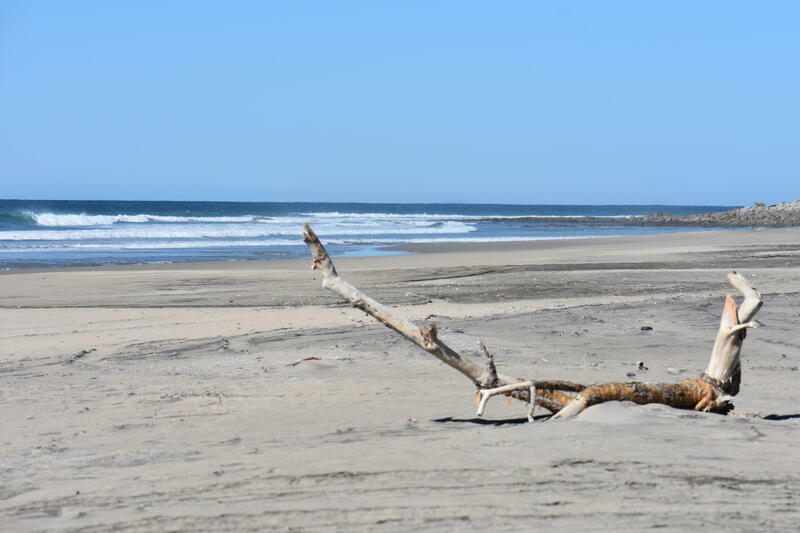 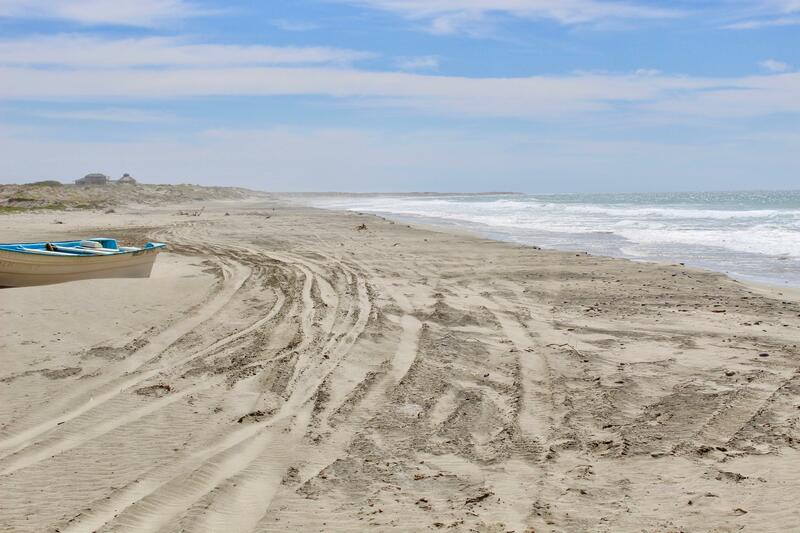 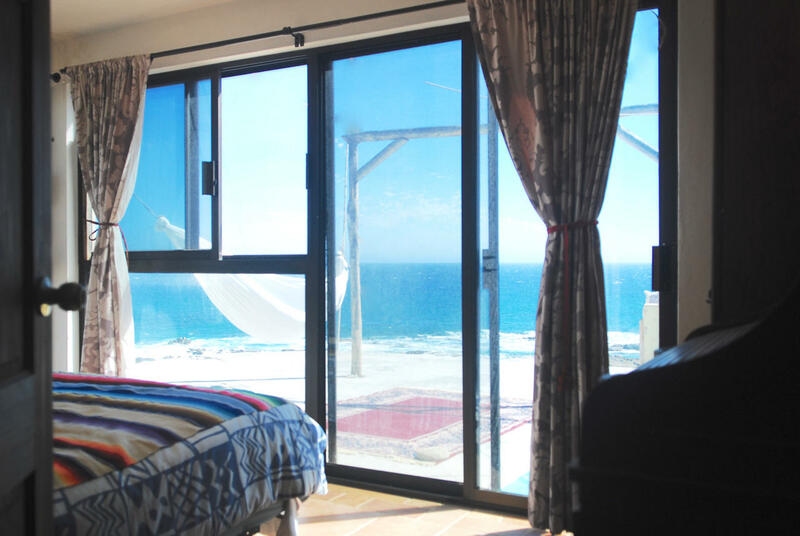 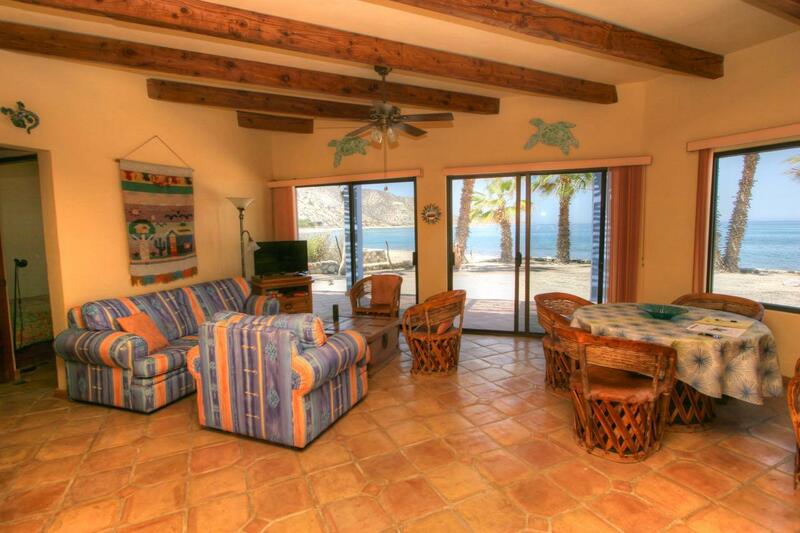 You can watch the whales, surf off the point, fish right from the shore and enjoy miles of hiking and ATV trails. 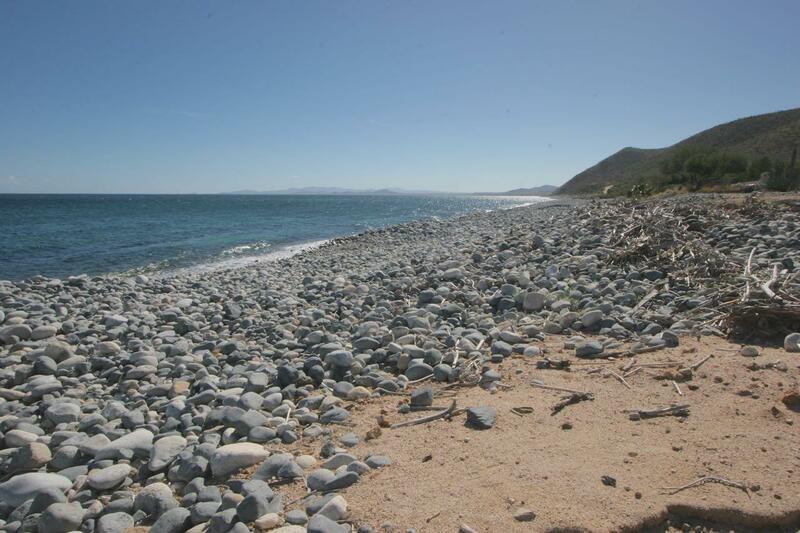 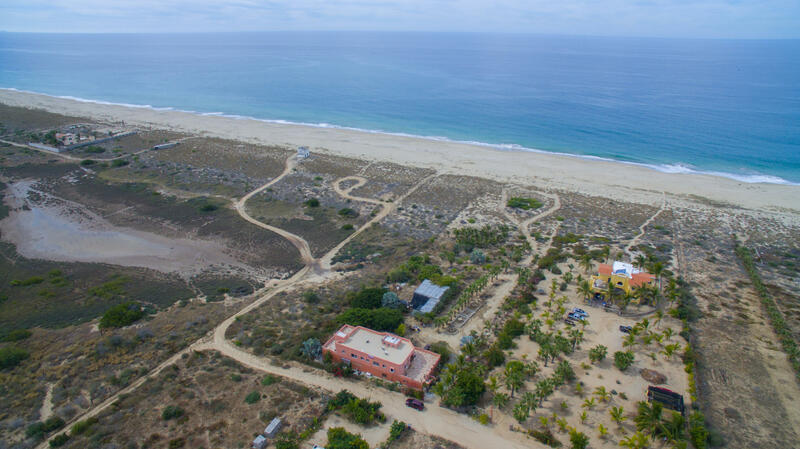 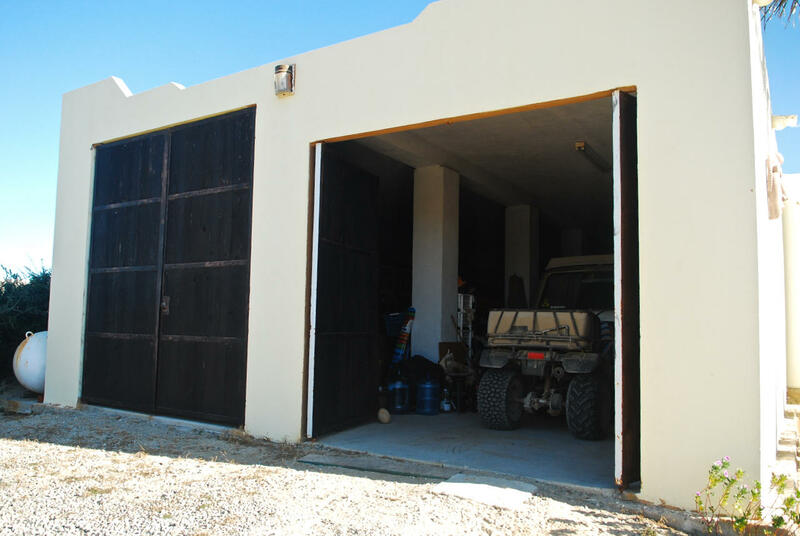 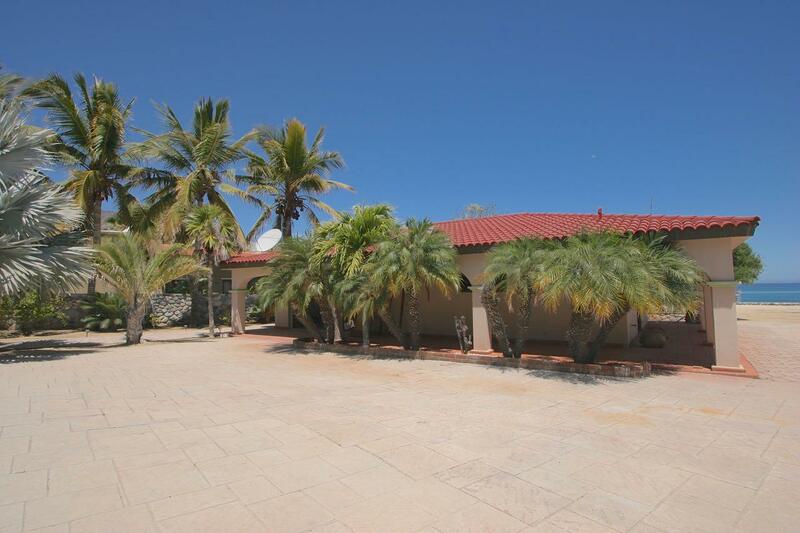 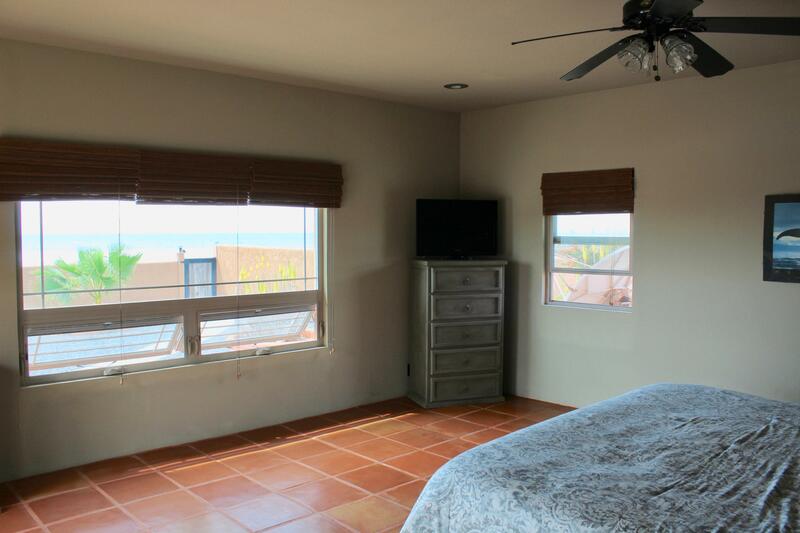 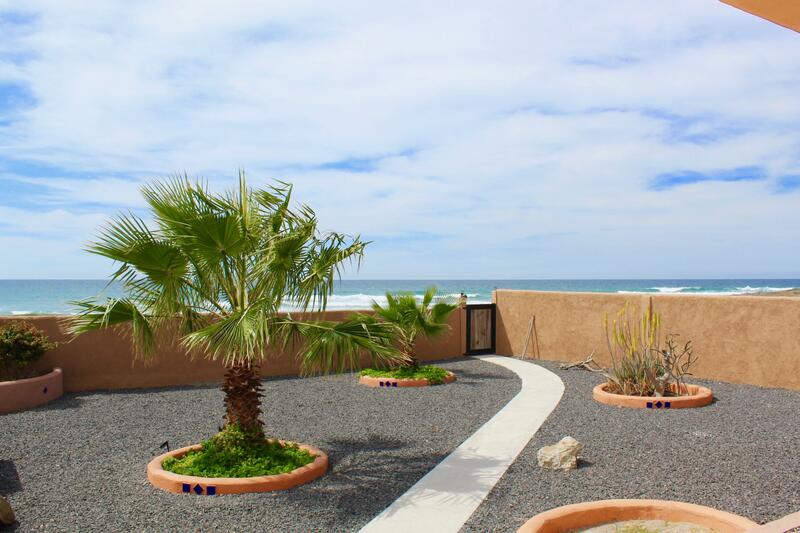 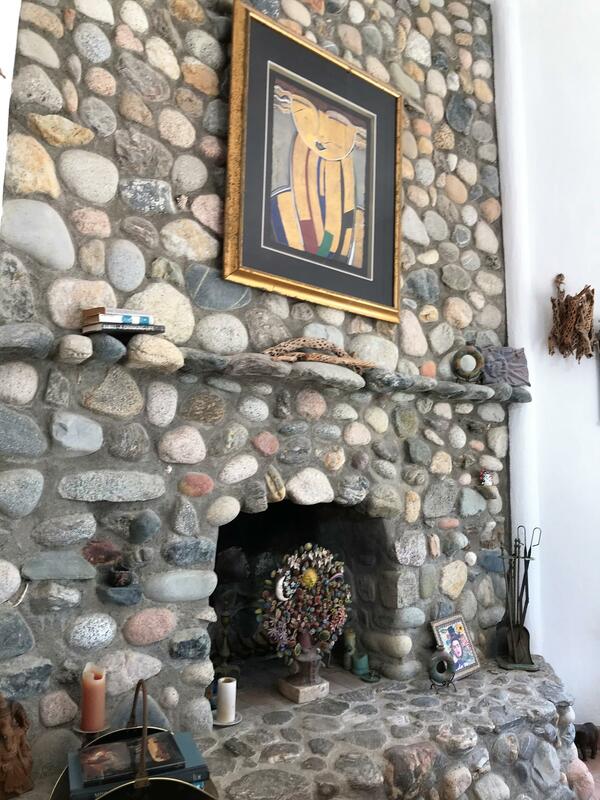 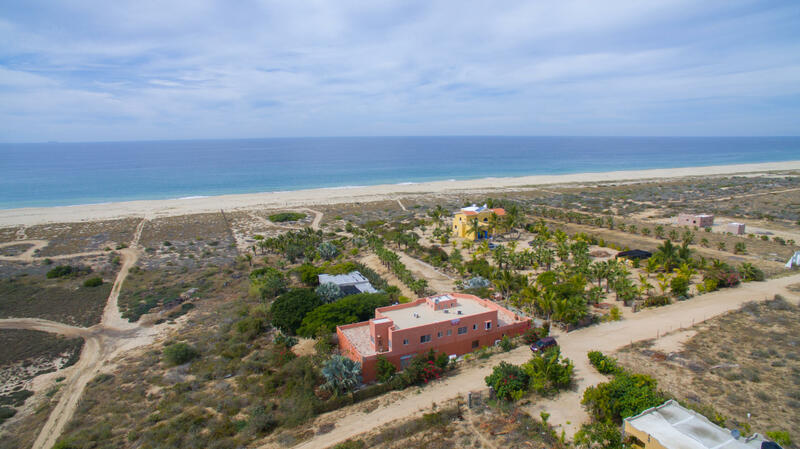 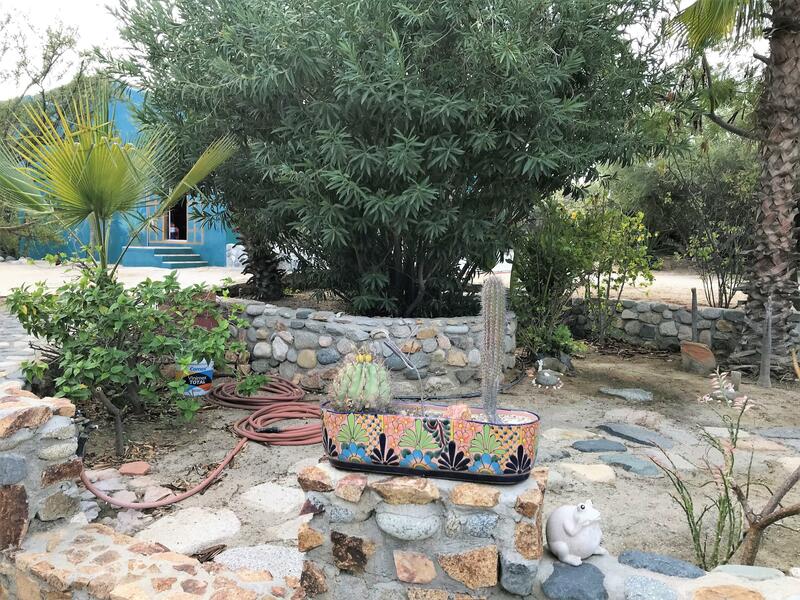 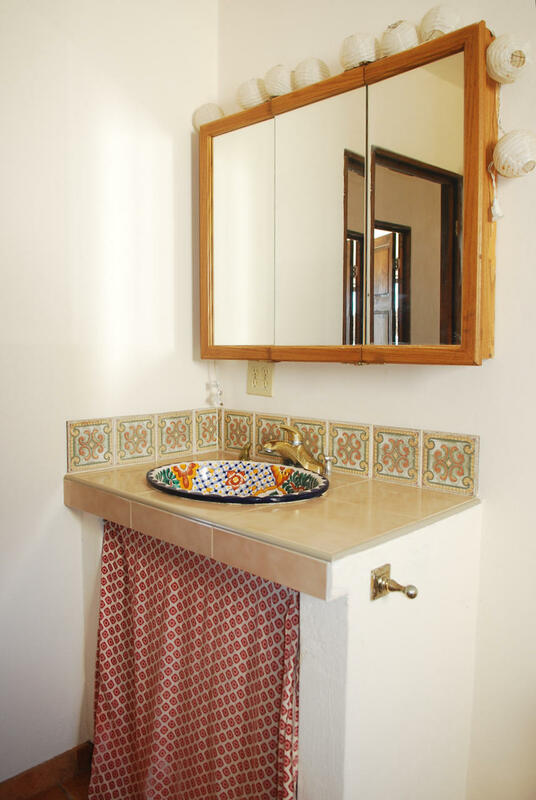 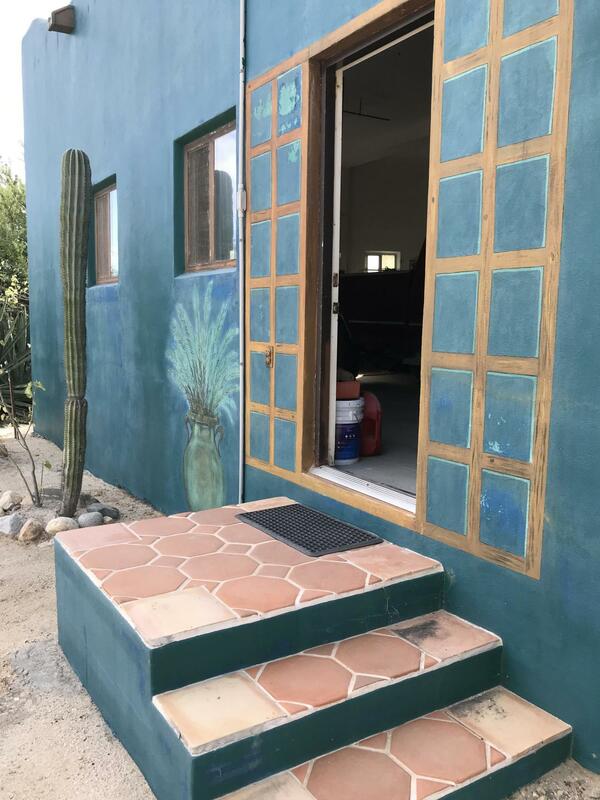 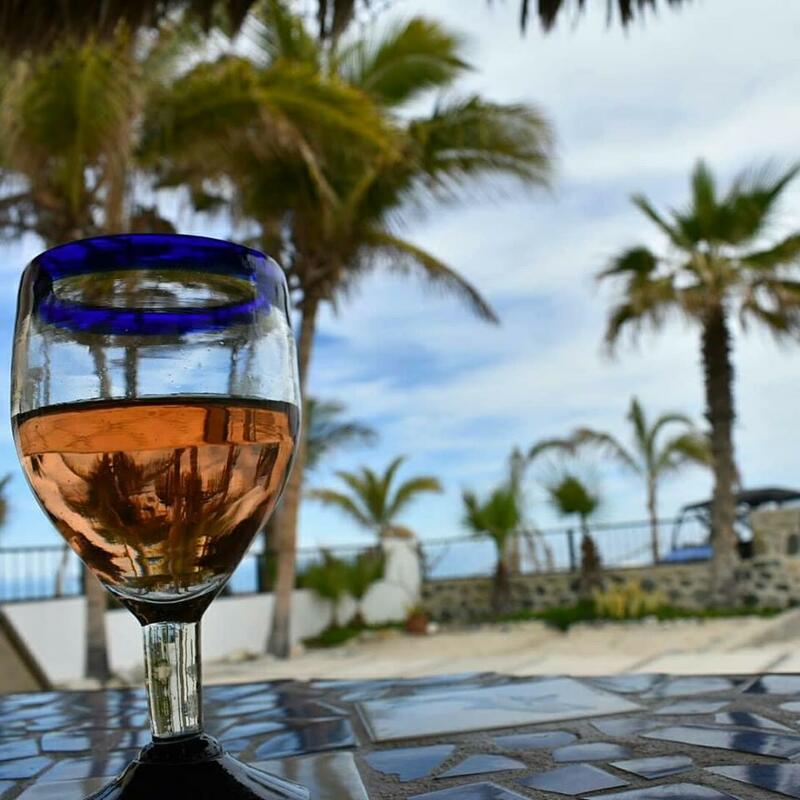 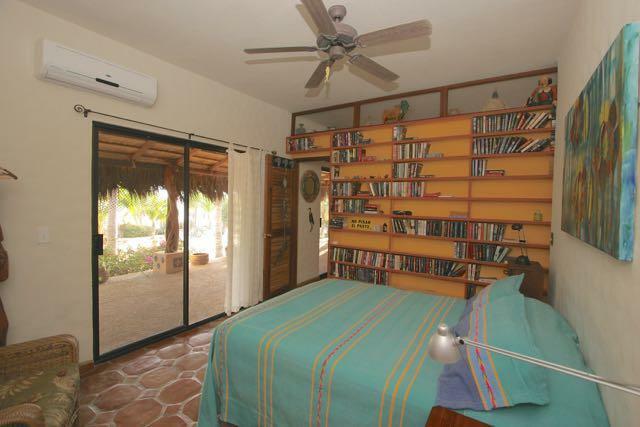 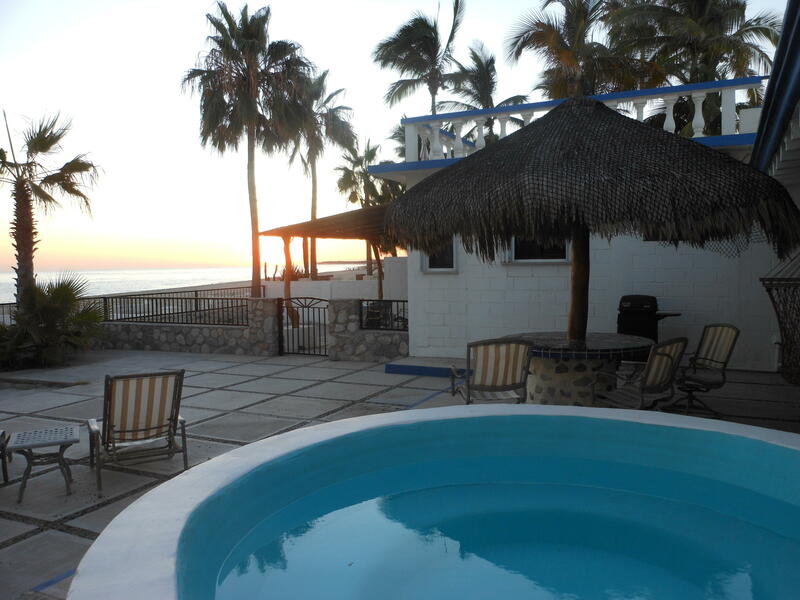 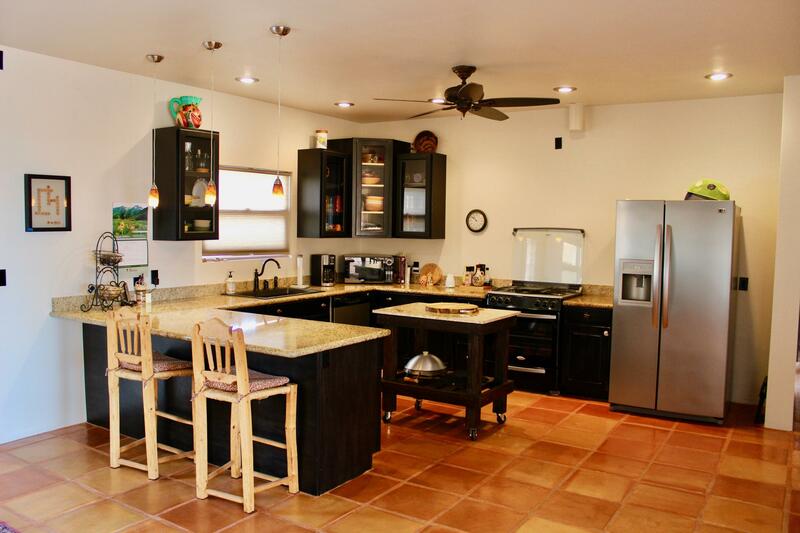 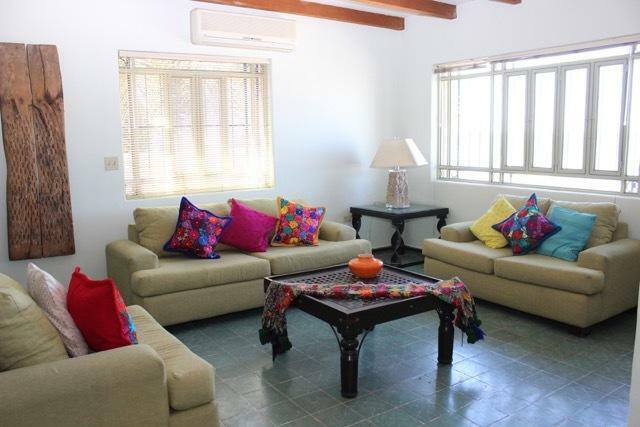 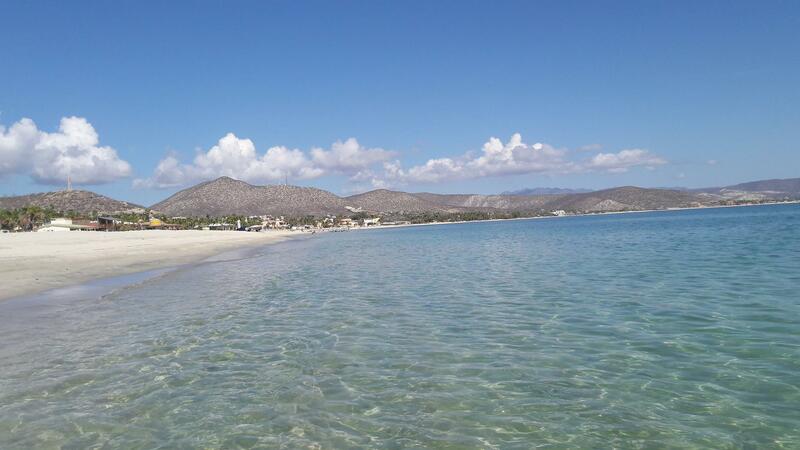 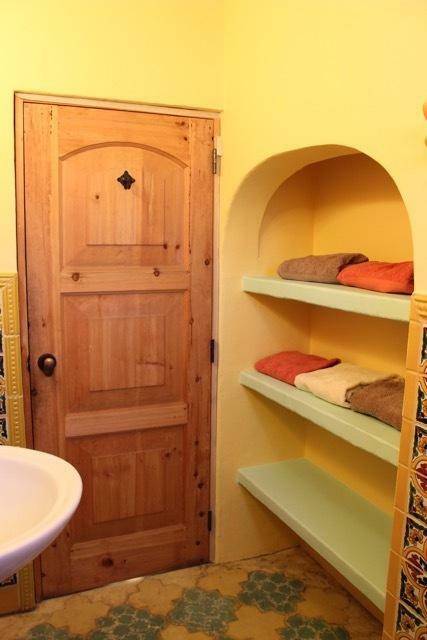 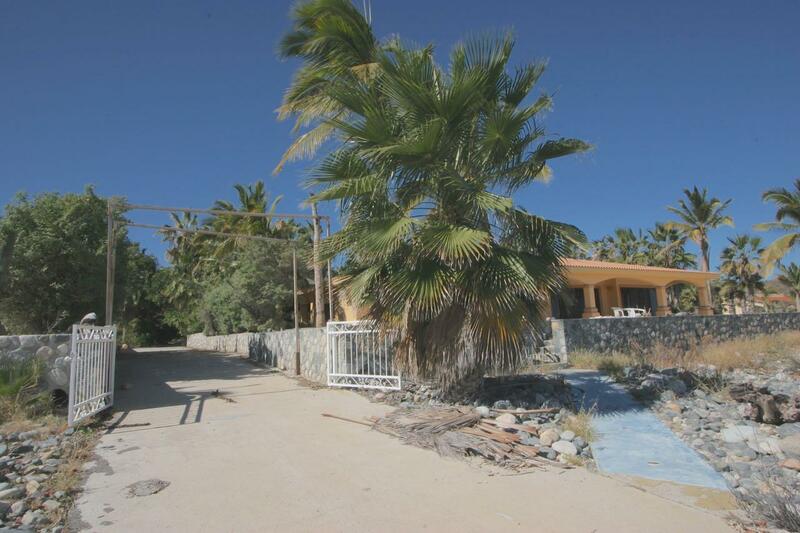 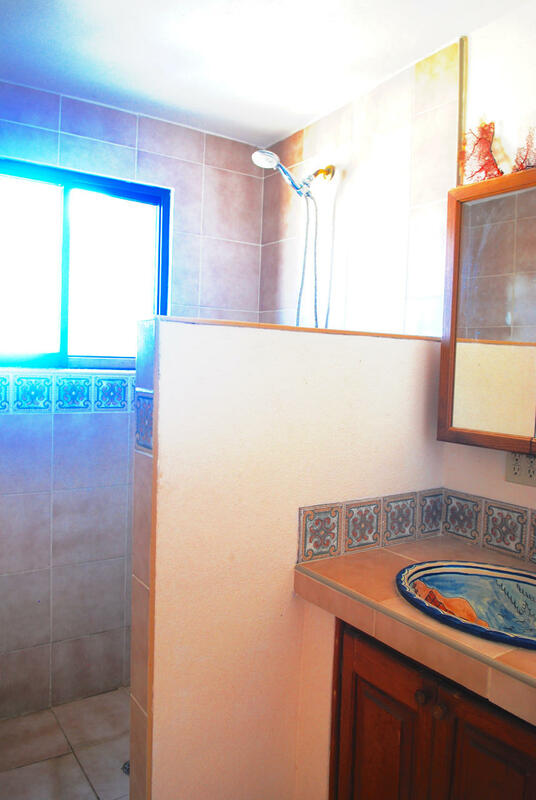 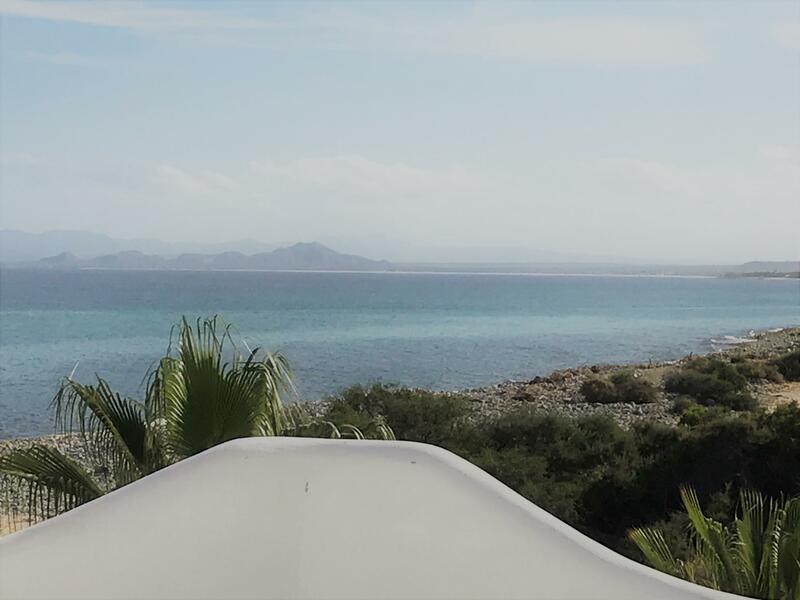 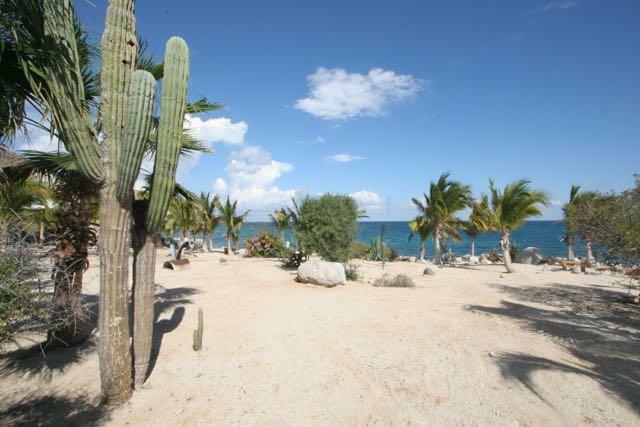 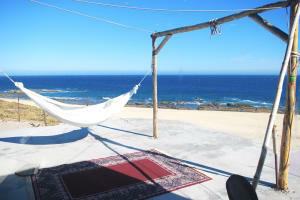 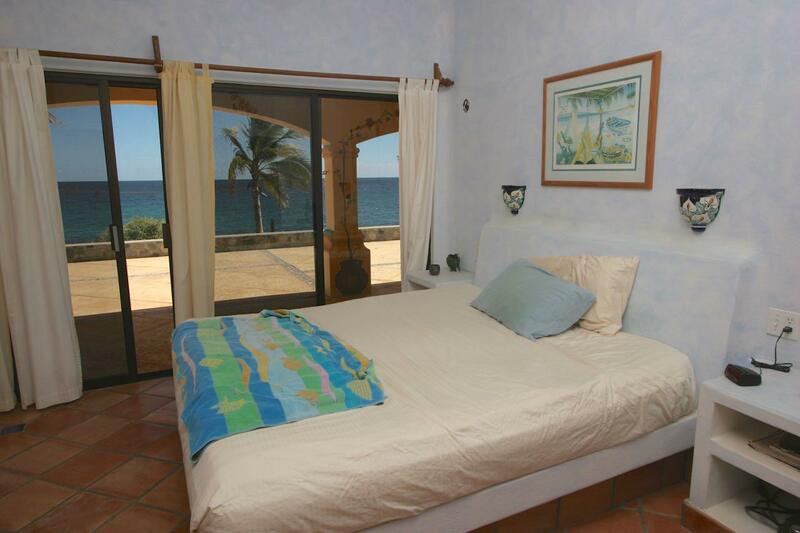 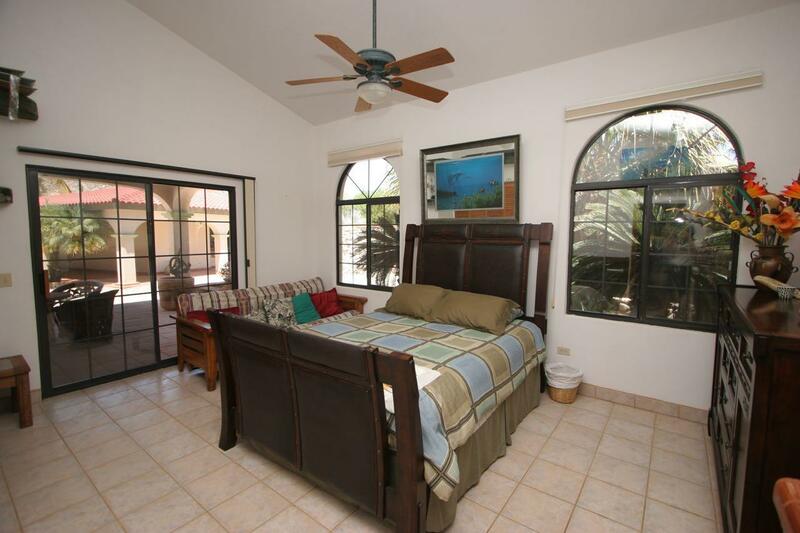 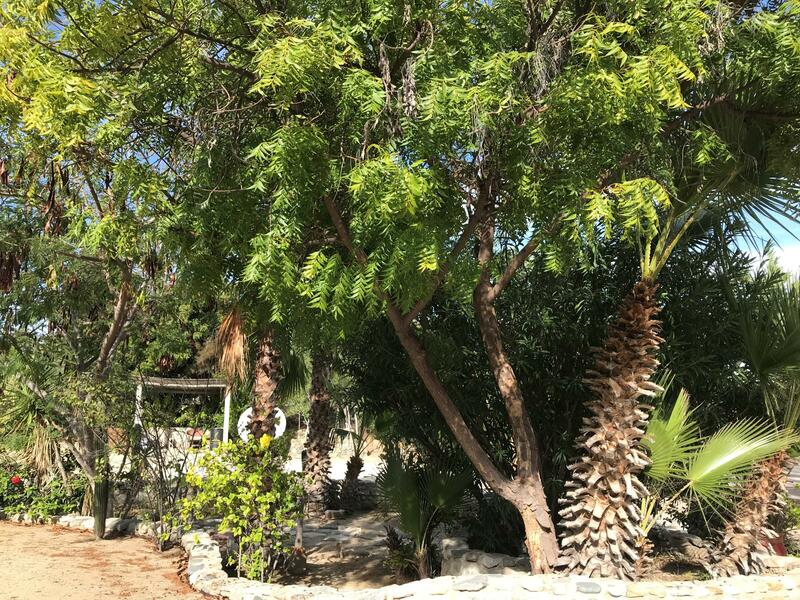 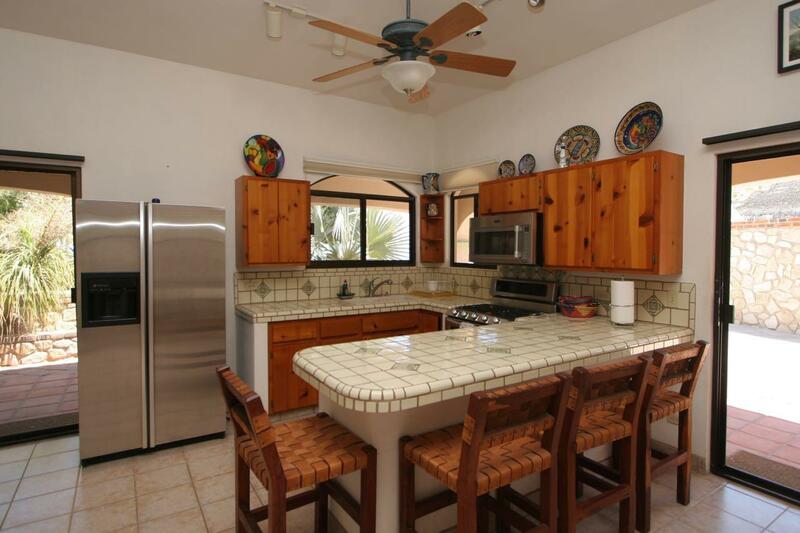 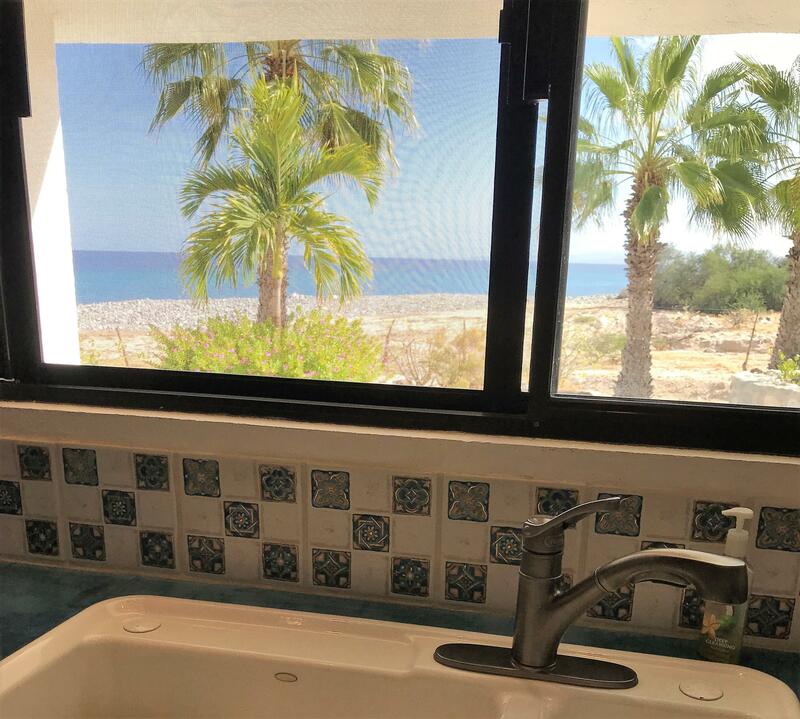 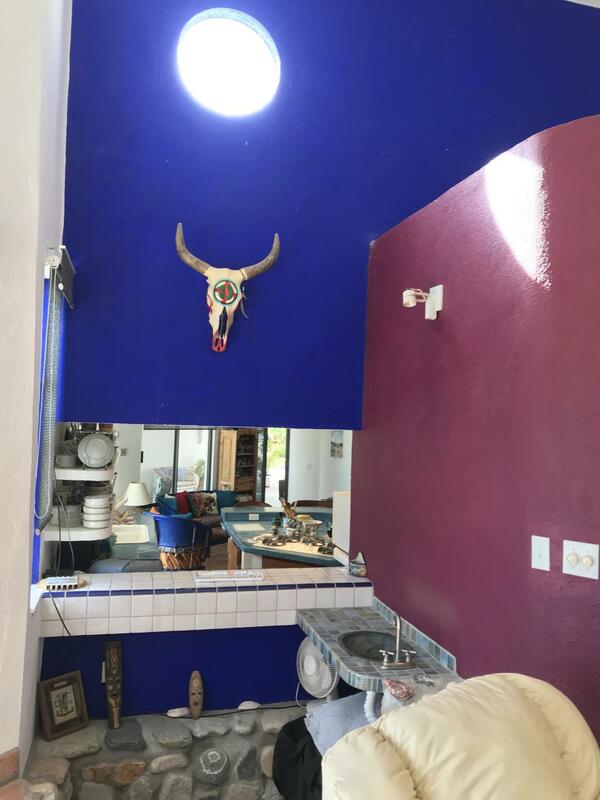 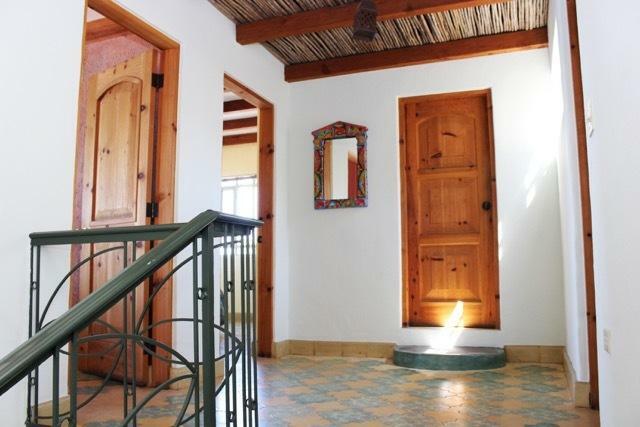 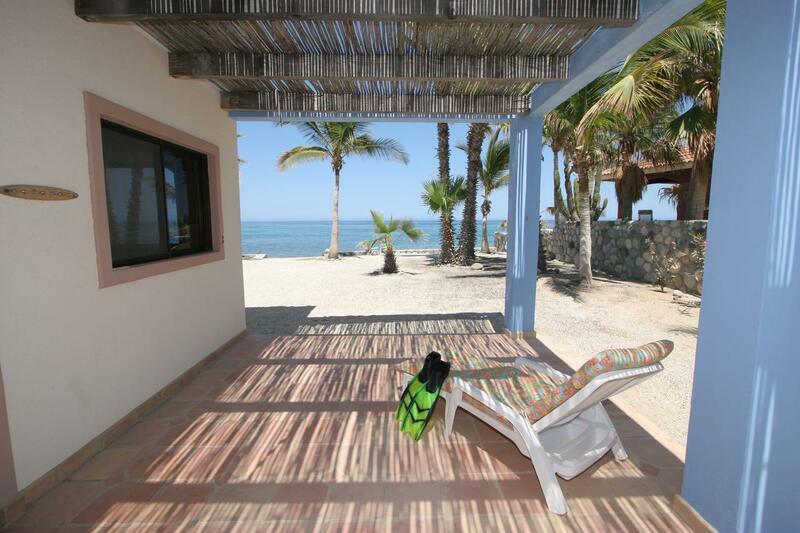 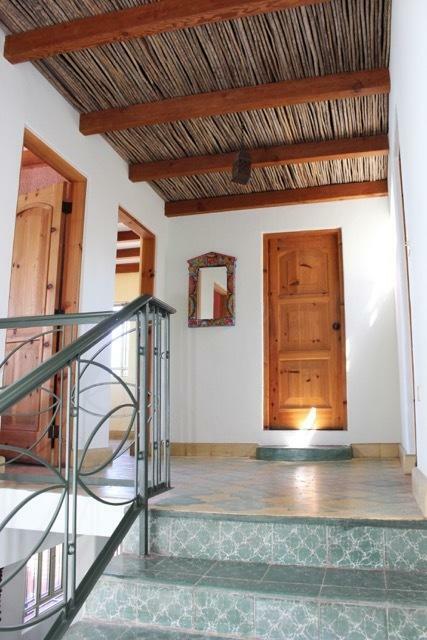 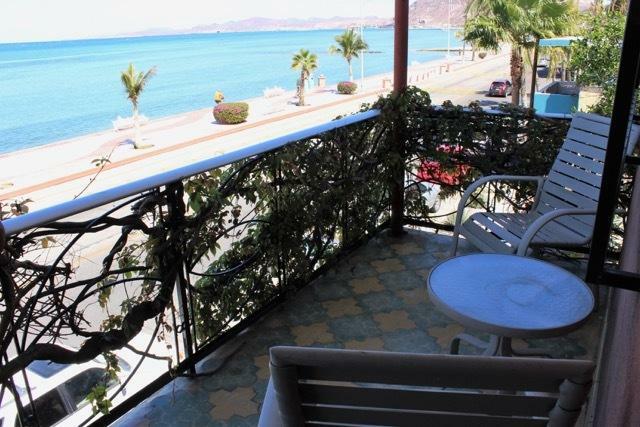 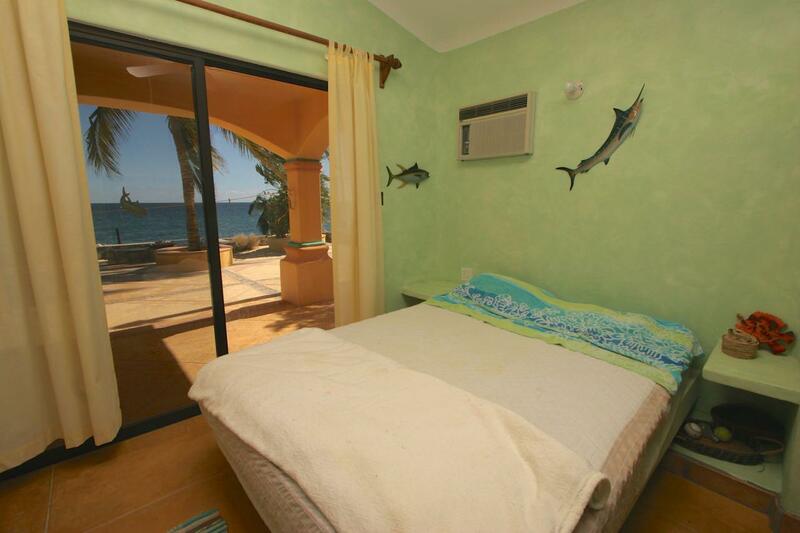 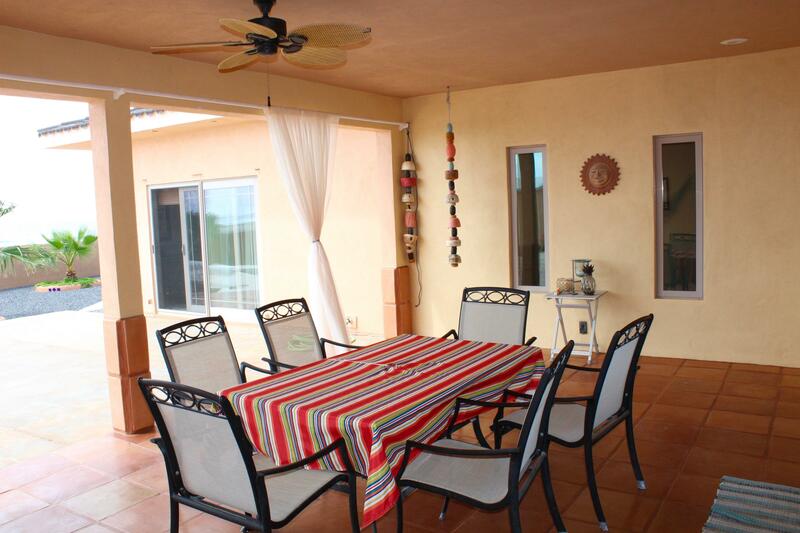 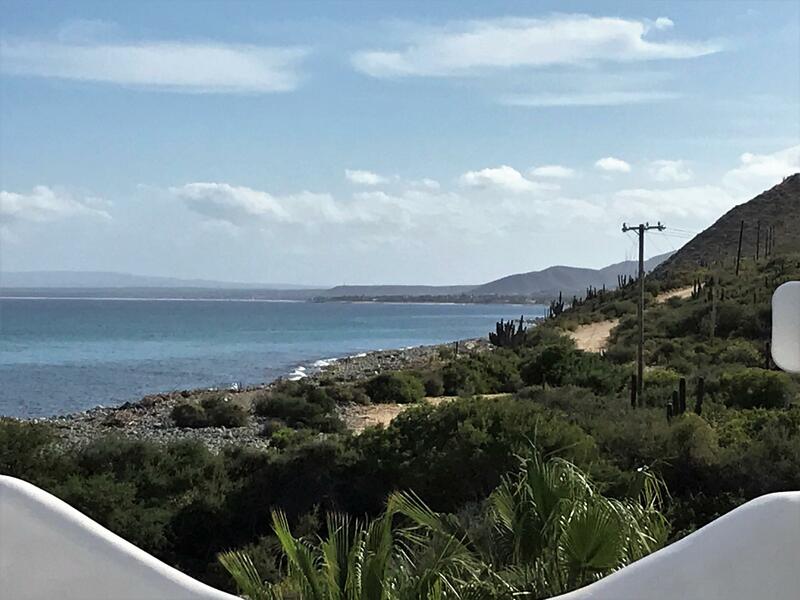 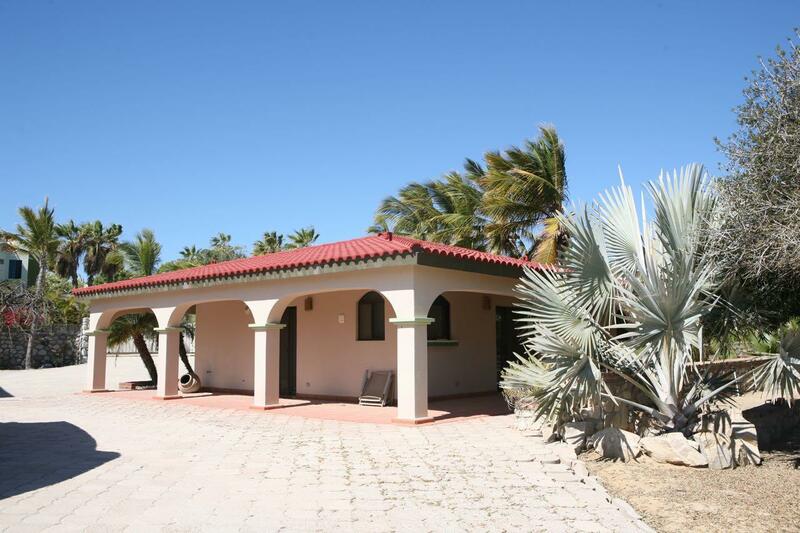 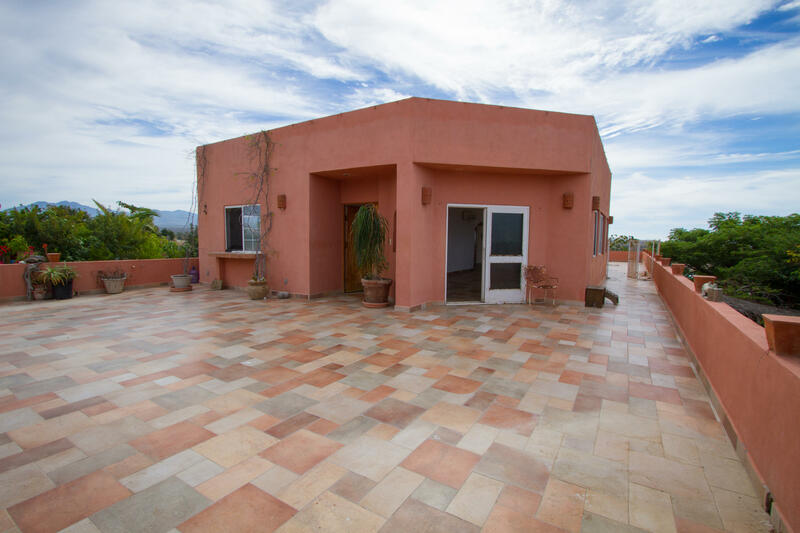 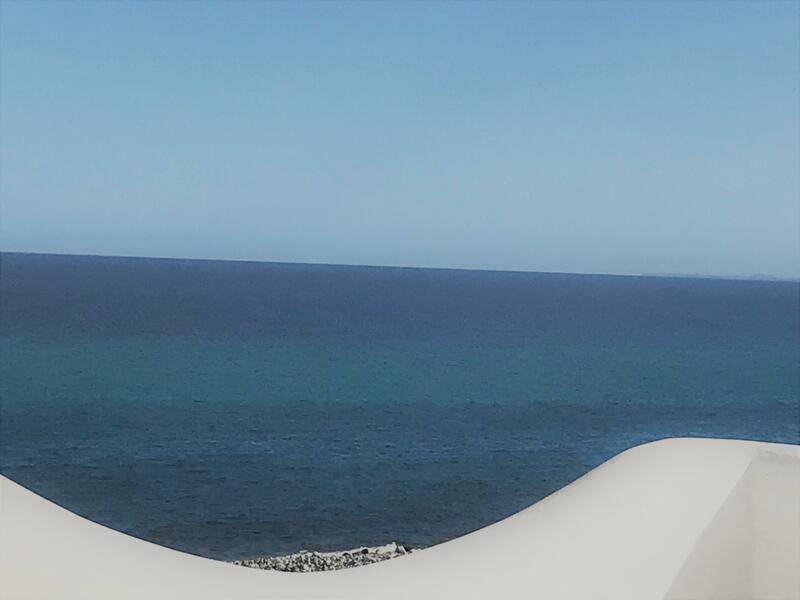 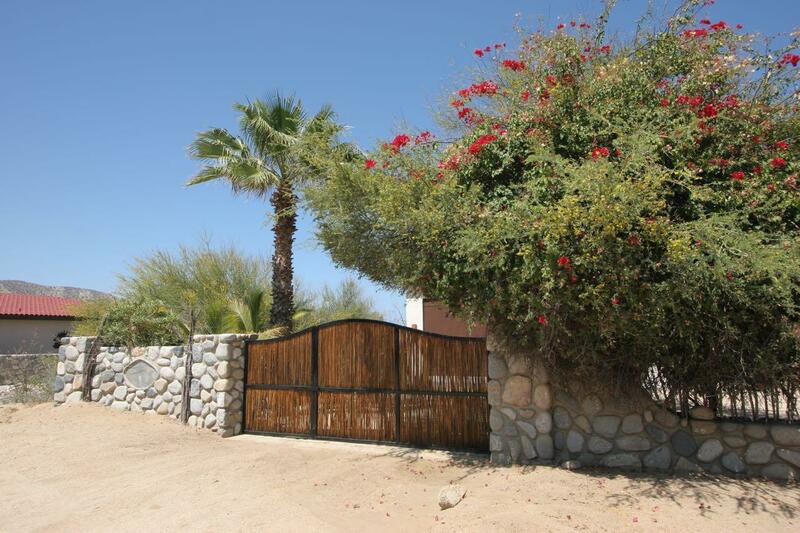 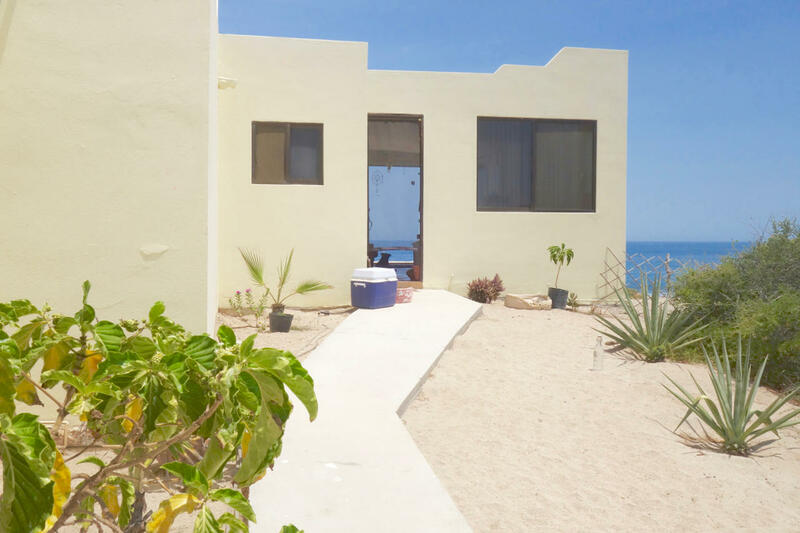 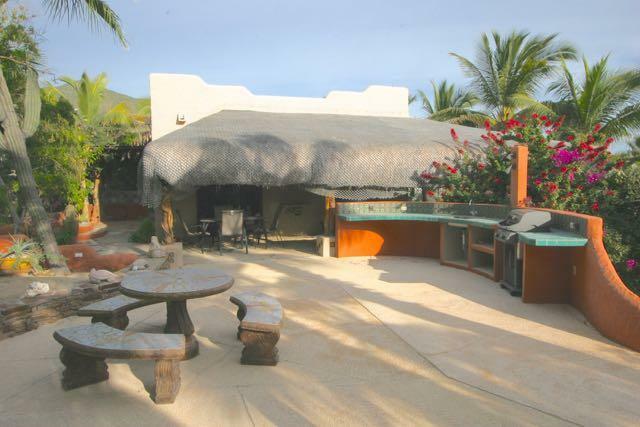 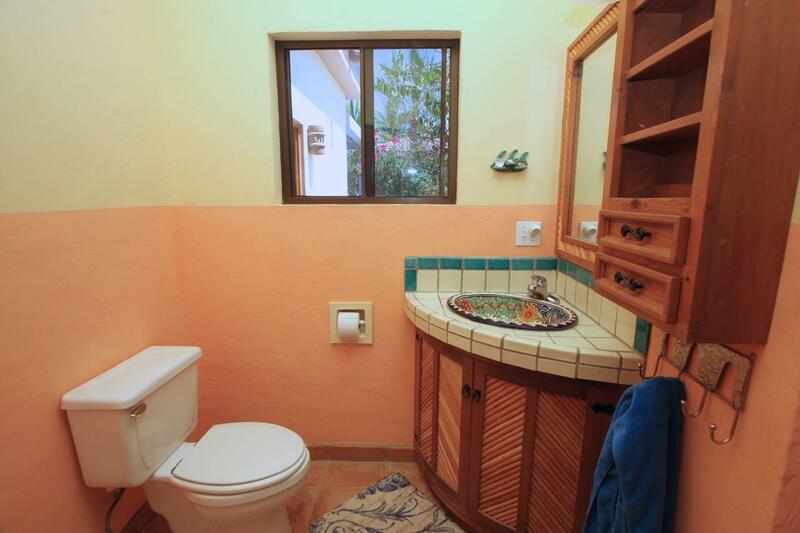 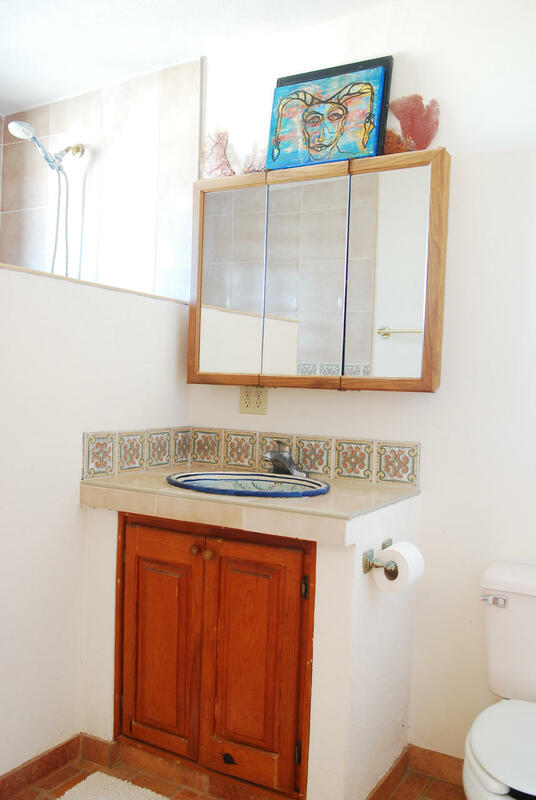 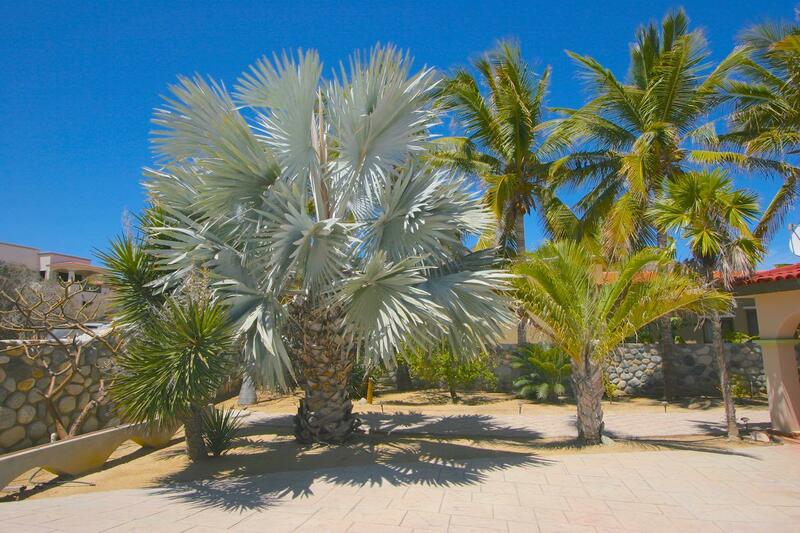 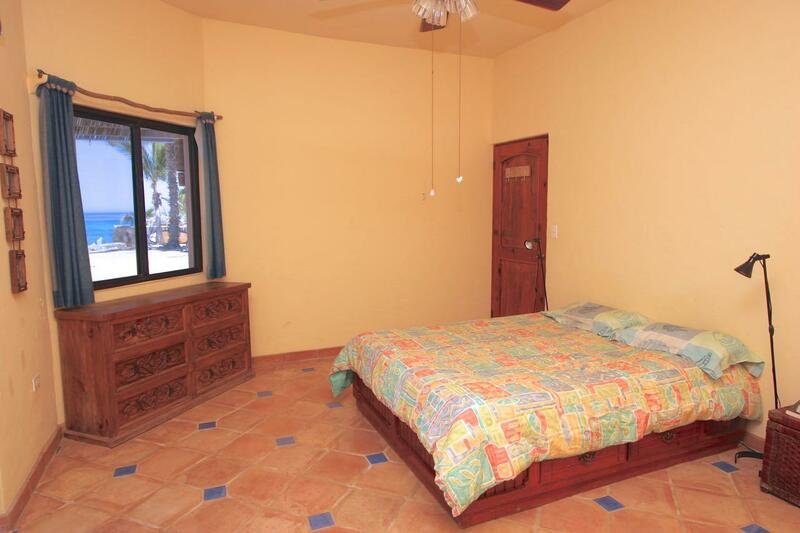 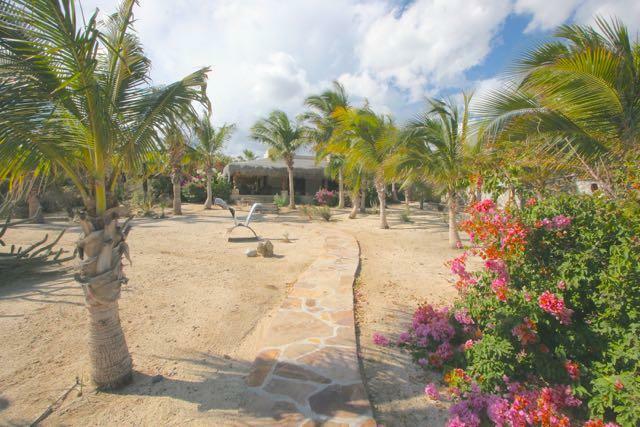 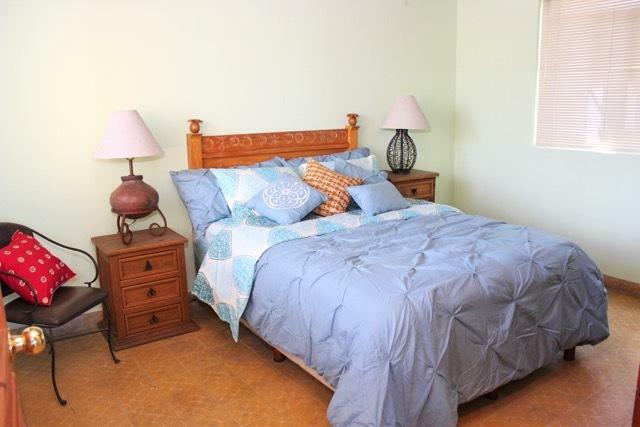 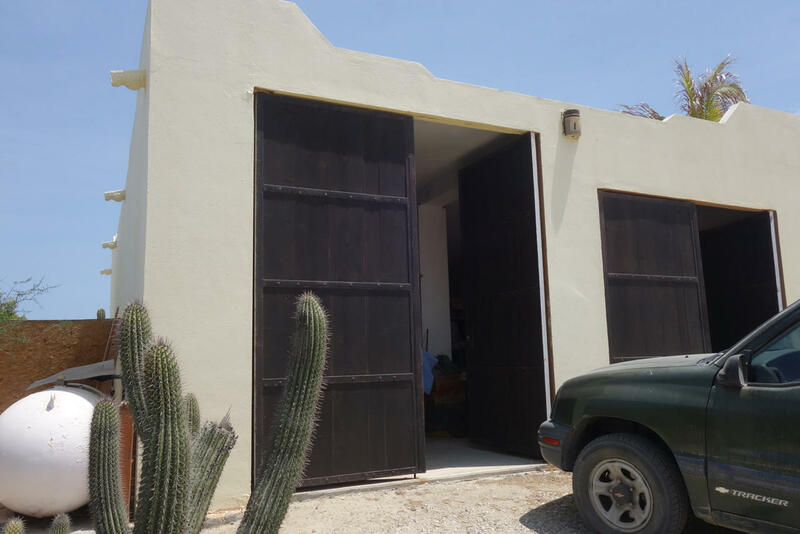 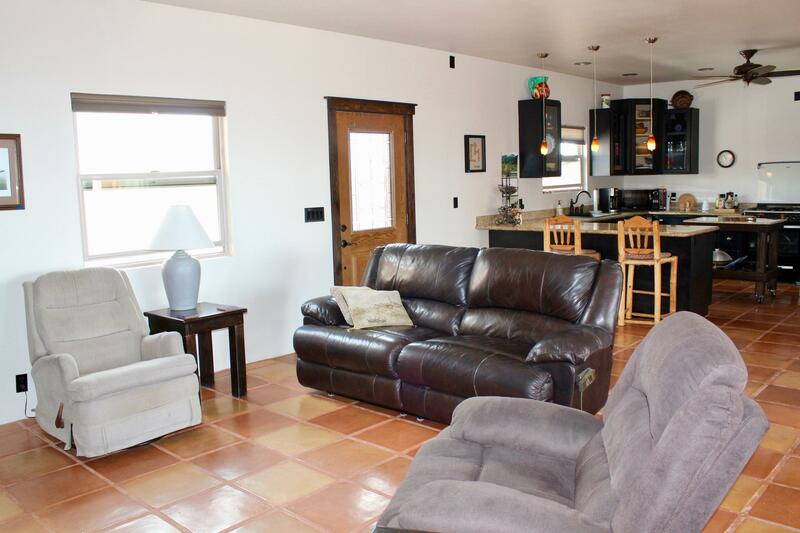 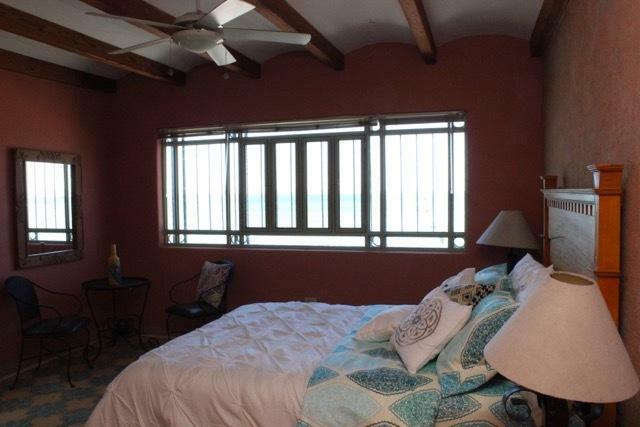 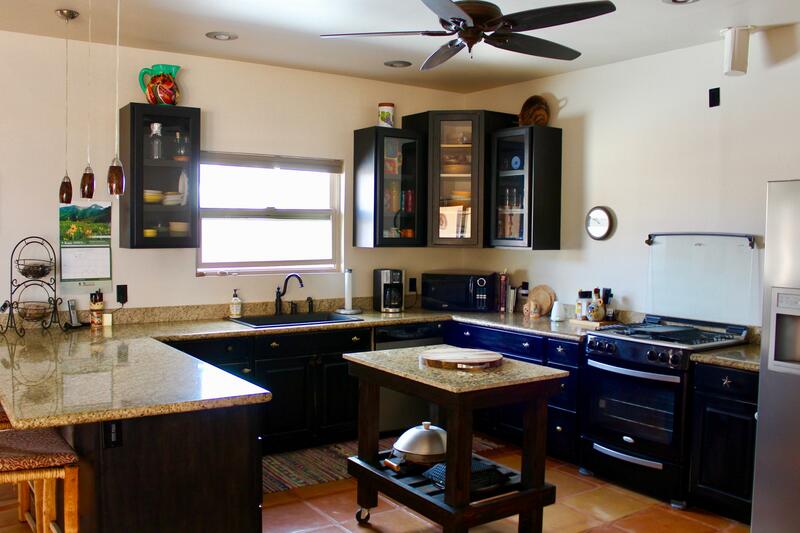 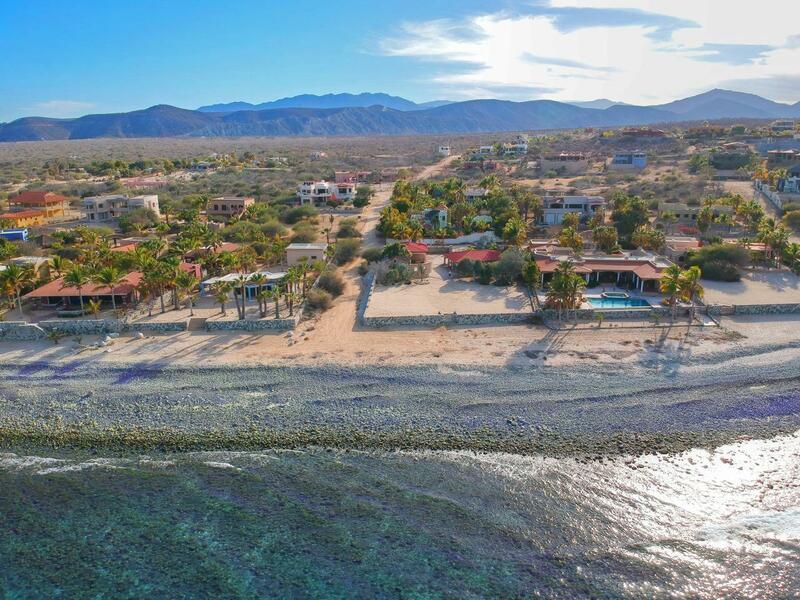 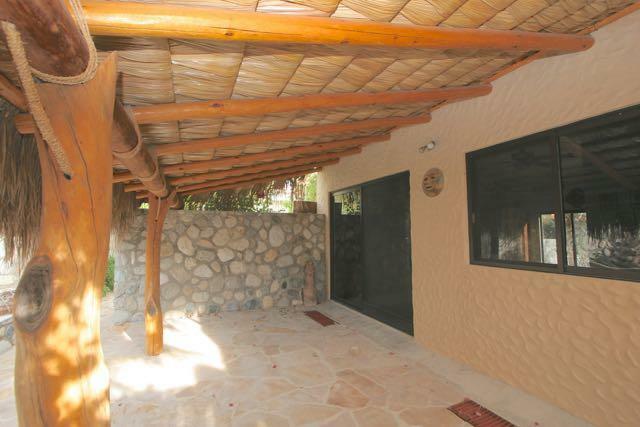 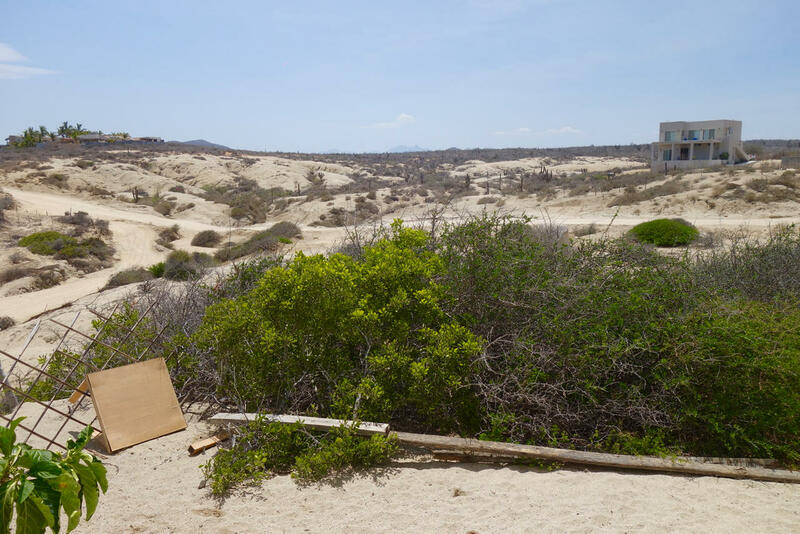 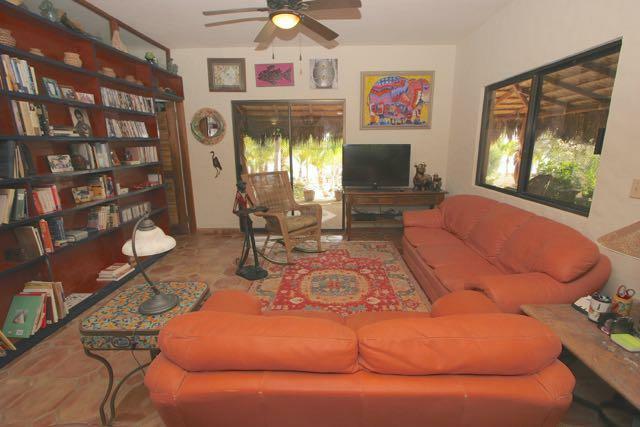 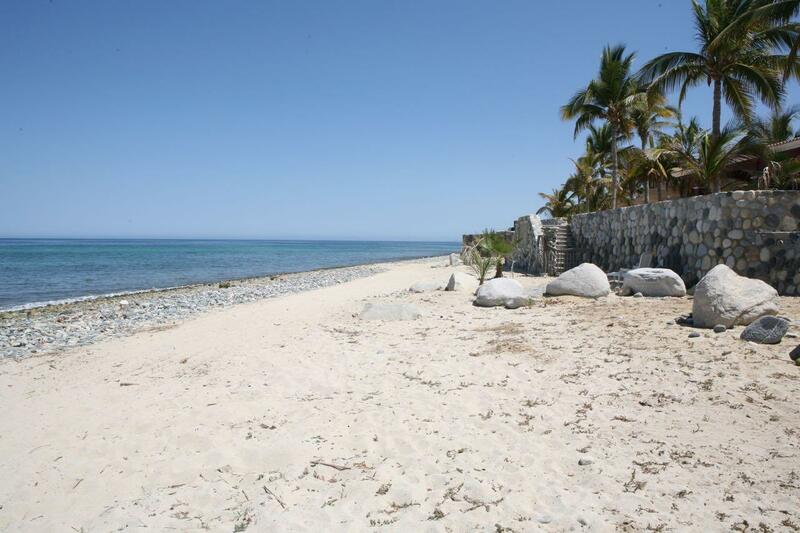 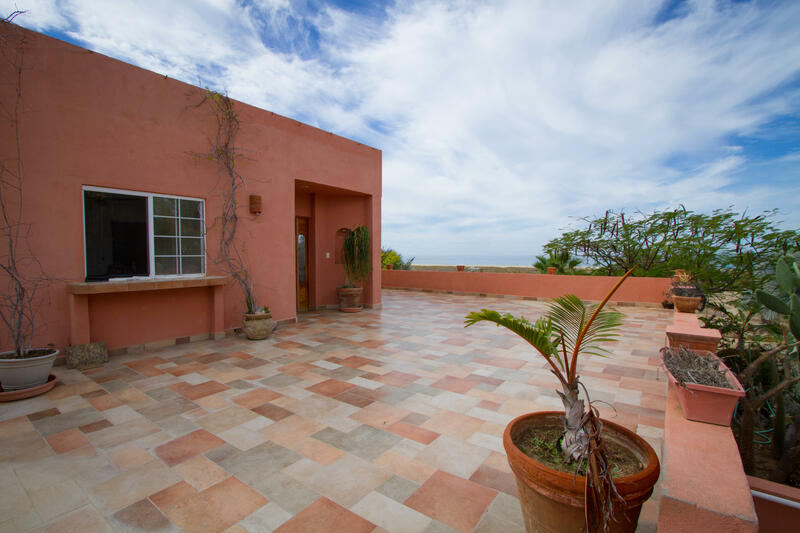 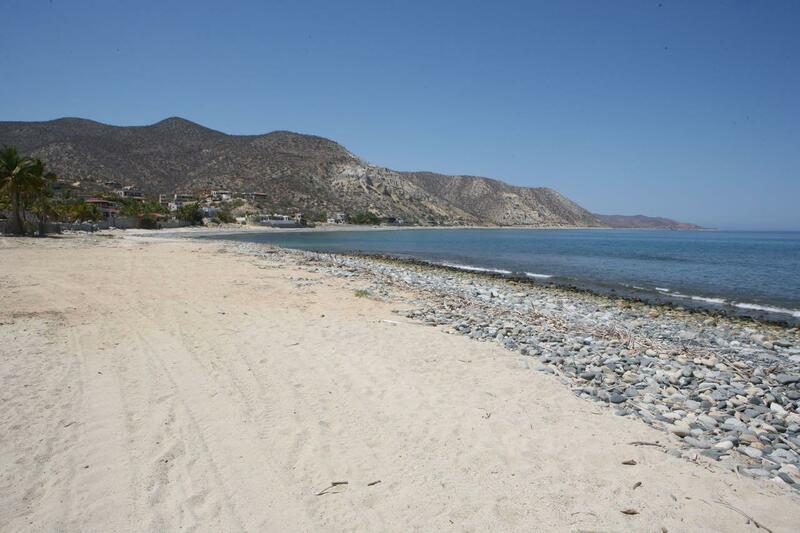 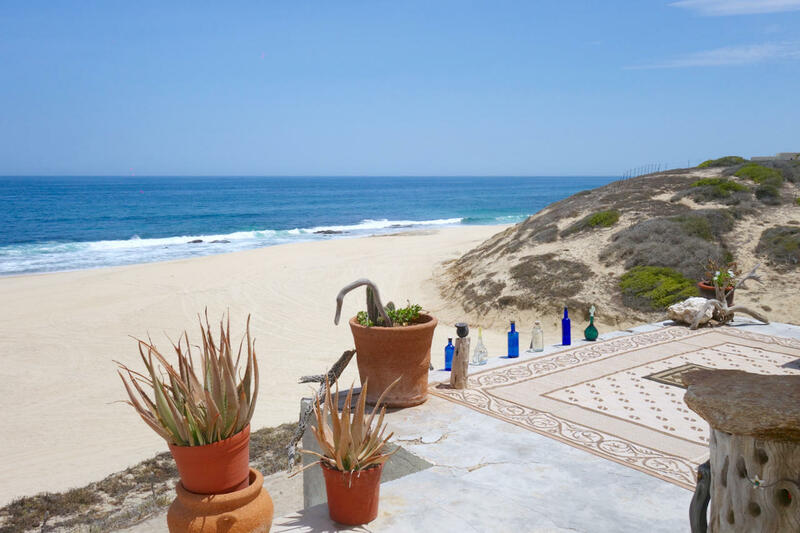 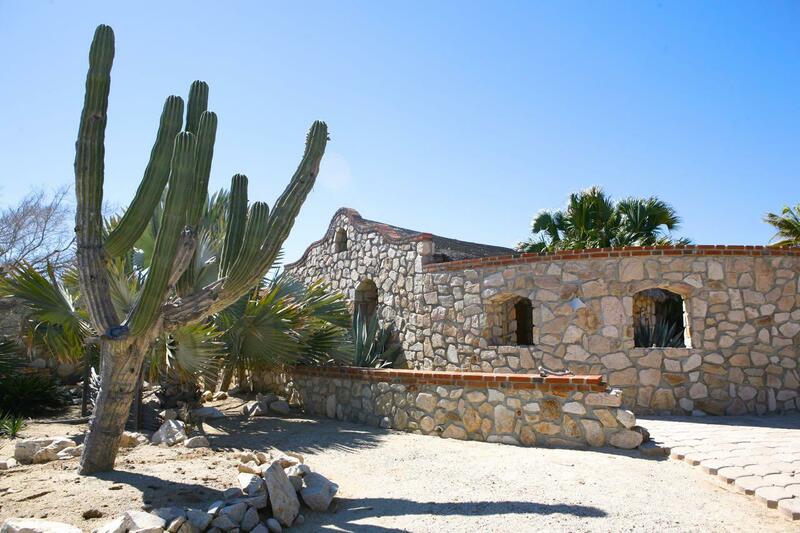 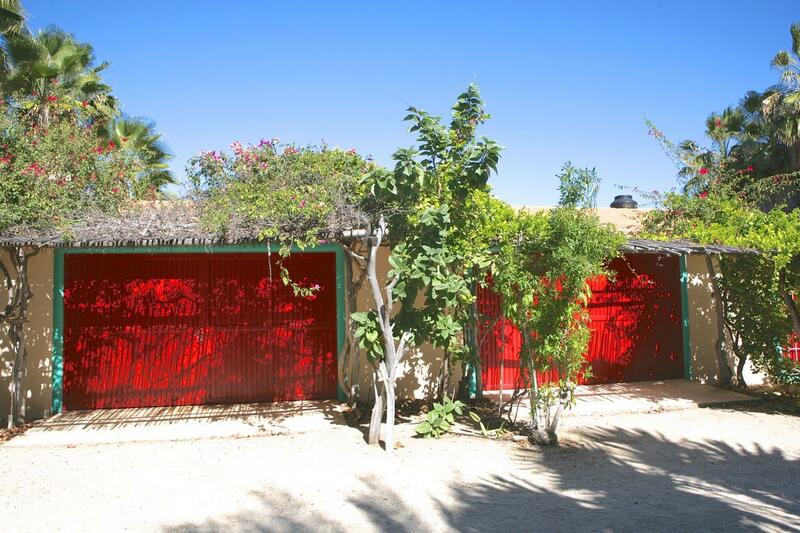 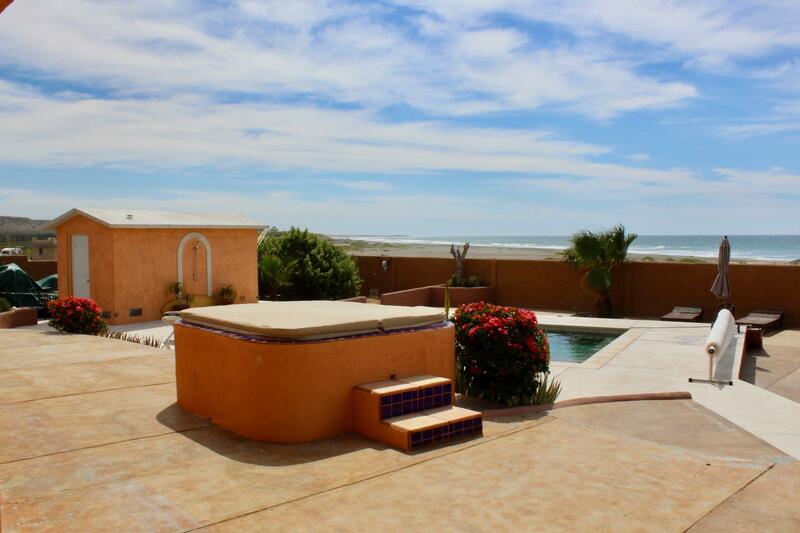 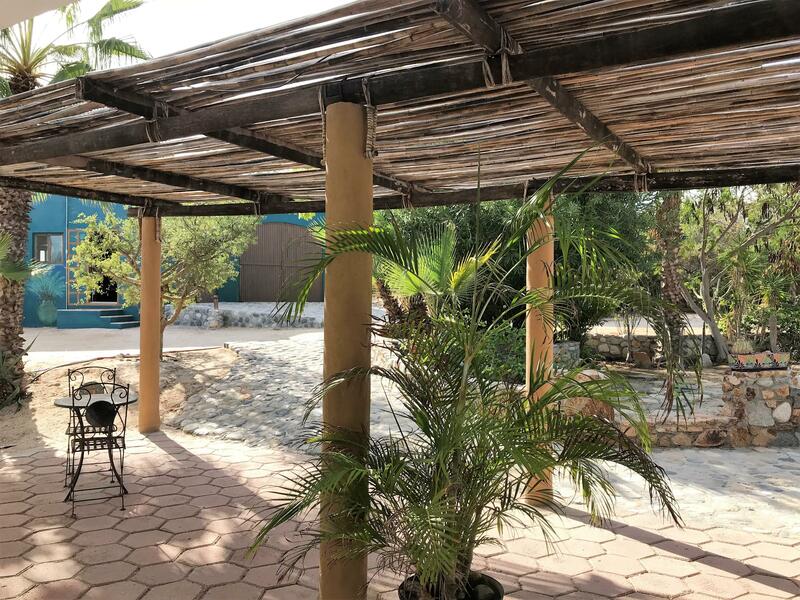 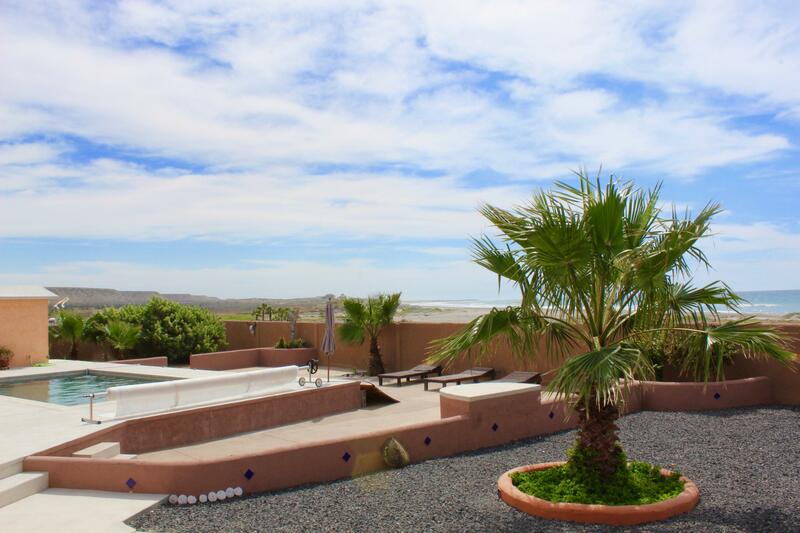 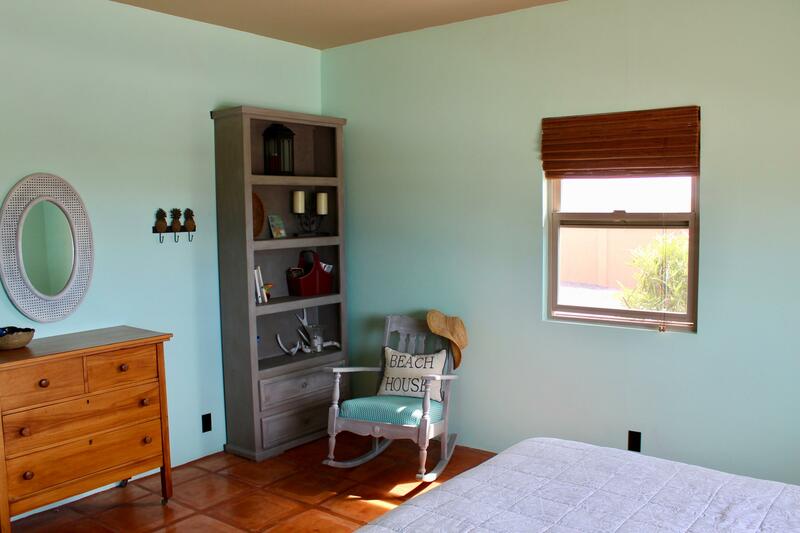 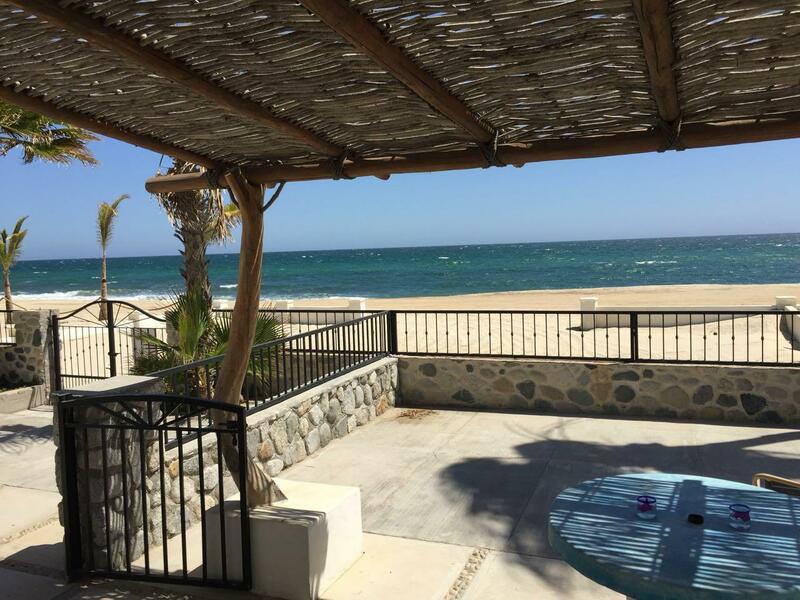 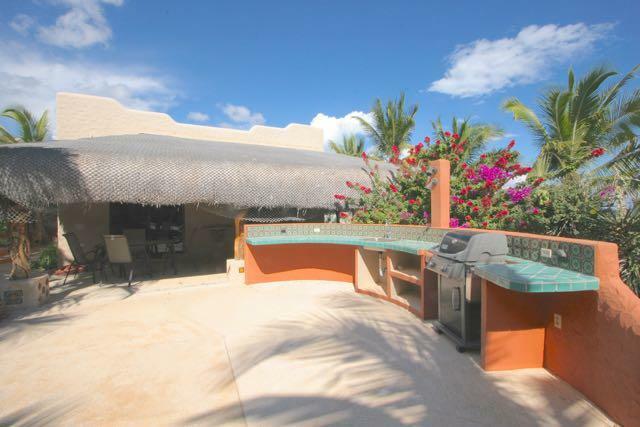 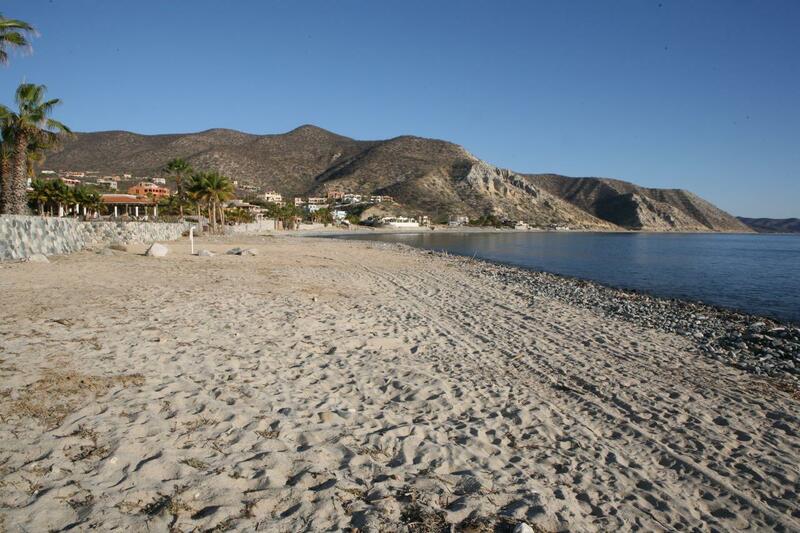 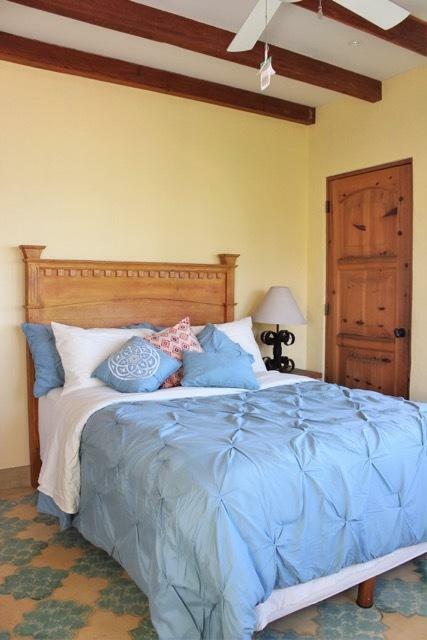 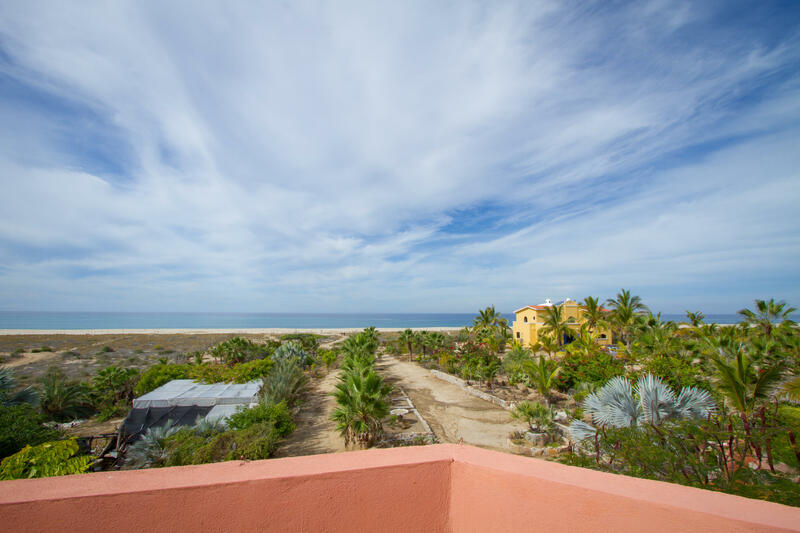 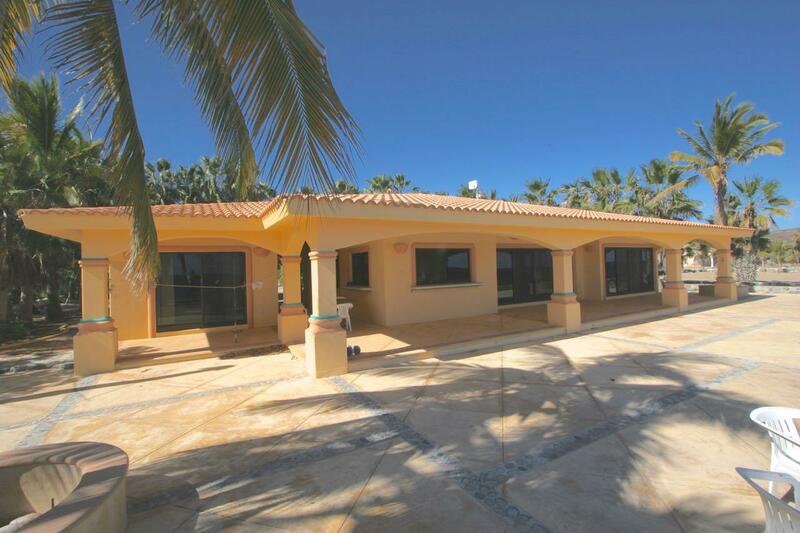 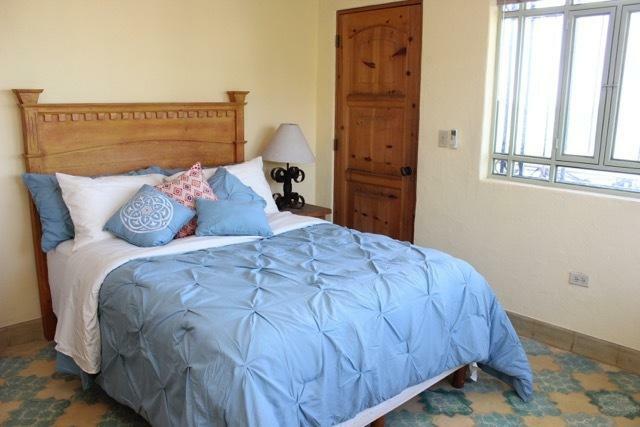 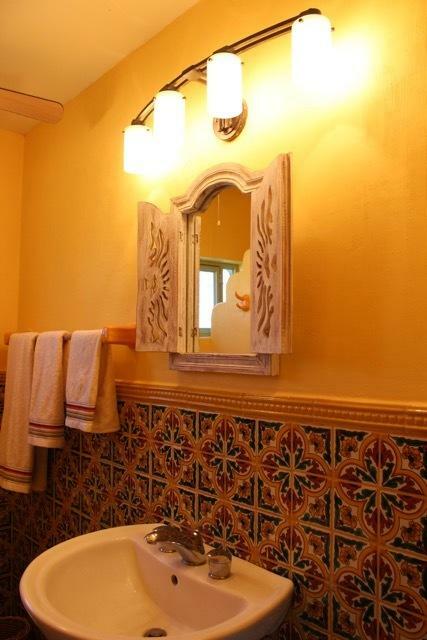 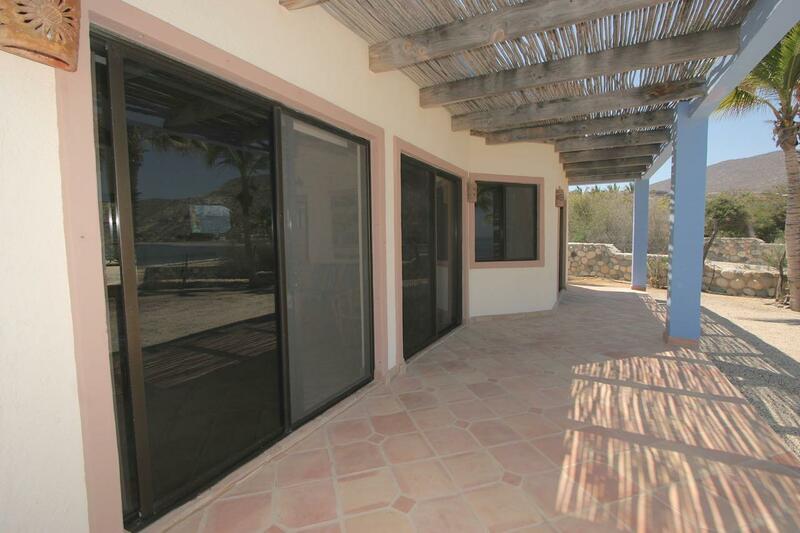 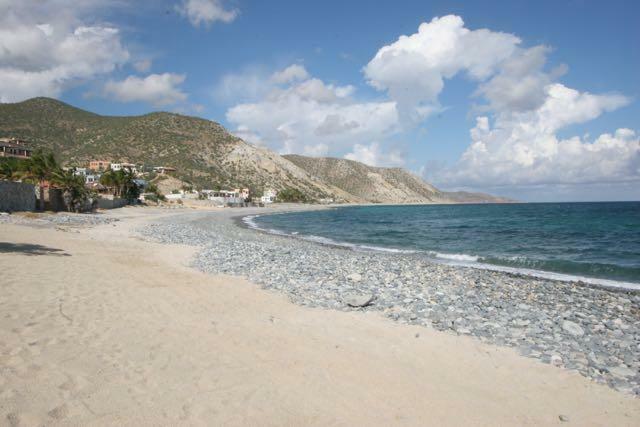 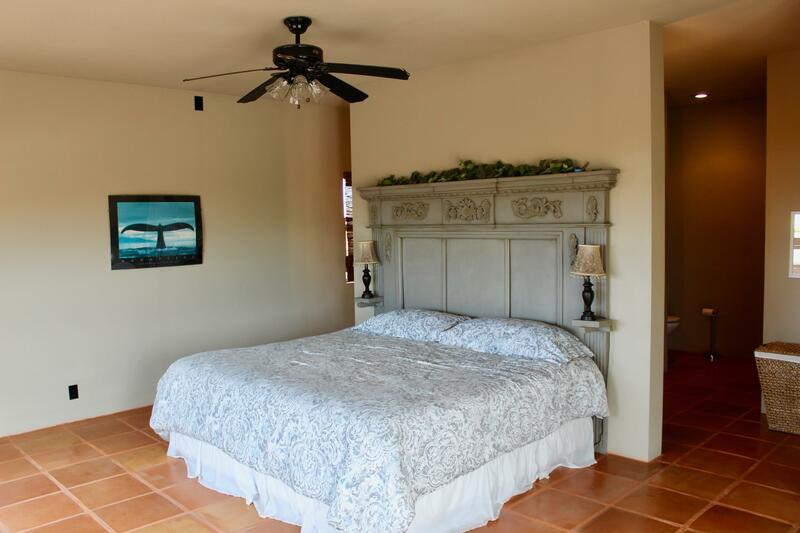 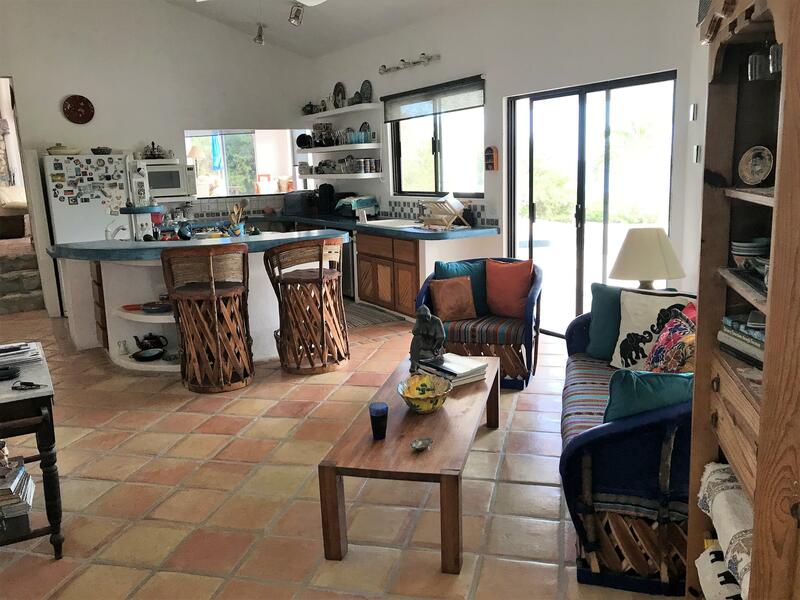 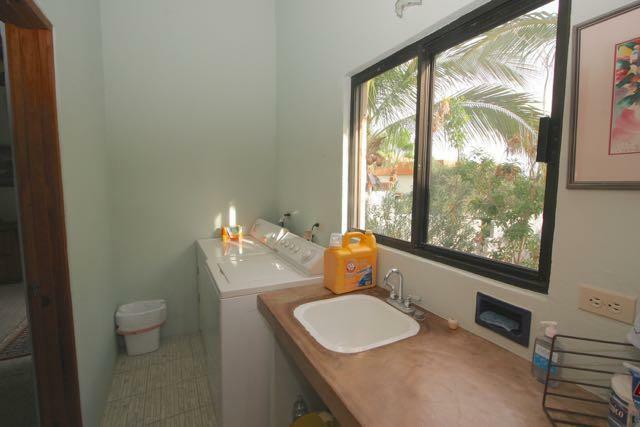 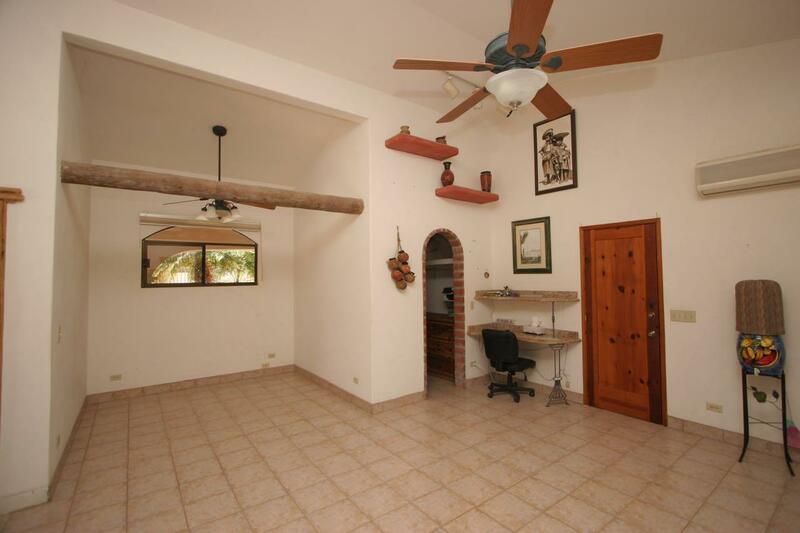 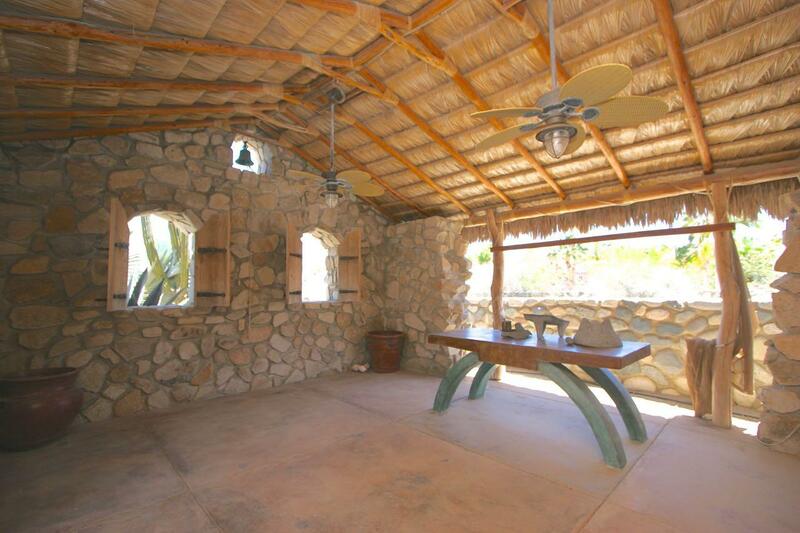 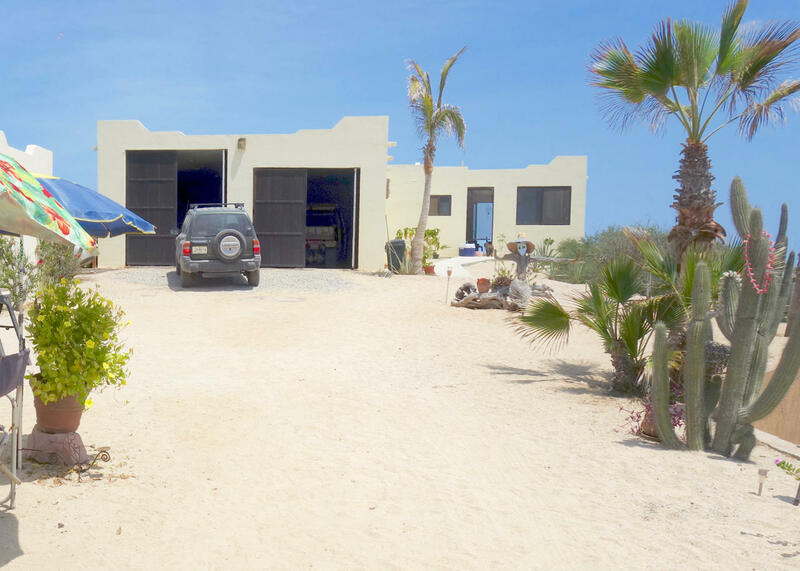 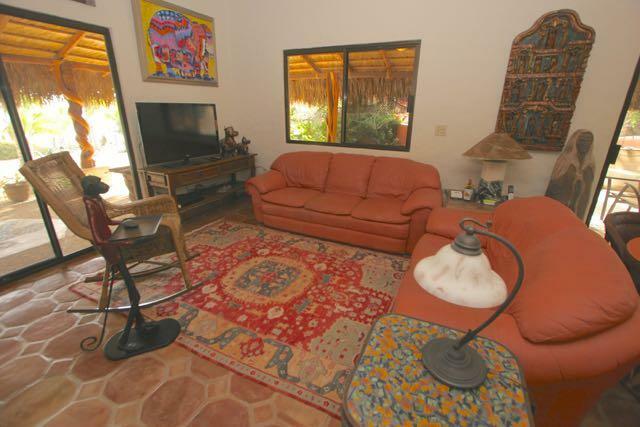 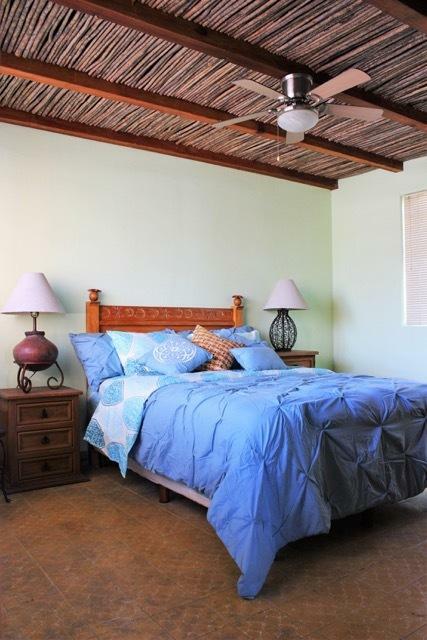 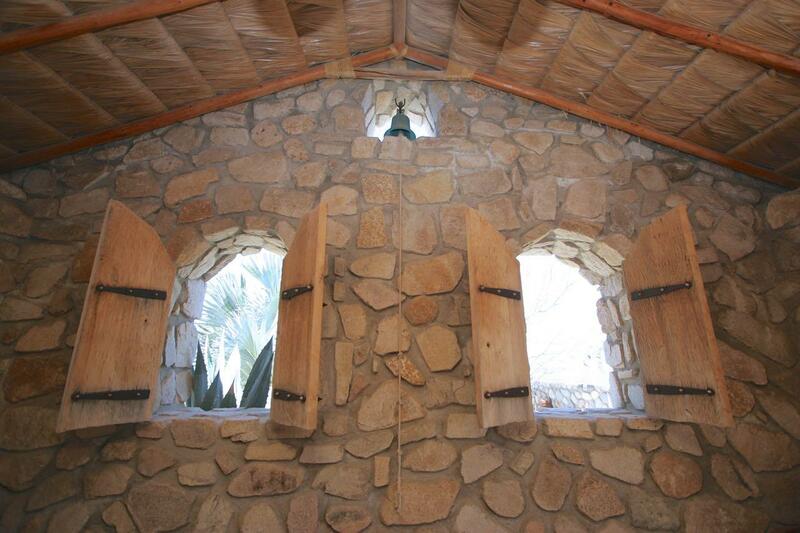 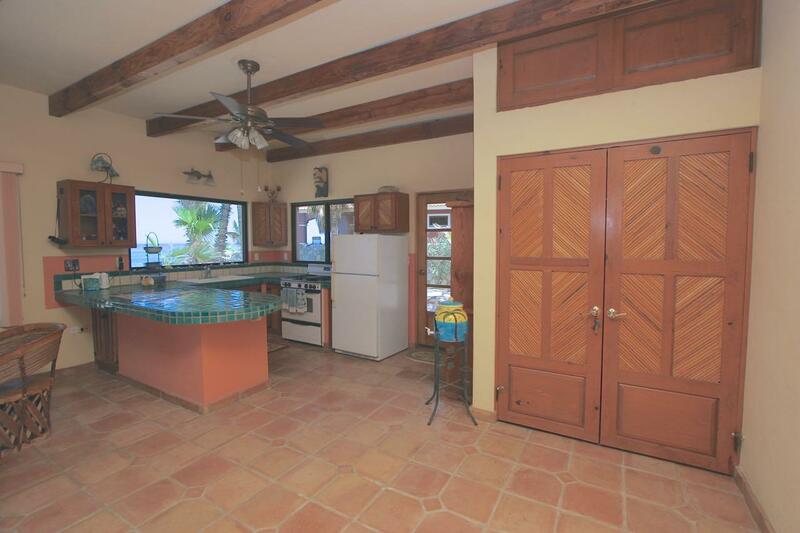 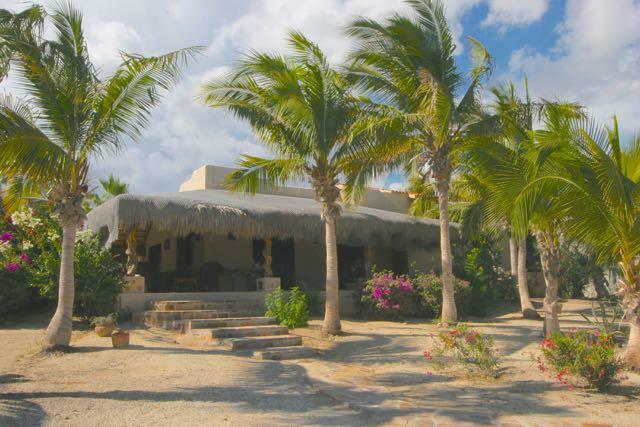 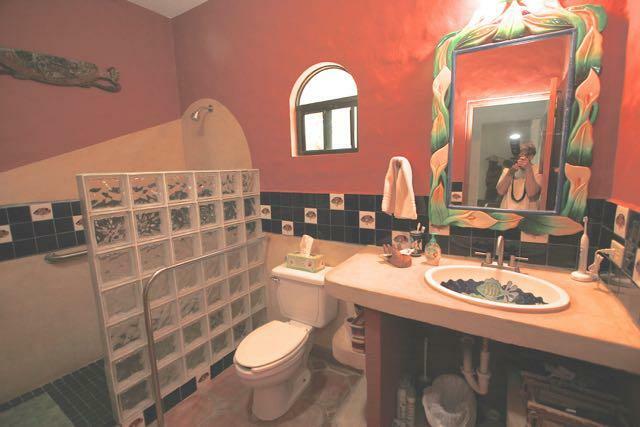 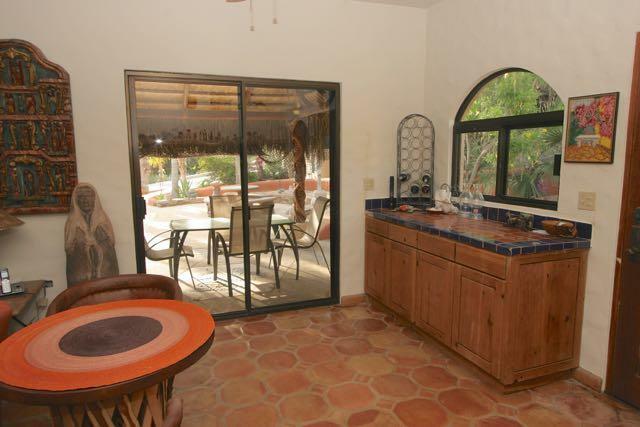 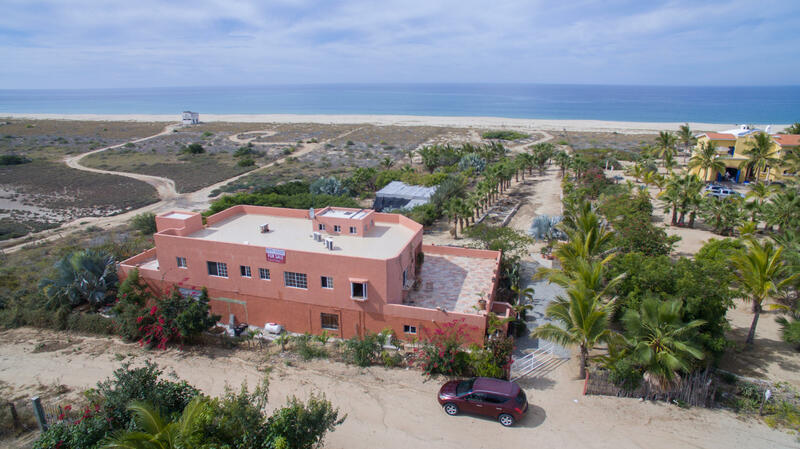 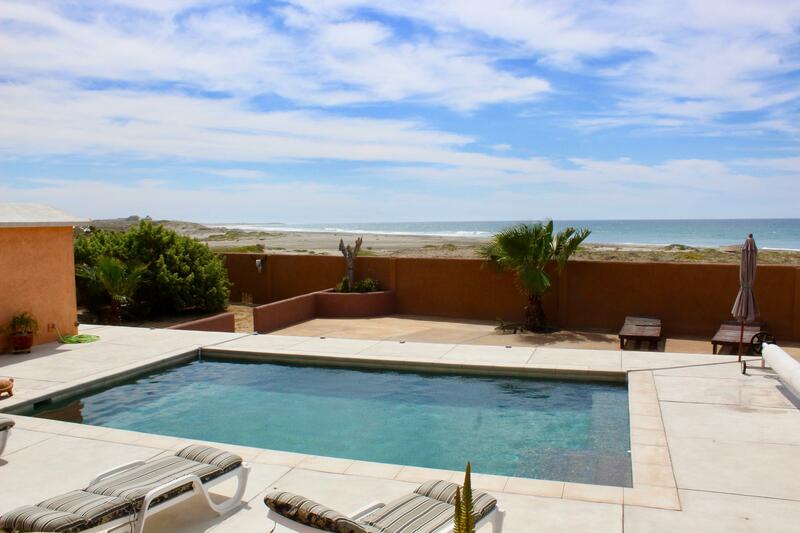 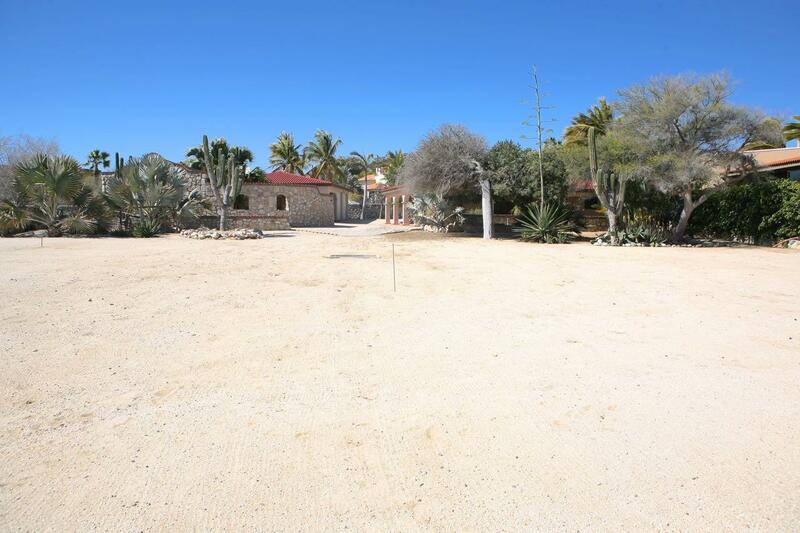 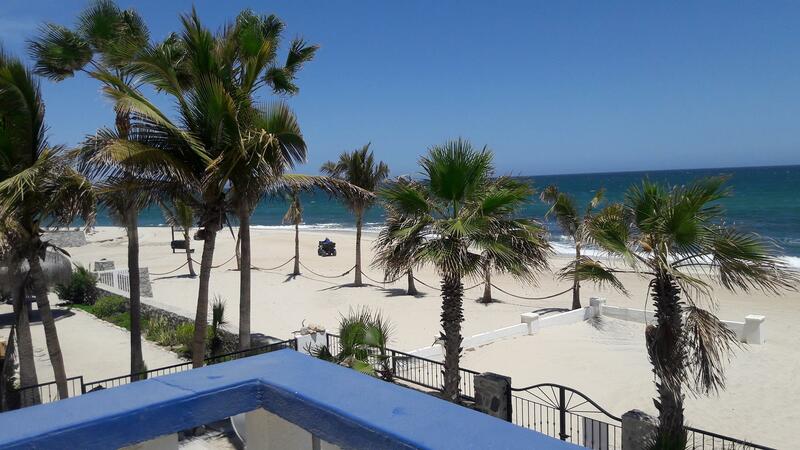 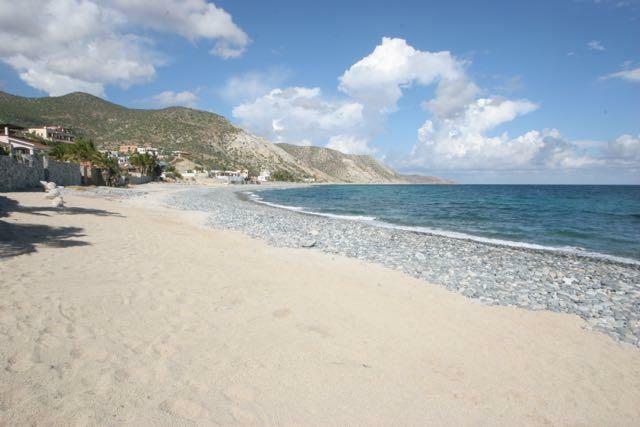 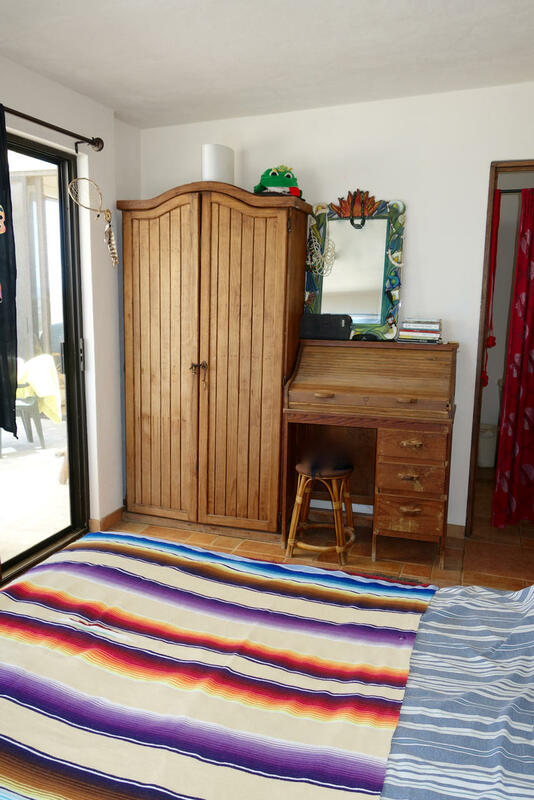 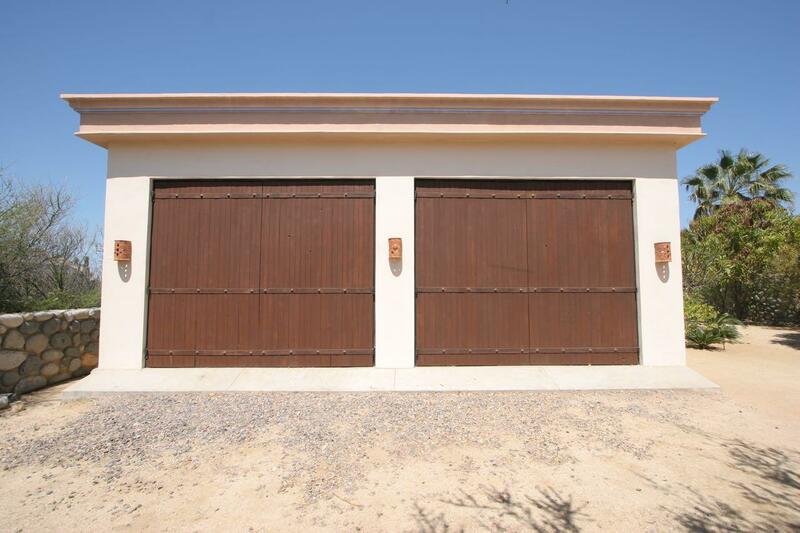 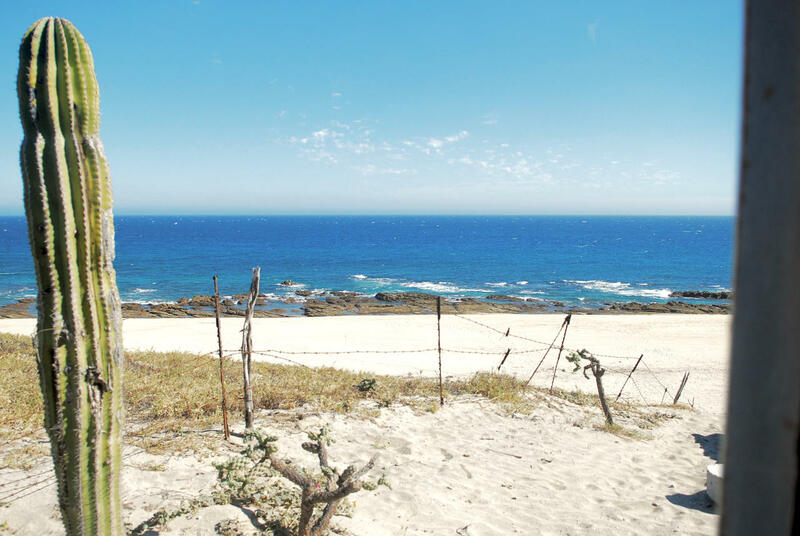 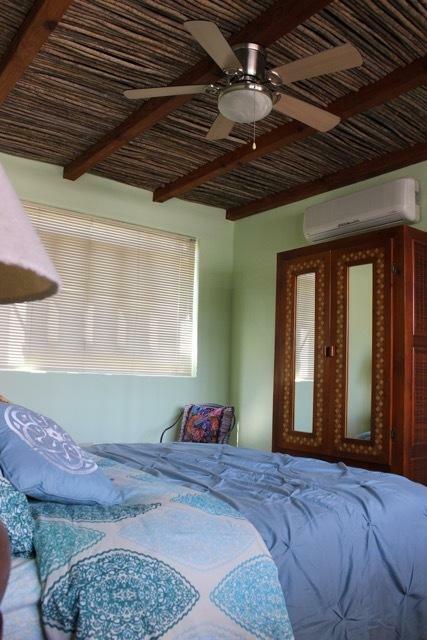 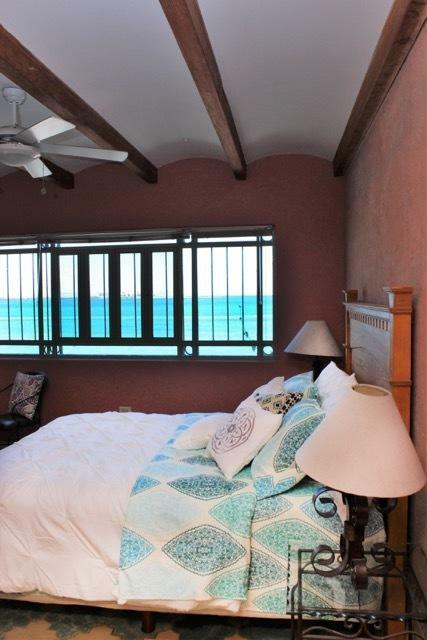 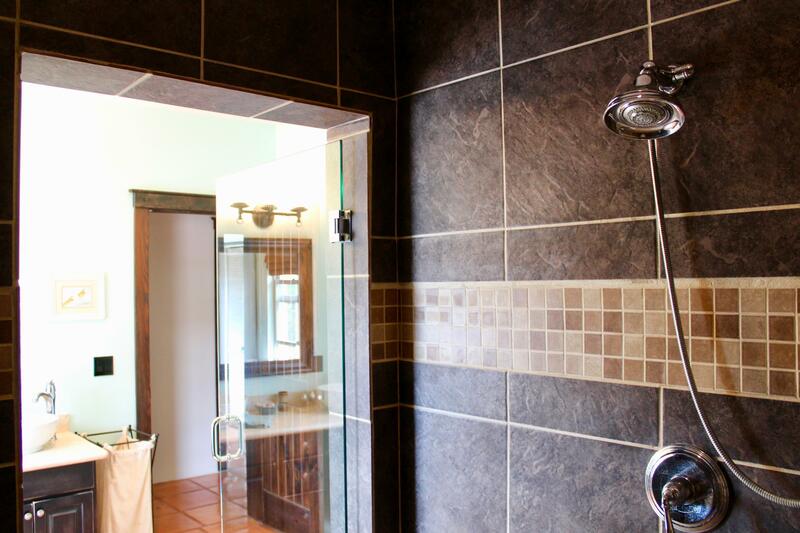 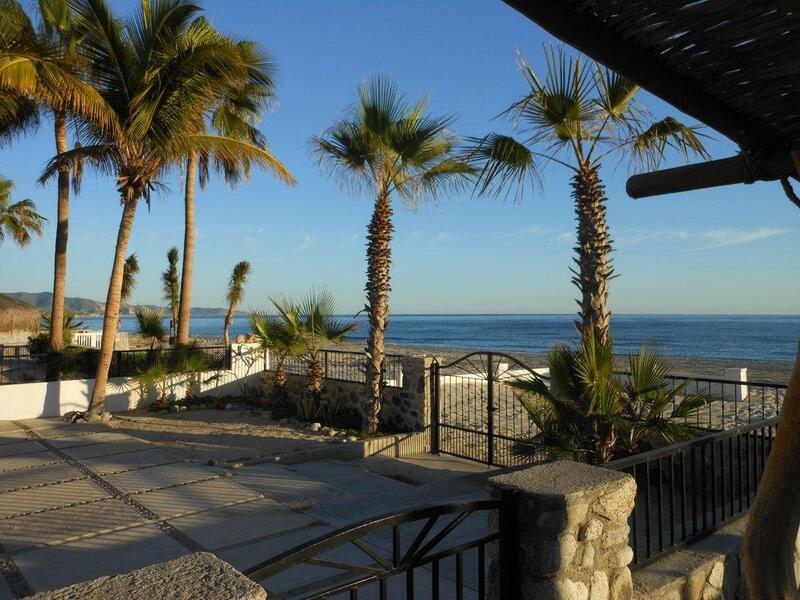 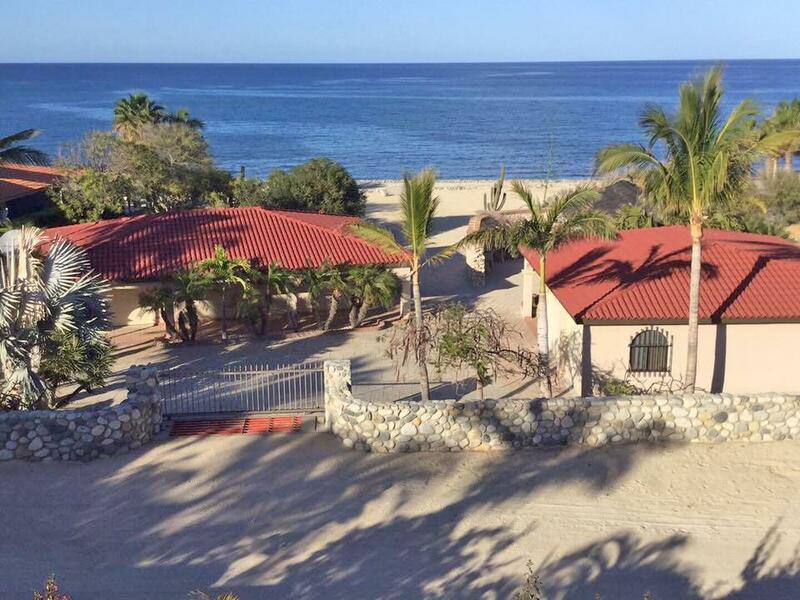 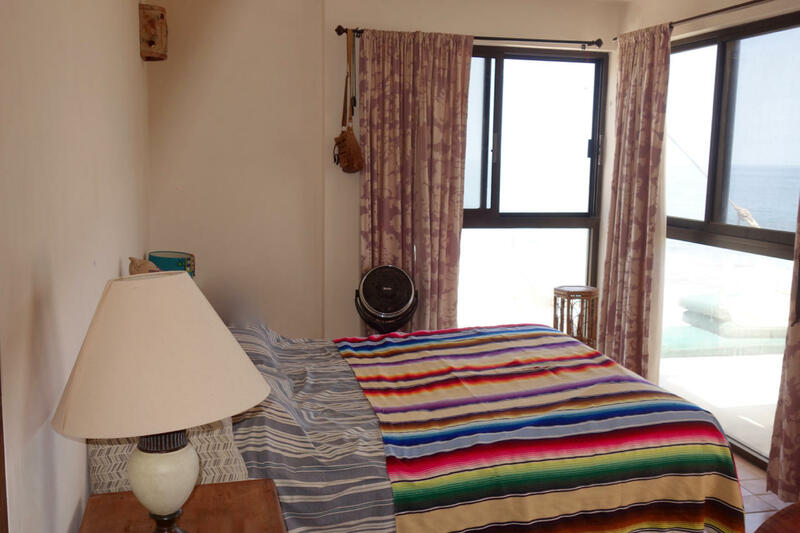 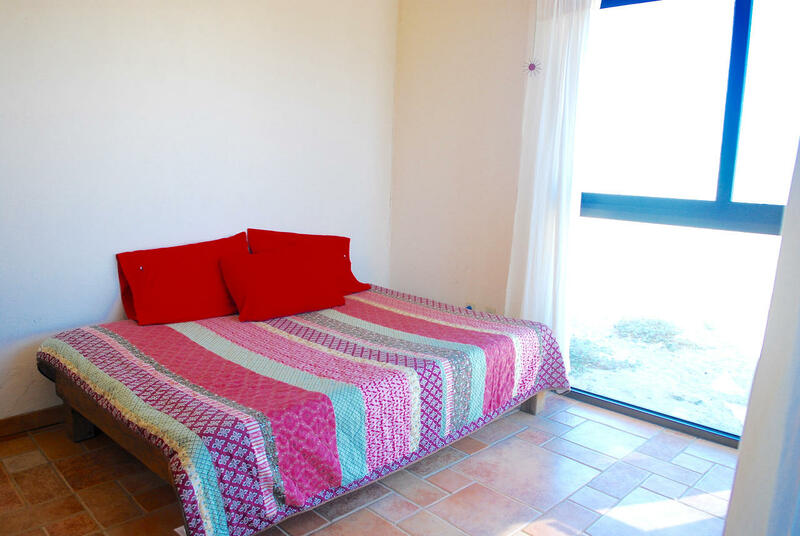 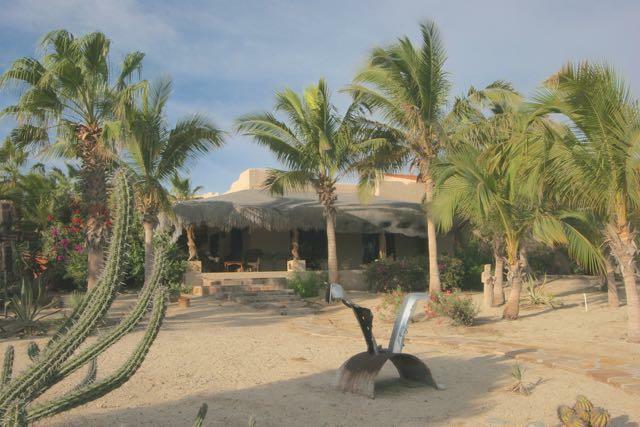 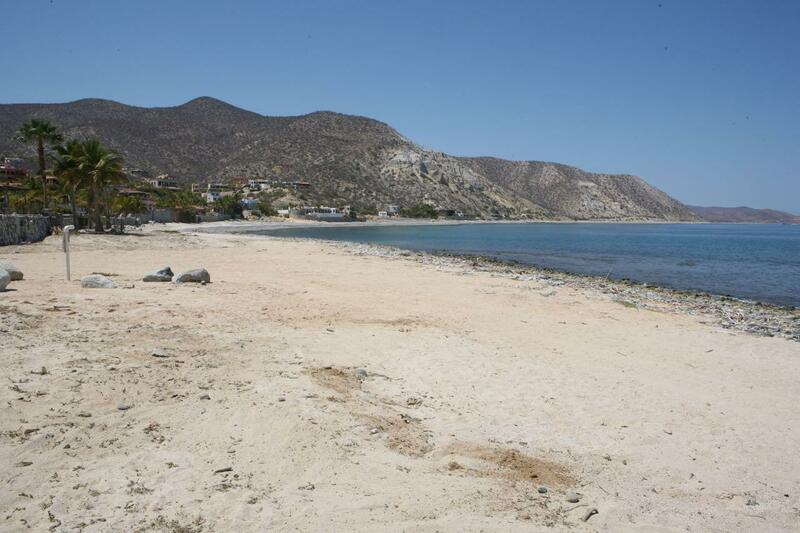 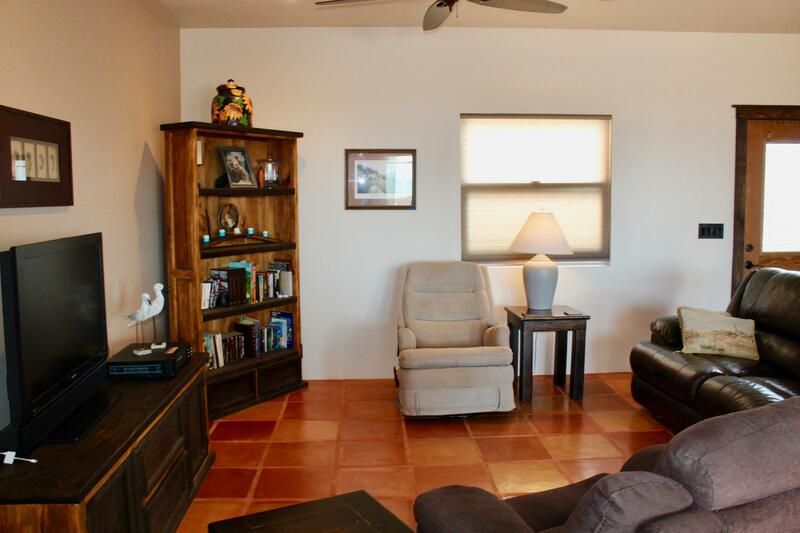 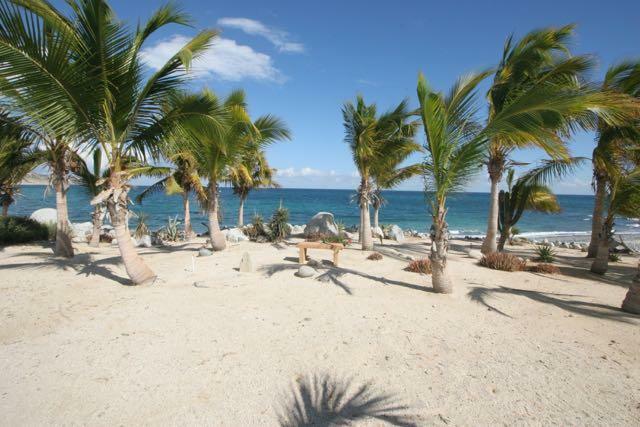 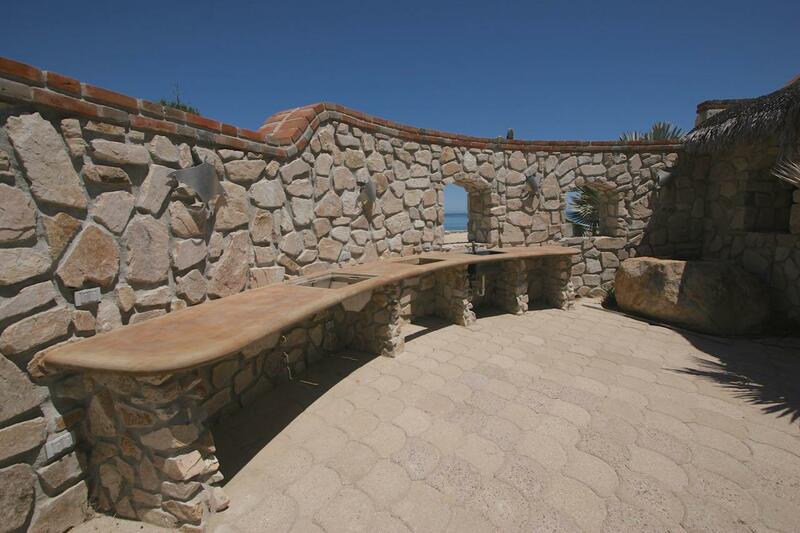 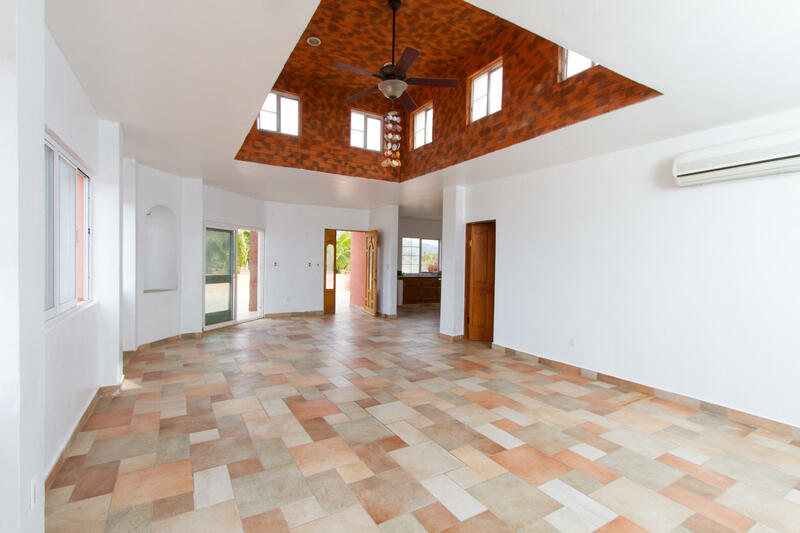 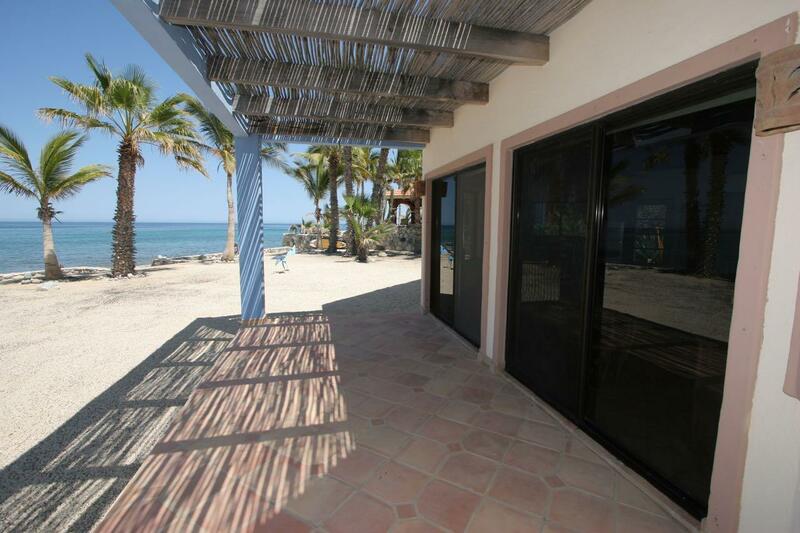 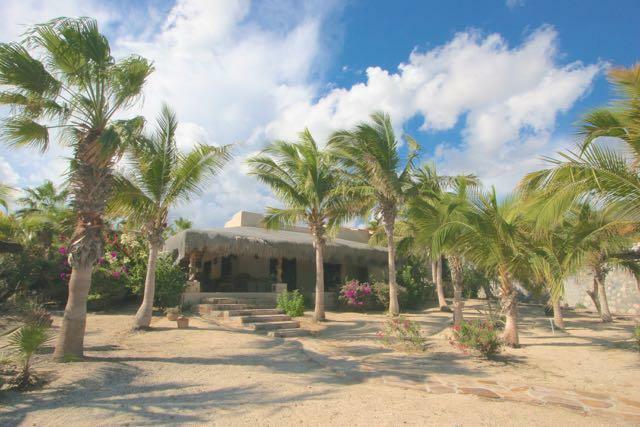 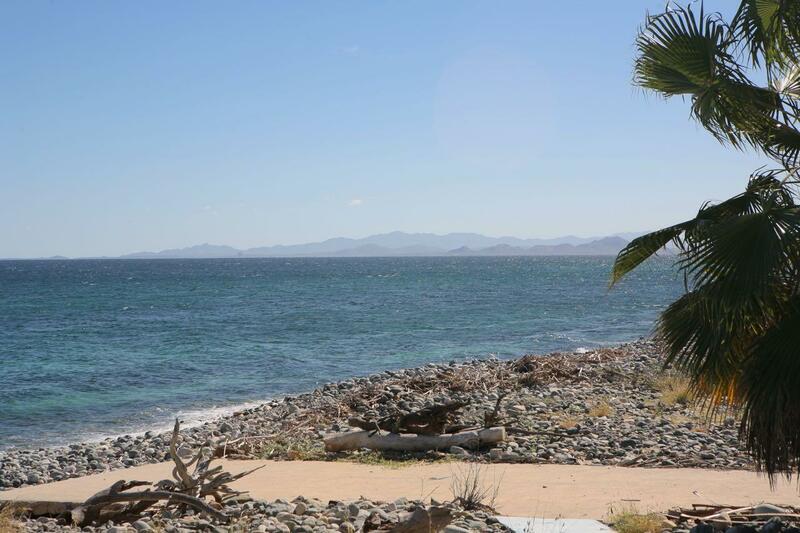 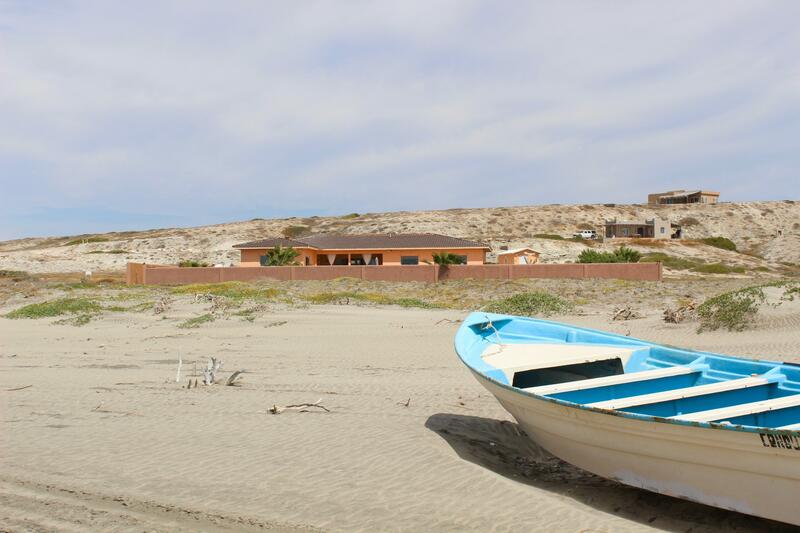 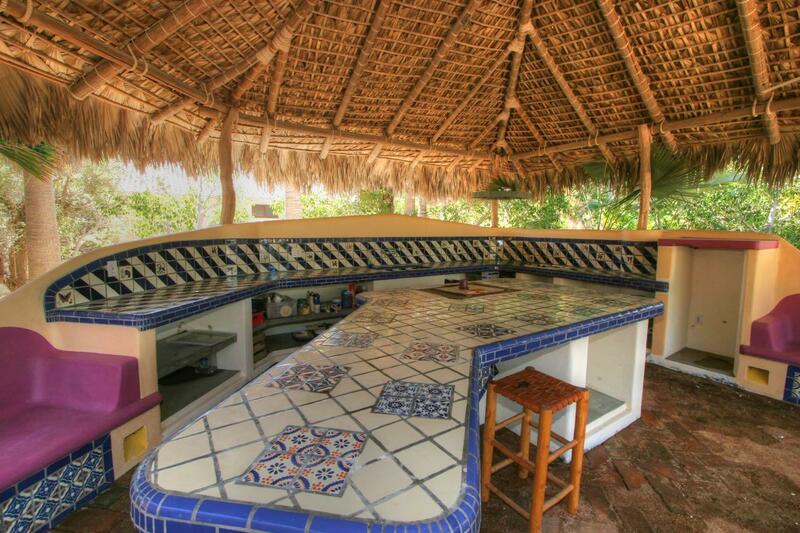 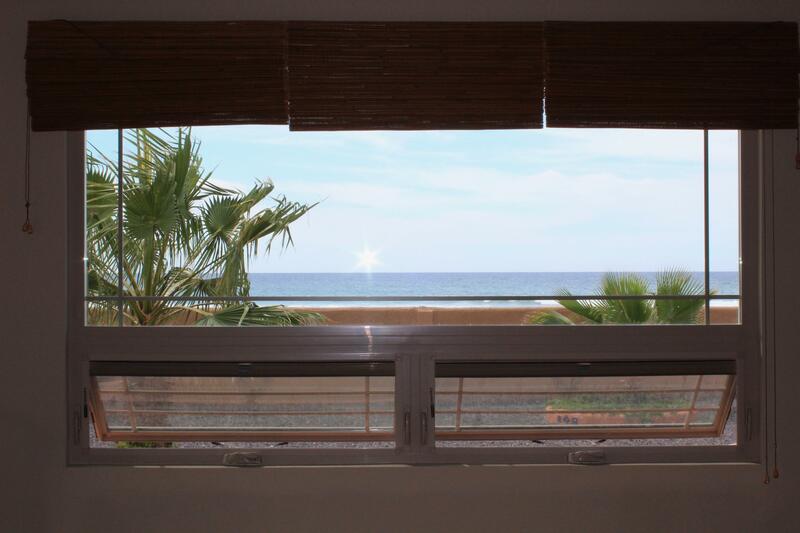 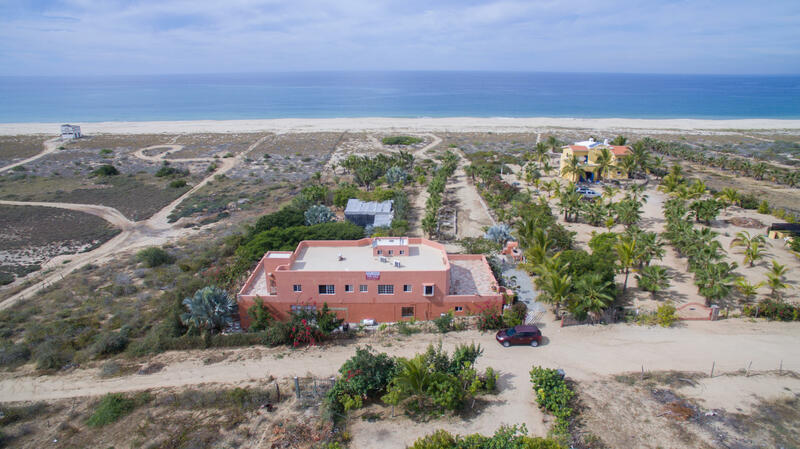 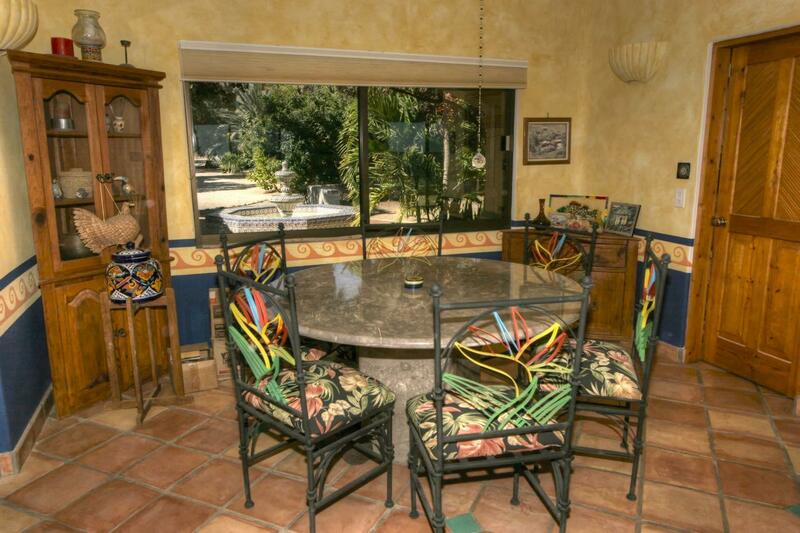 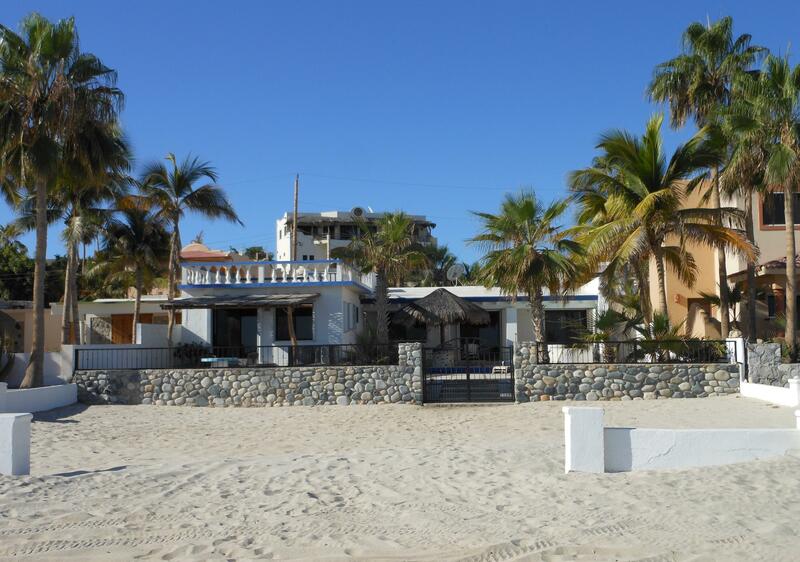 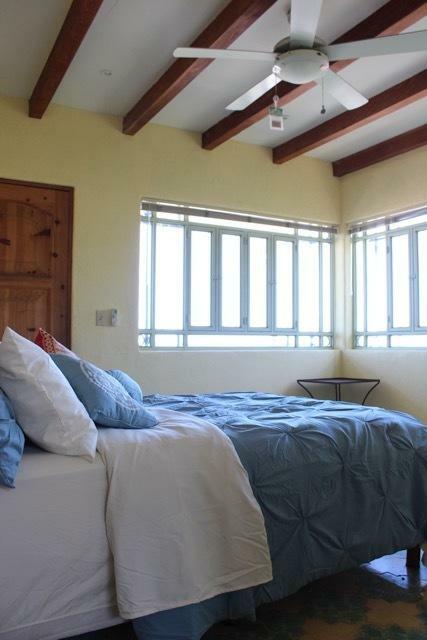 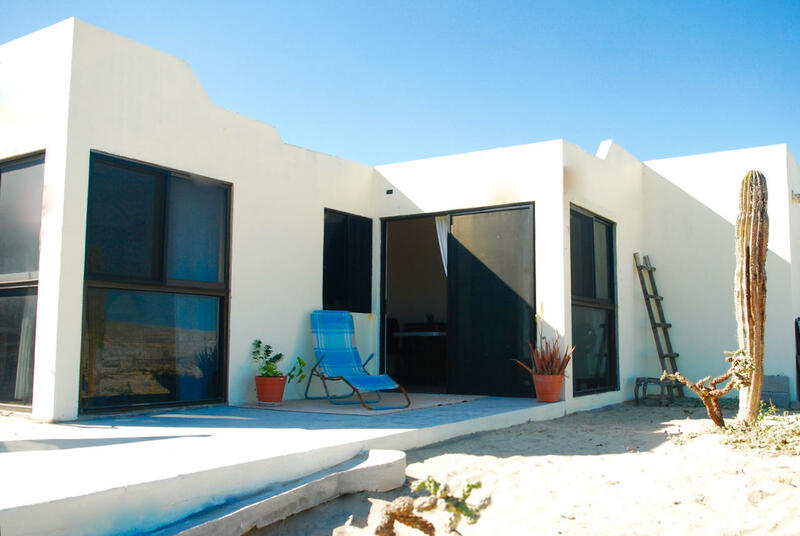 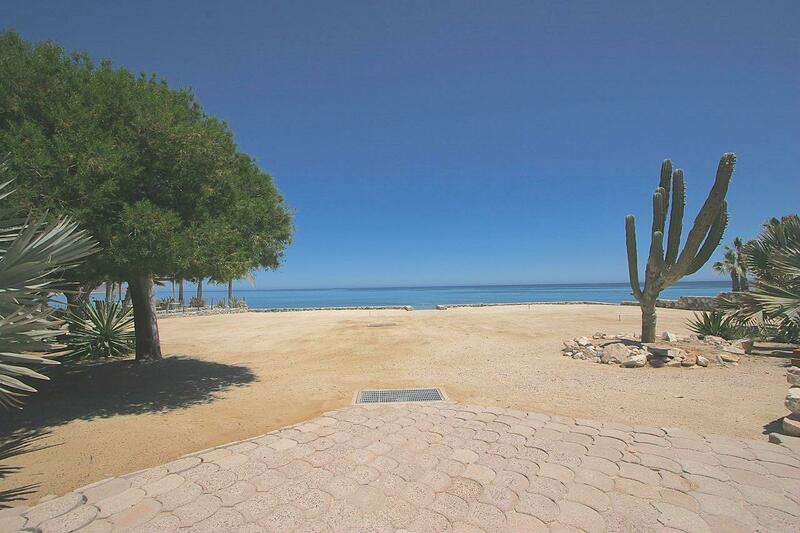 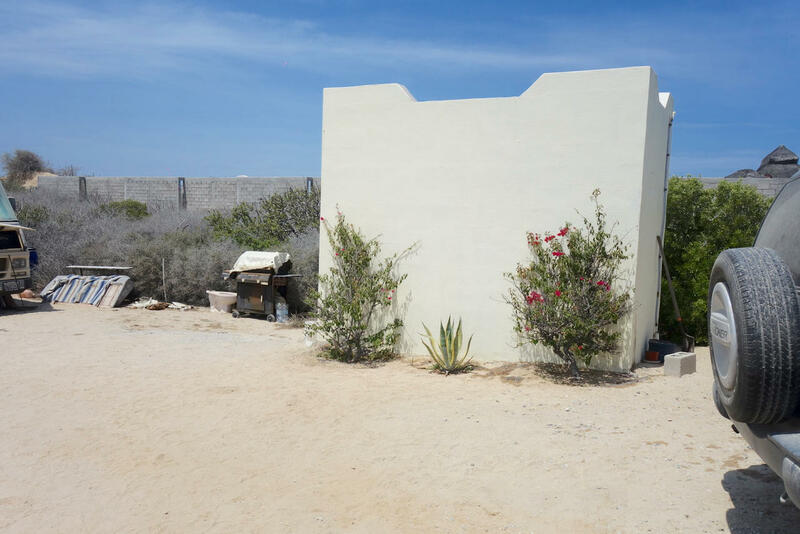 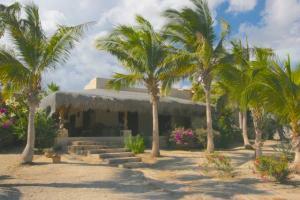 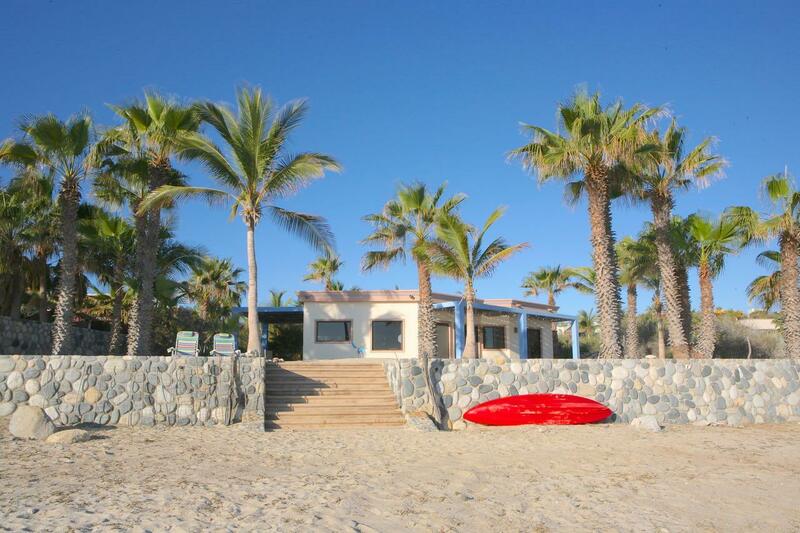 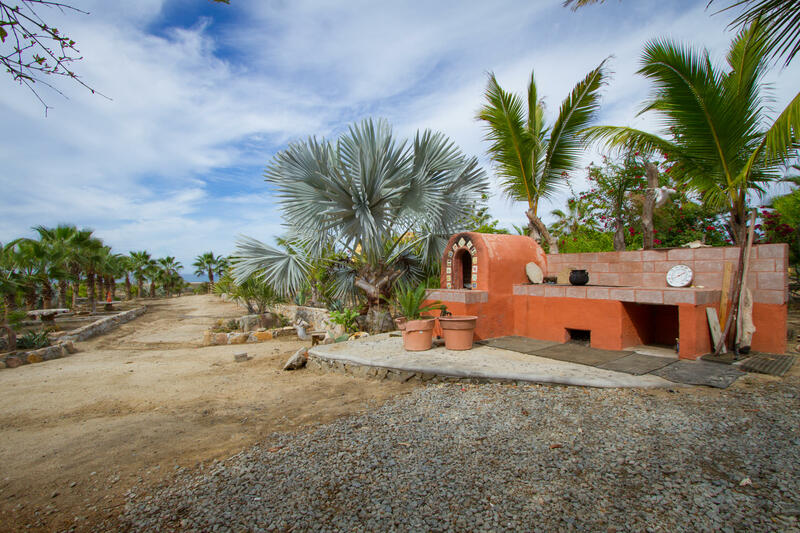 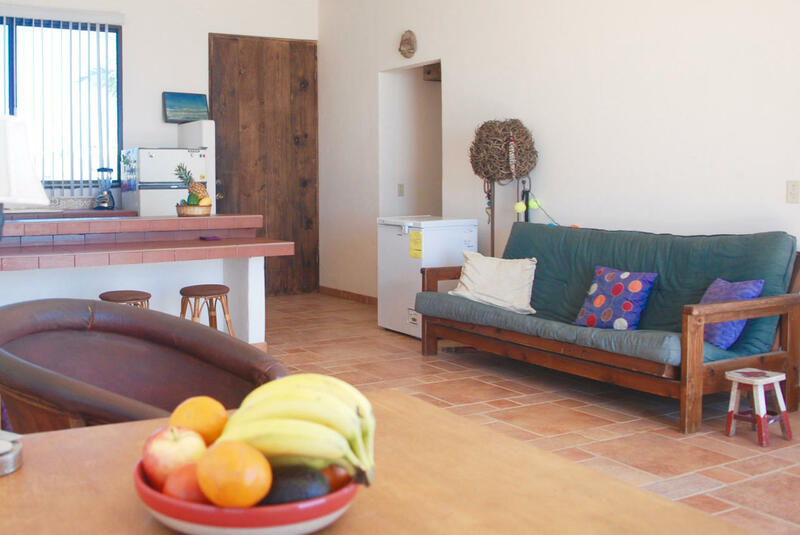 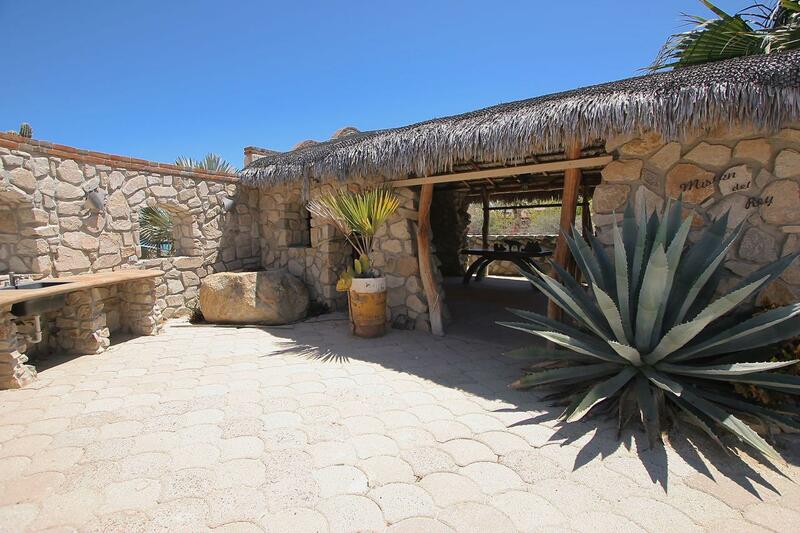 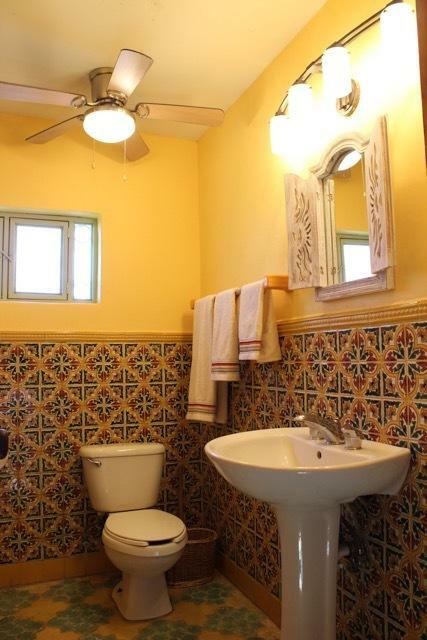 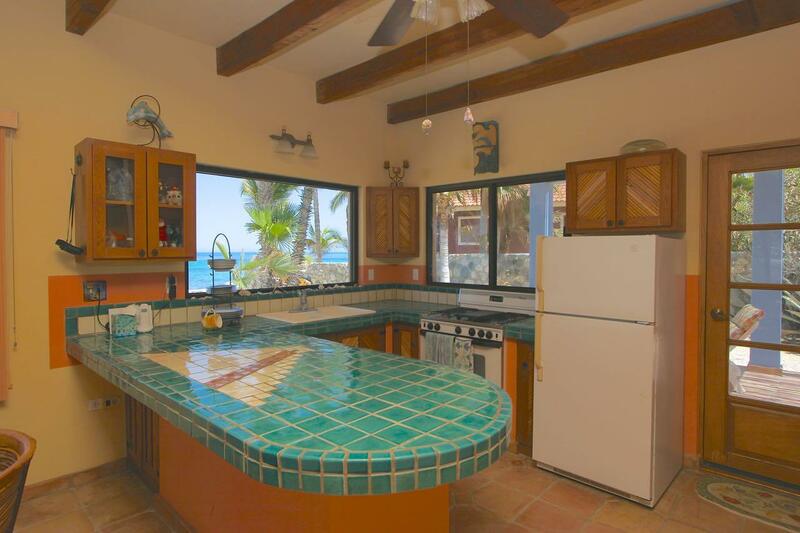 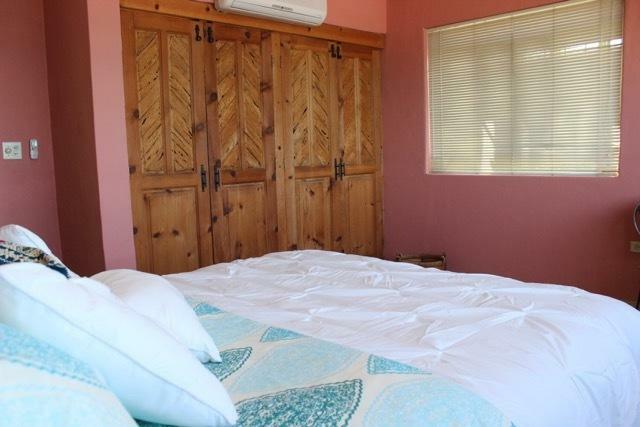 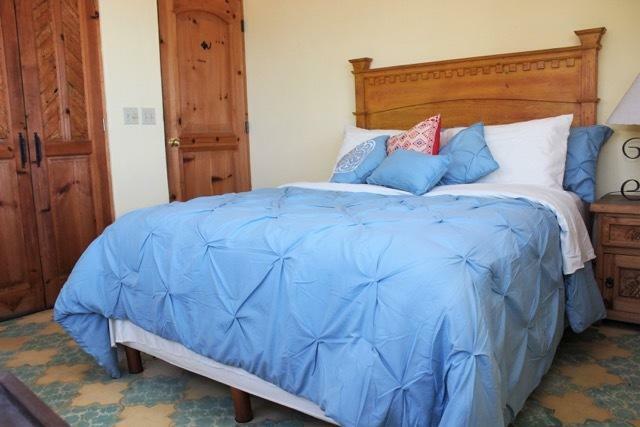 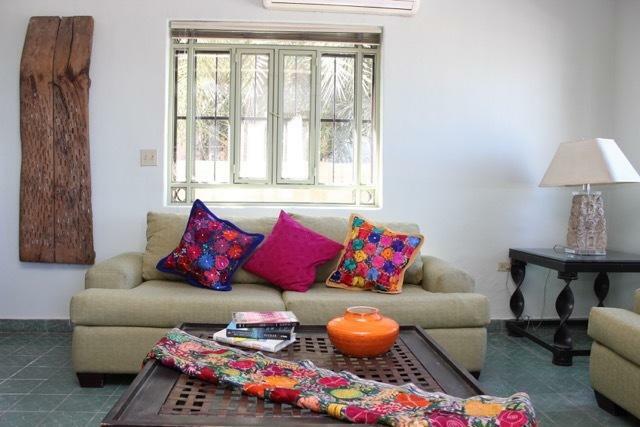 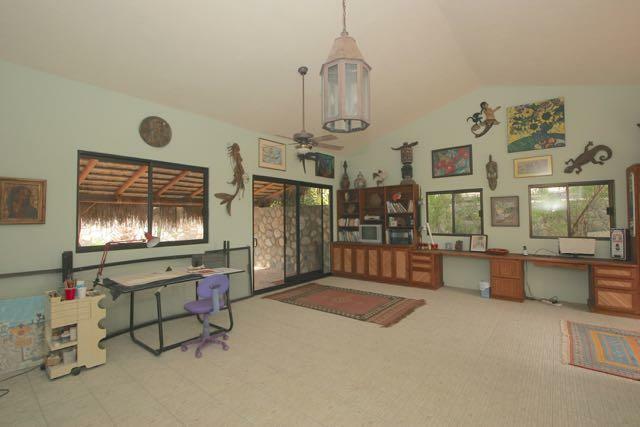 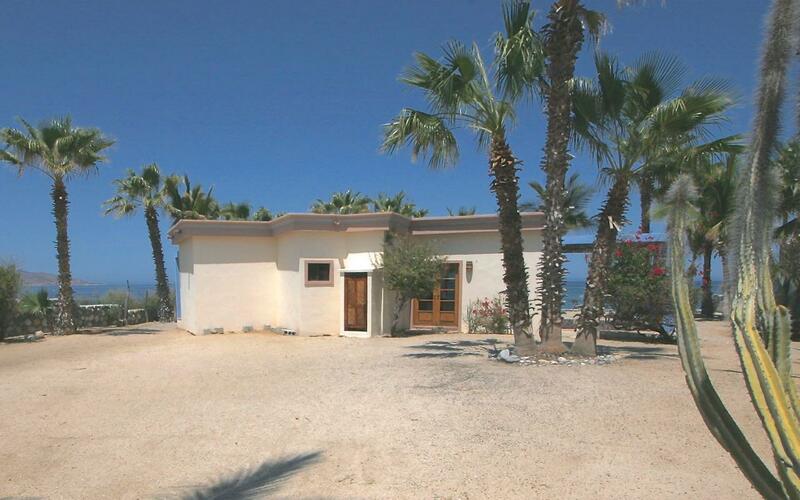 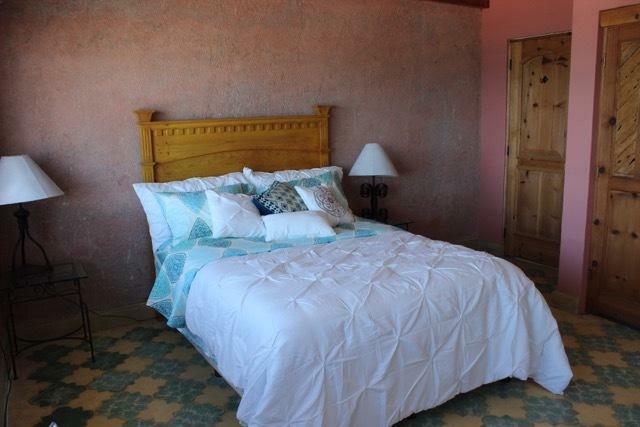 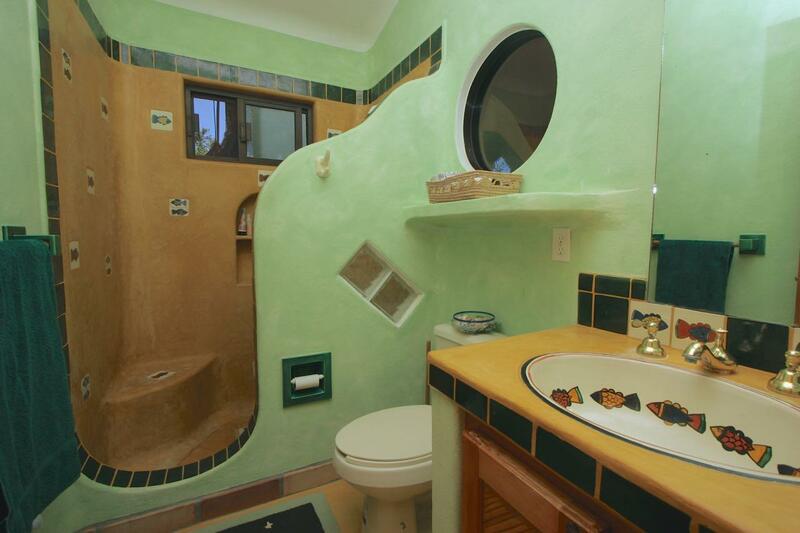 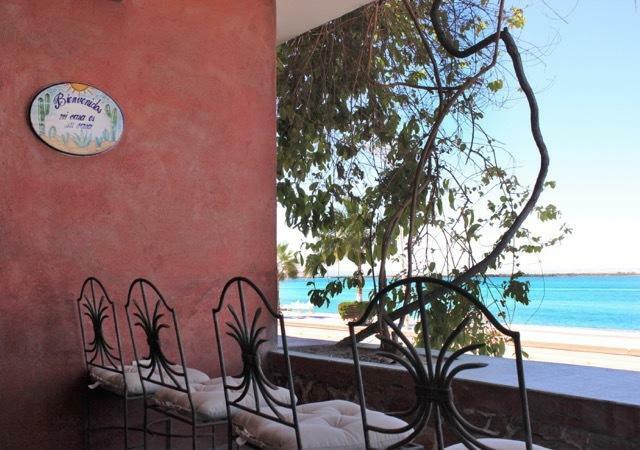 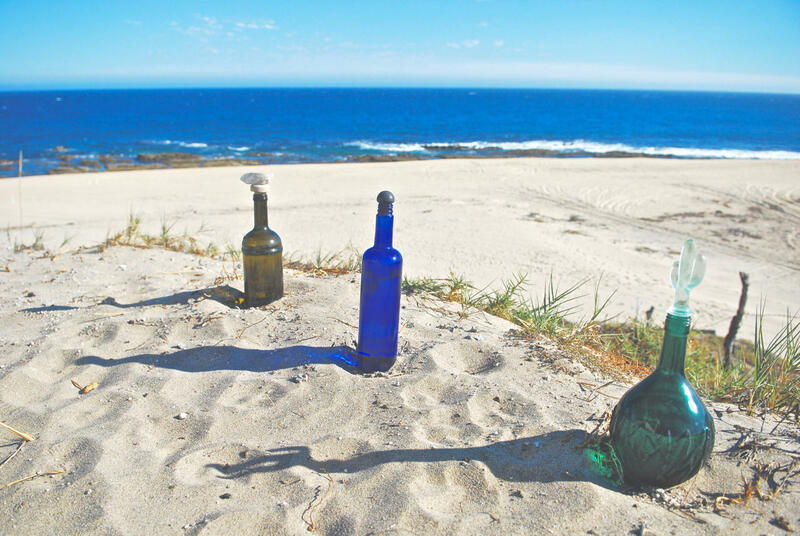 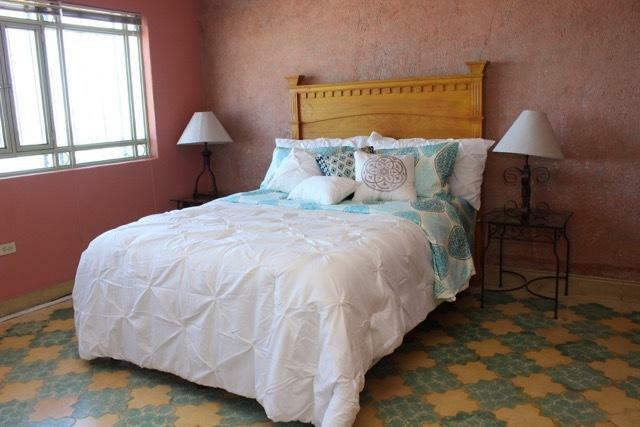 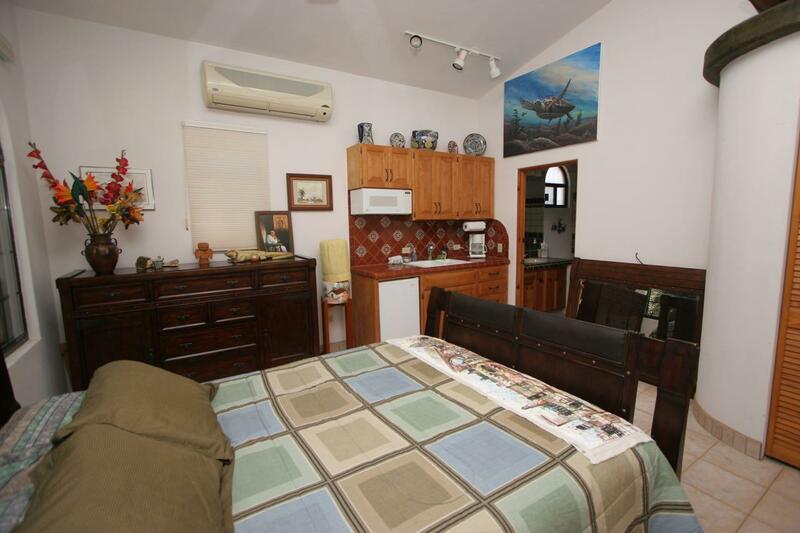 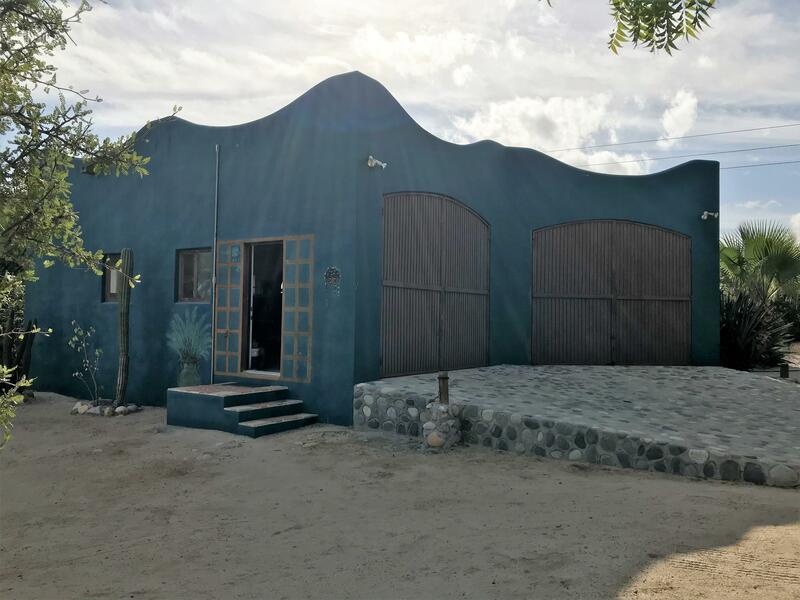 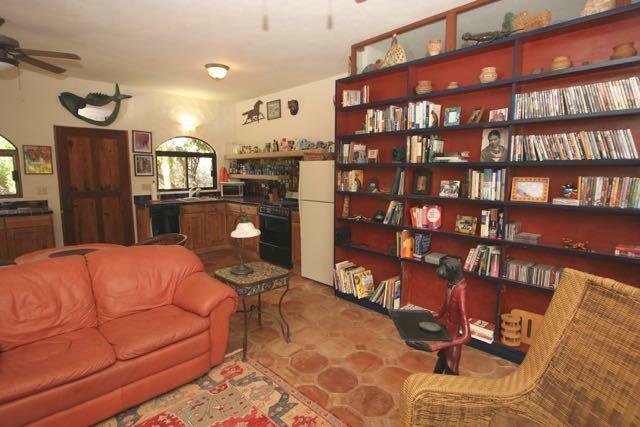 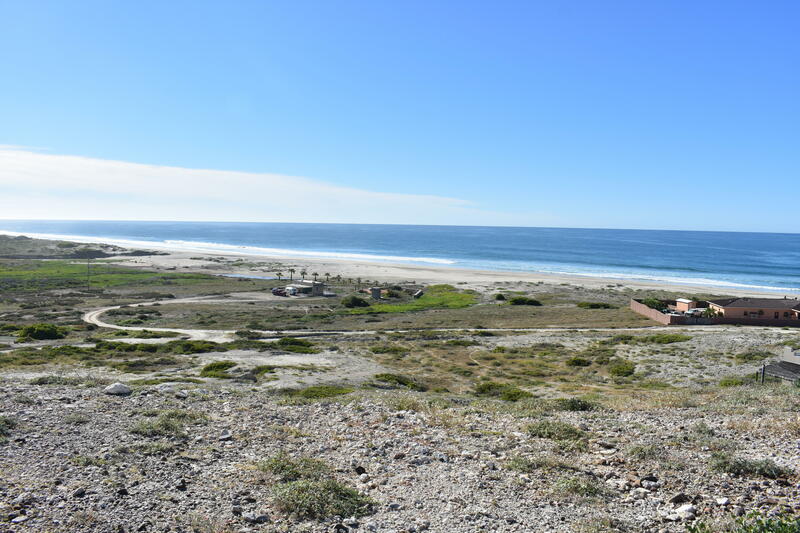 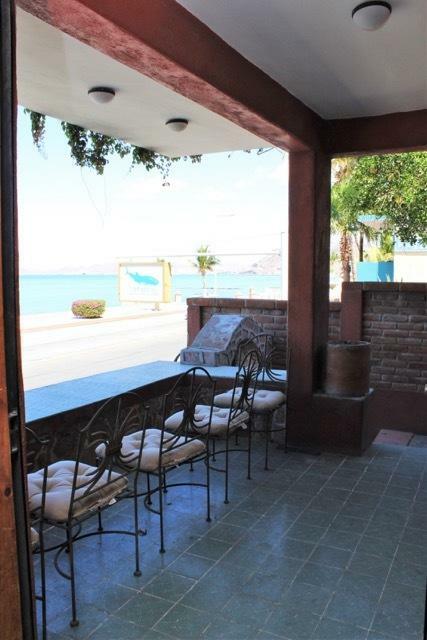 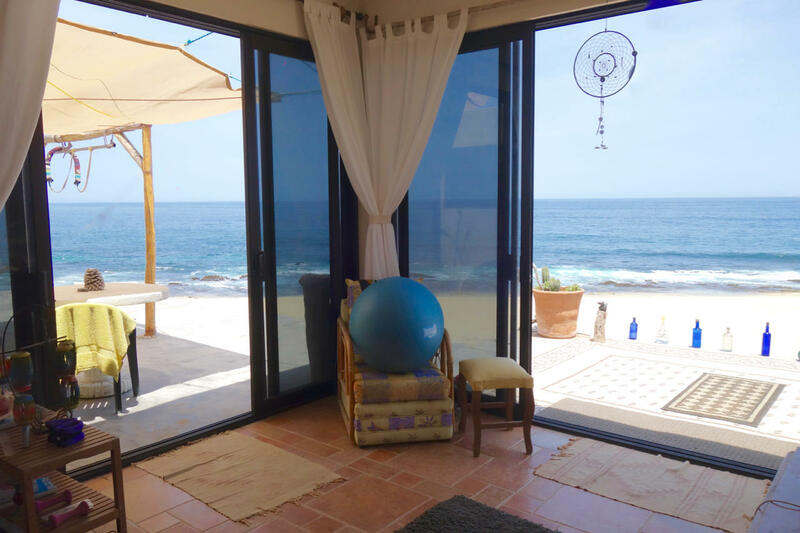 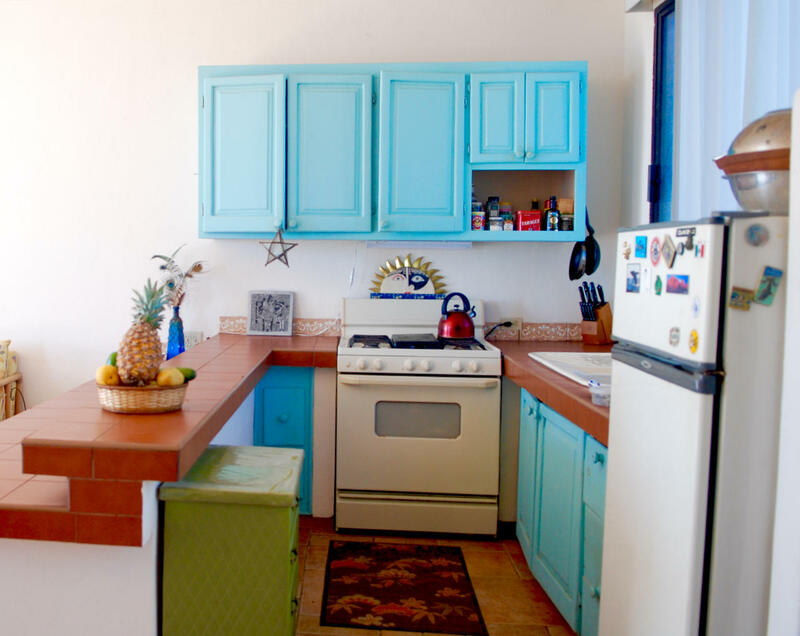 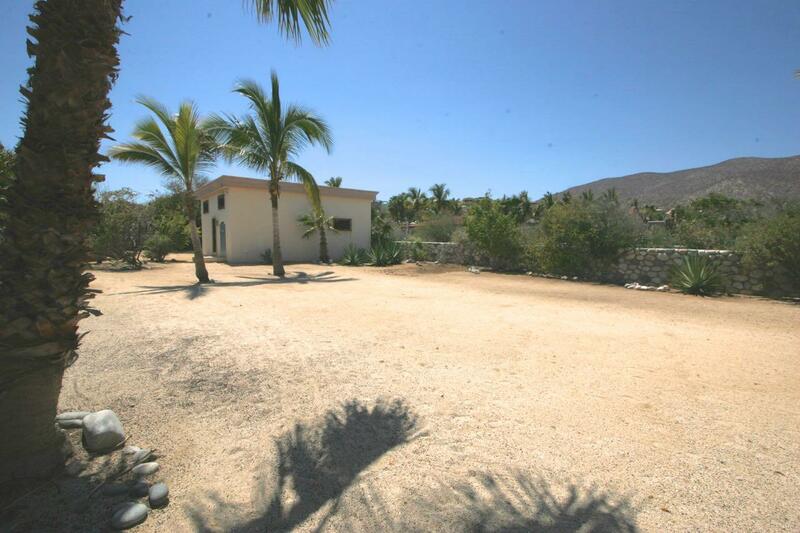 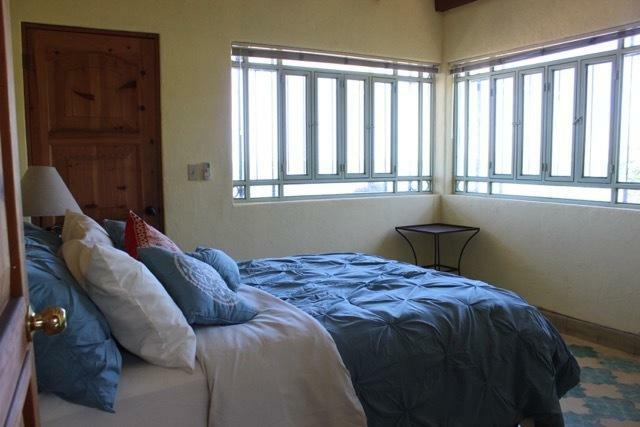 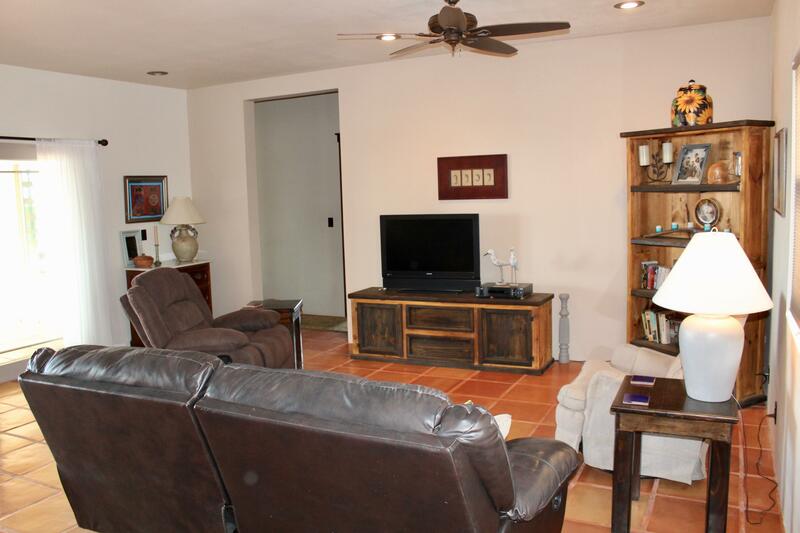 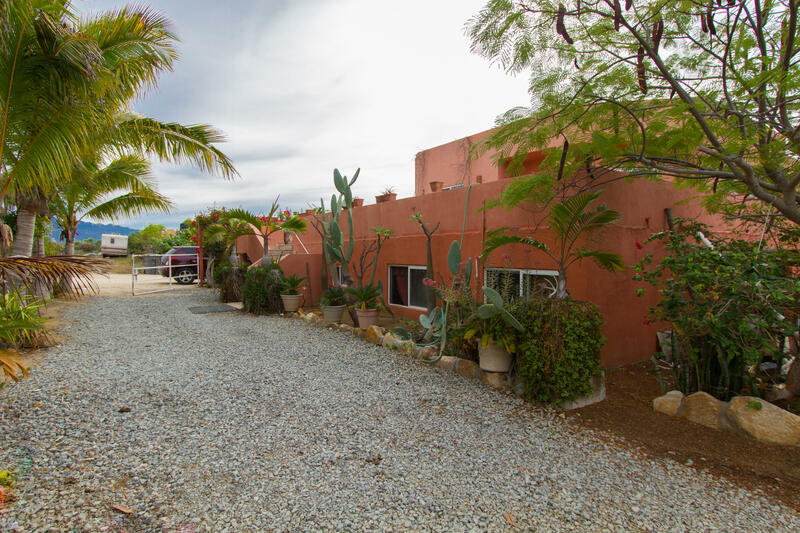 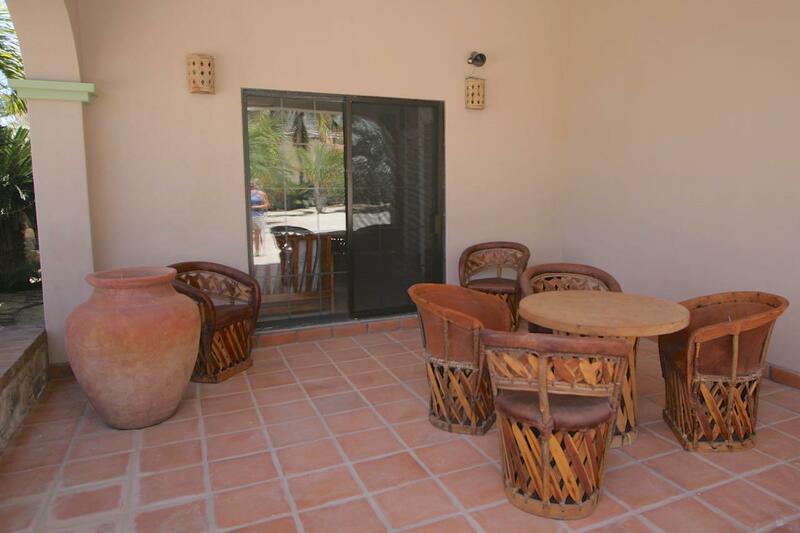 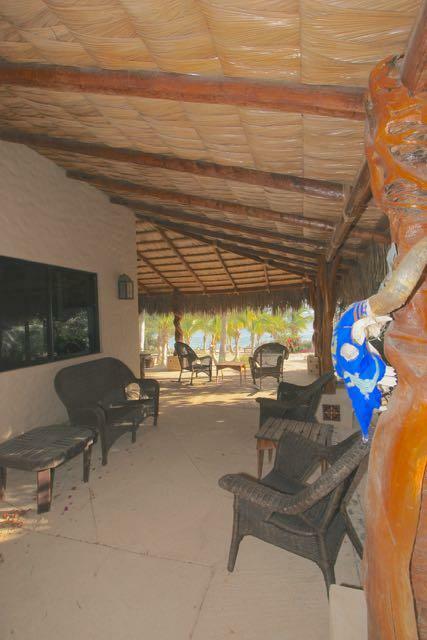 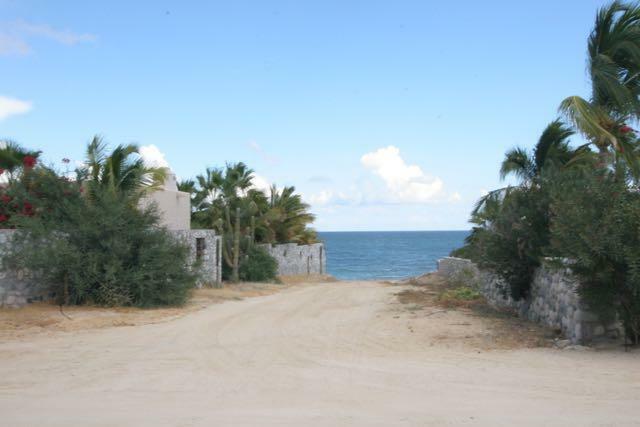 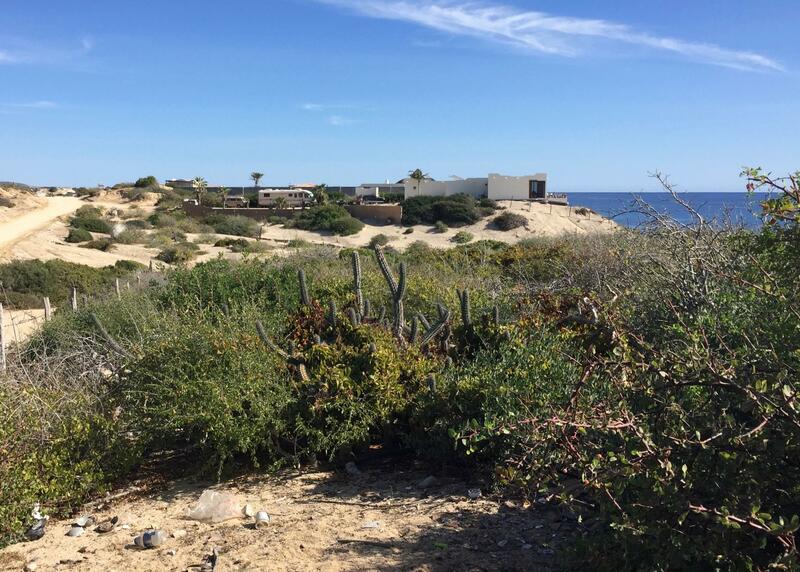 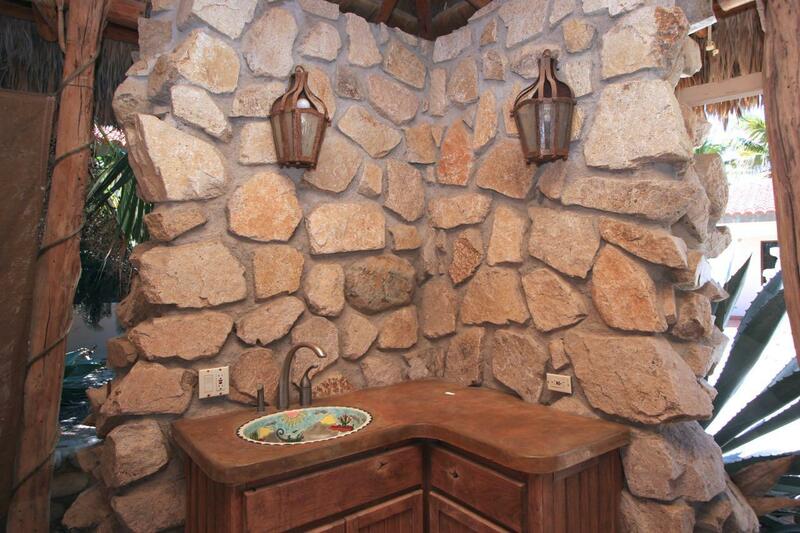 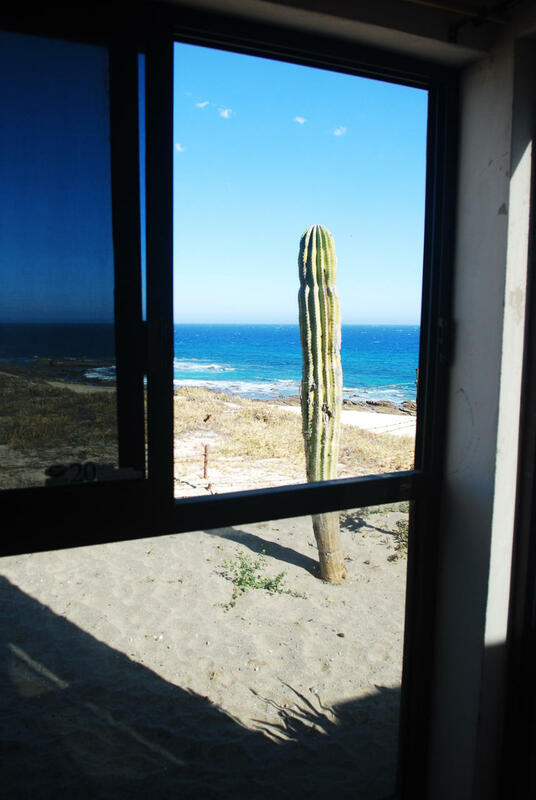 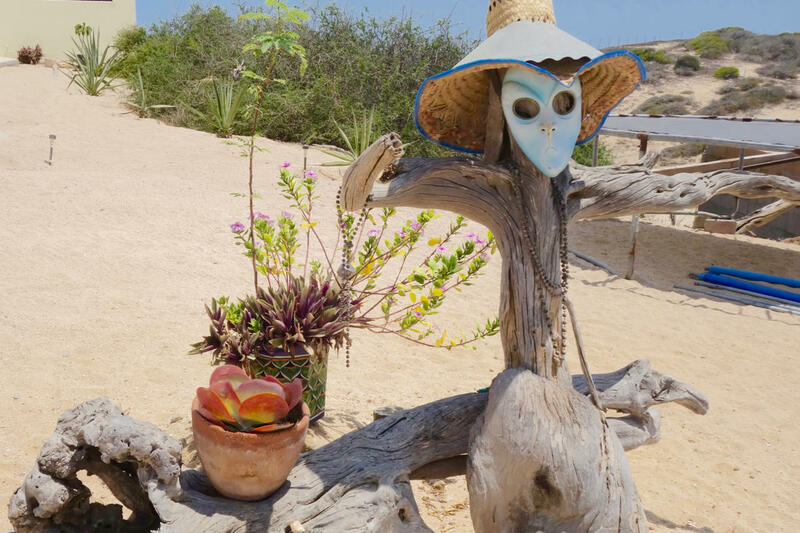 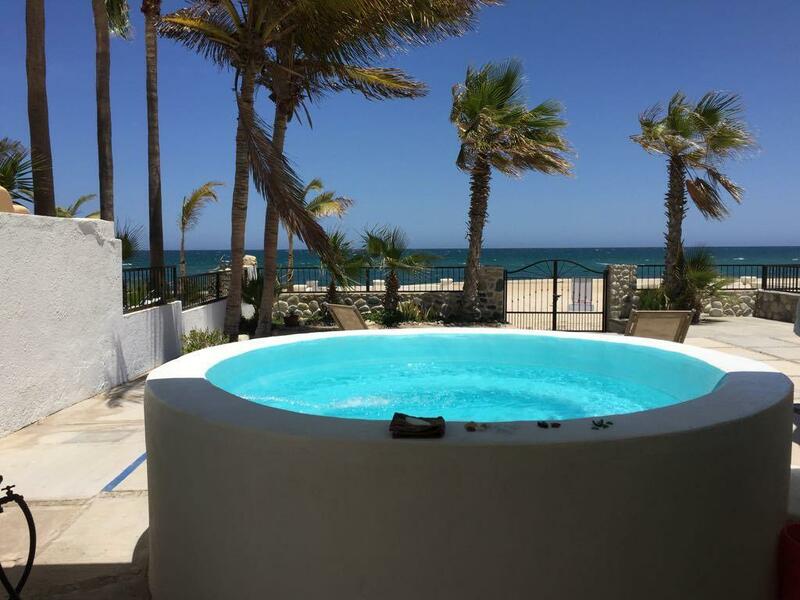 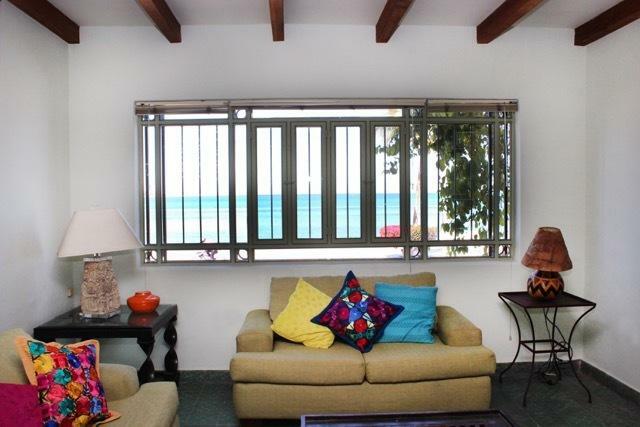 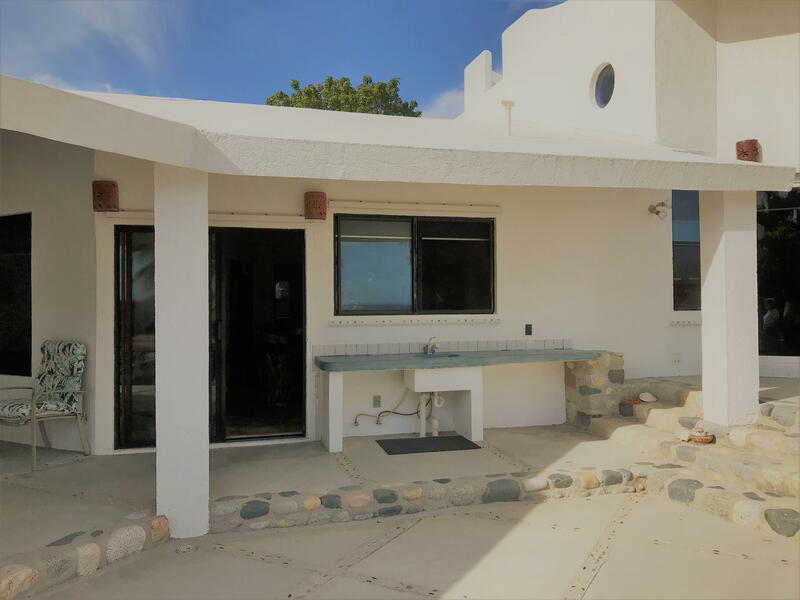 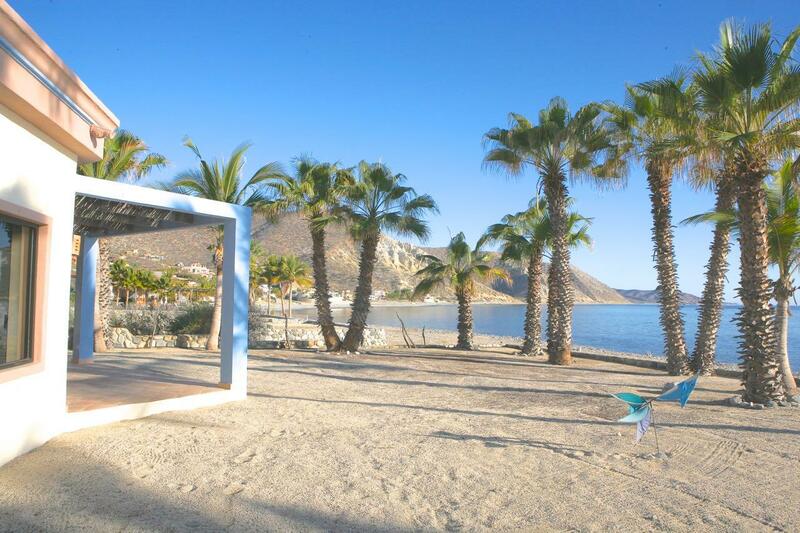 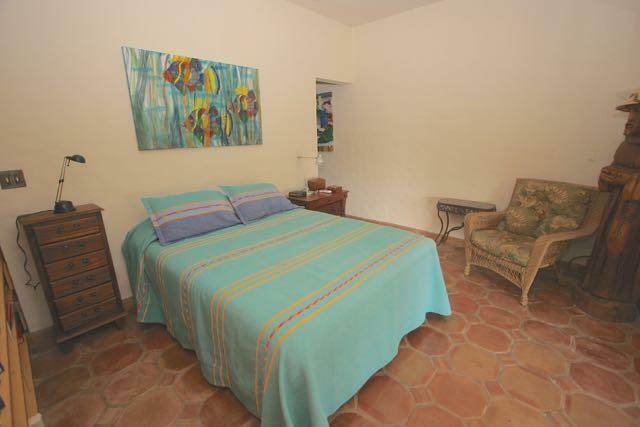 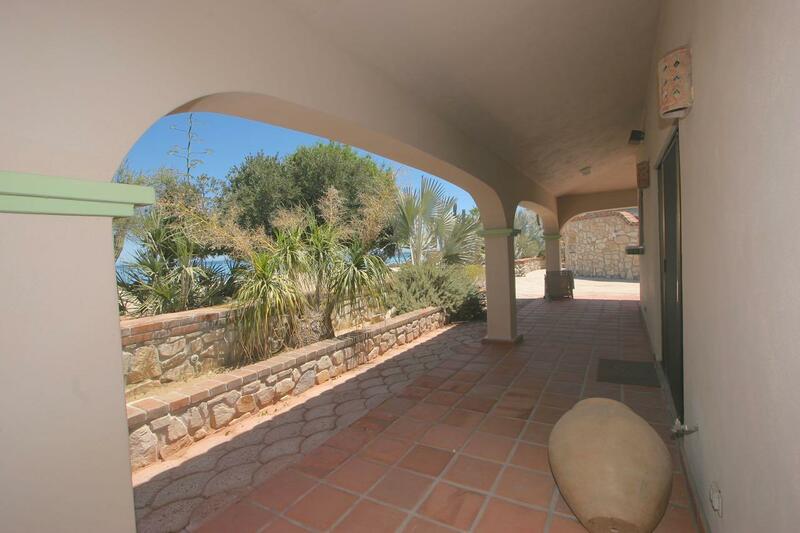 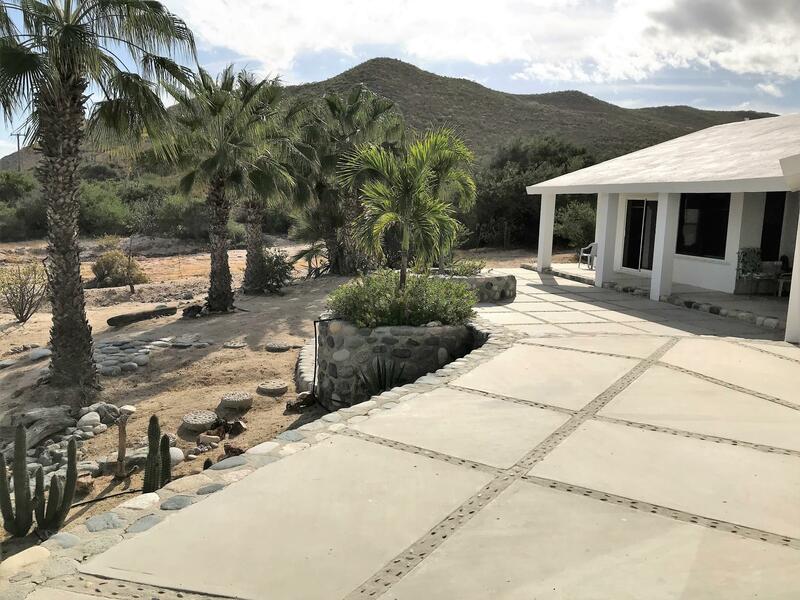 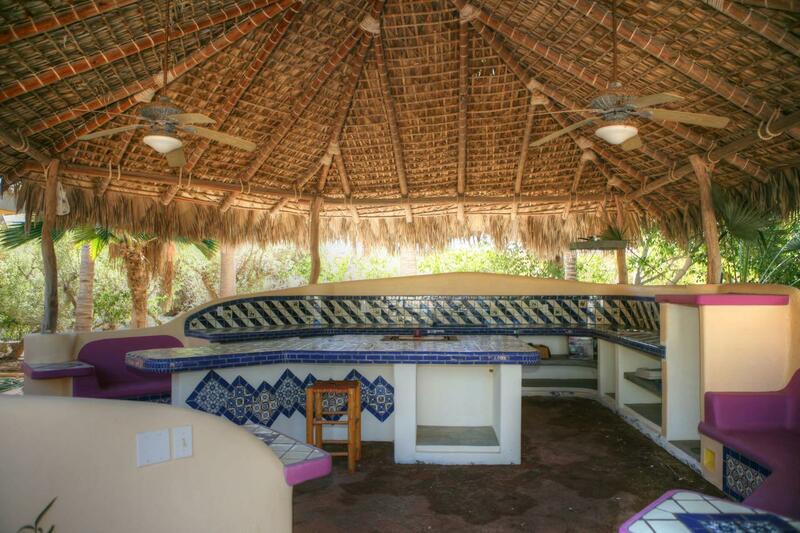 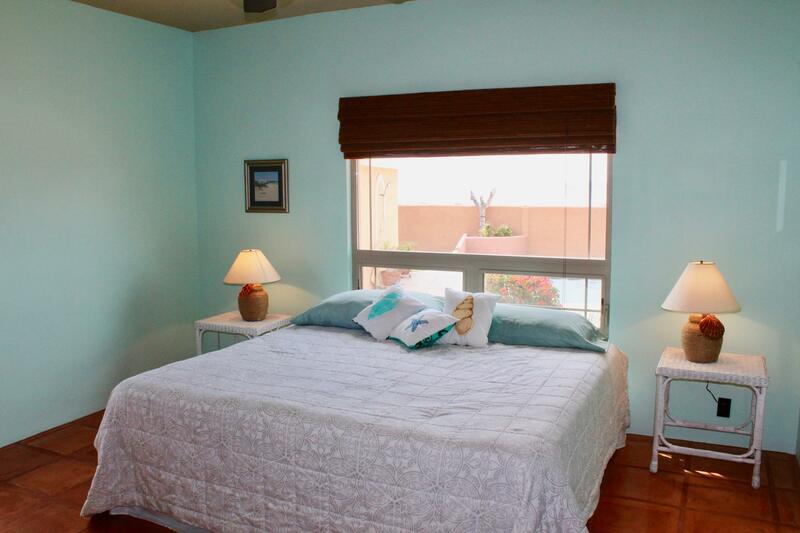 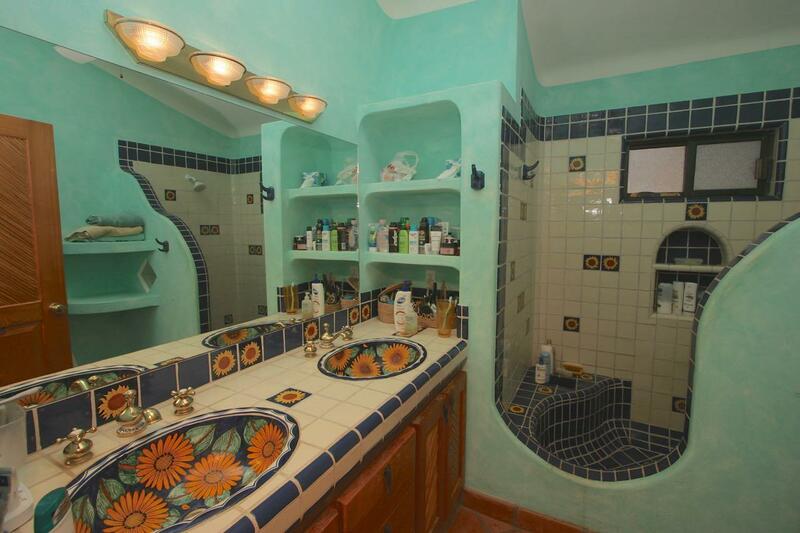 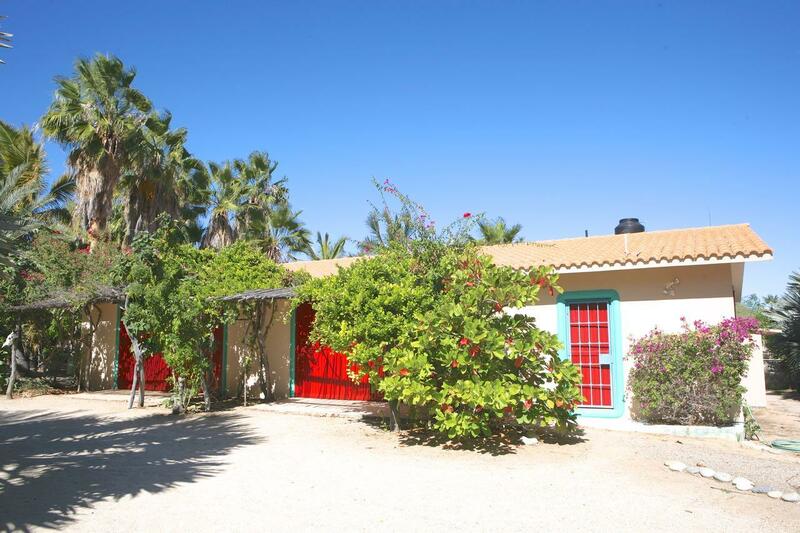 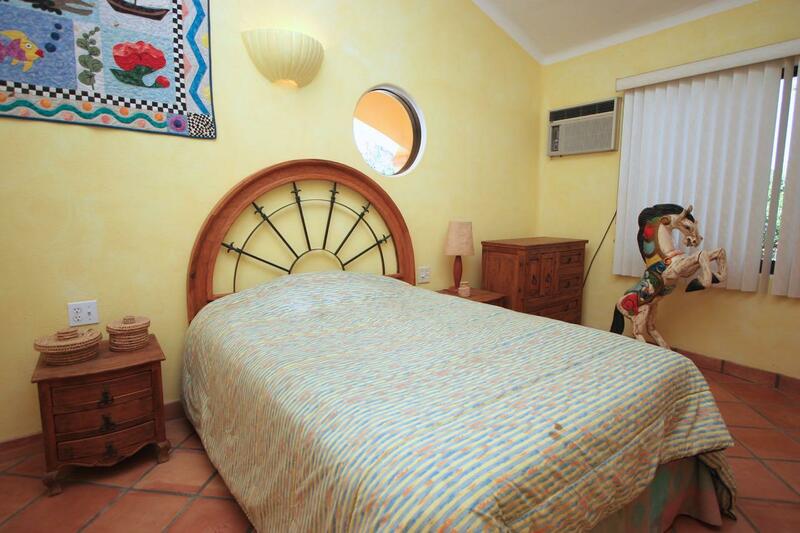 Located just over an hour from the La Paz airport, it's easy to experience the beauty of Baja in this lovely home. 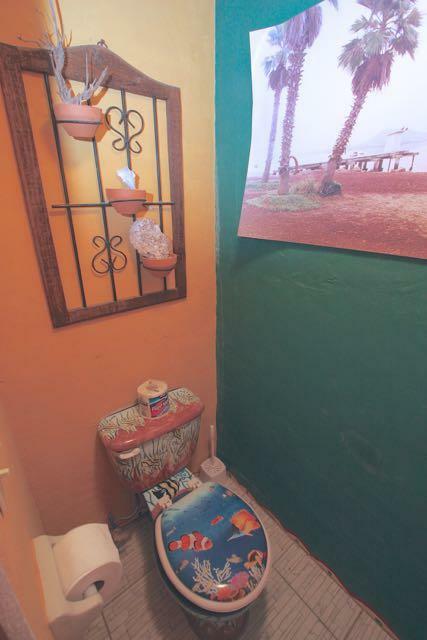 Click ''more'' for further information.